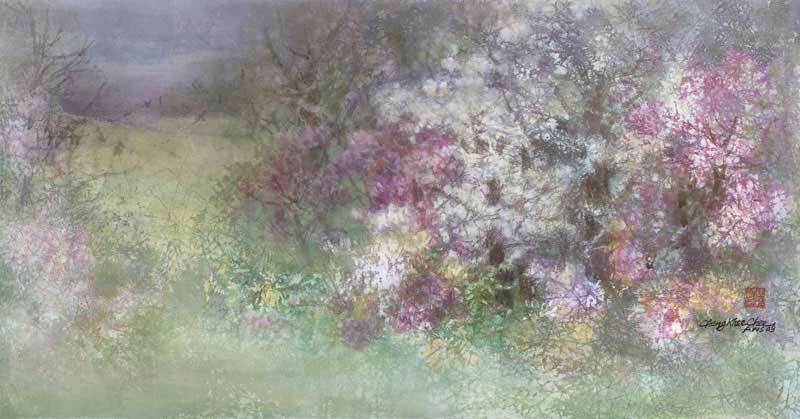 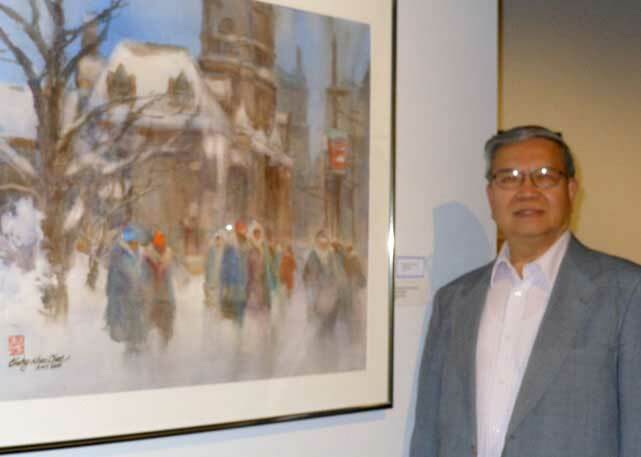 On June 11, during the Transparent Watercolor Society of America's celebration of her 40th anniversary at the Kenosha Public Museum in Wisconsin, Cheng-Khee was honored with the title of "Distinguished Master of the Transparent Watercolor Society of America TWSA DM." 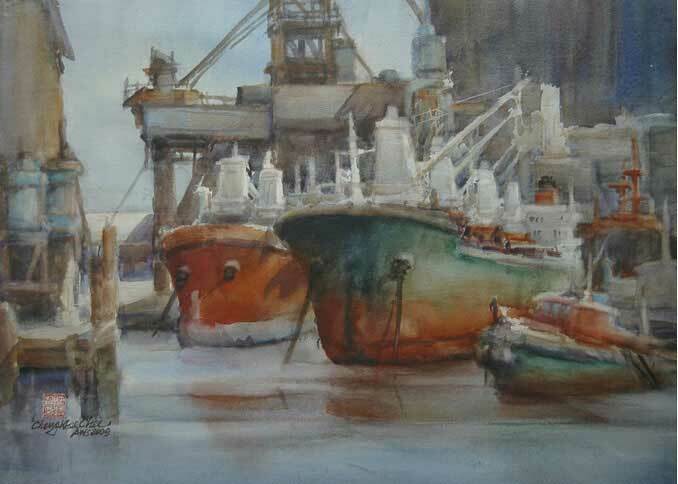 He has exhibited 33 times in the Society's past 40 annual juried national exhibitions. 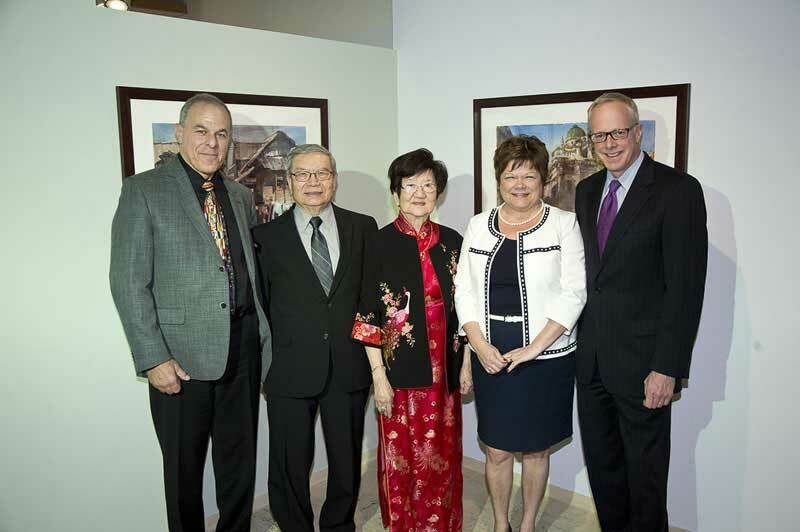 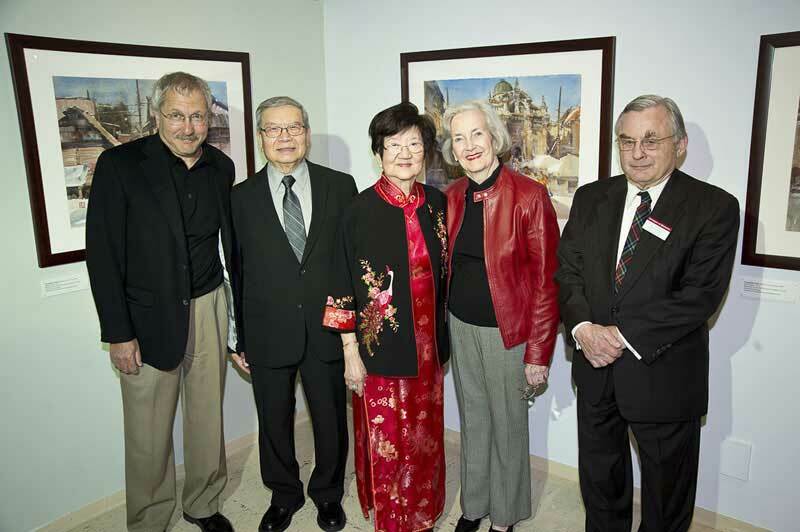 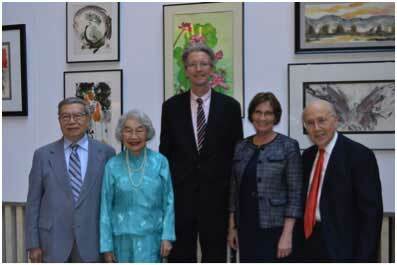 On May 24, Cheng-Khee attended the Sumi-e Society of America, Minnesota Chapter's Exhibition Opening Reception at the Mayo Clinic in Rochester. 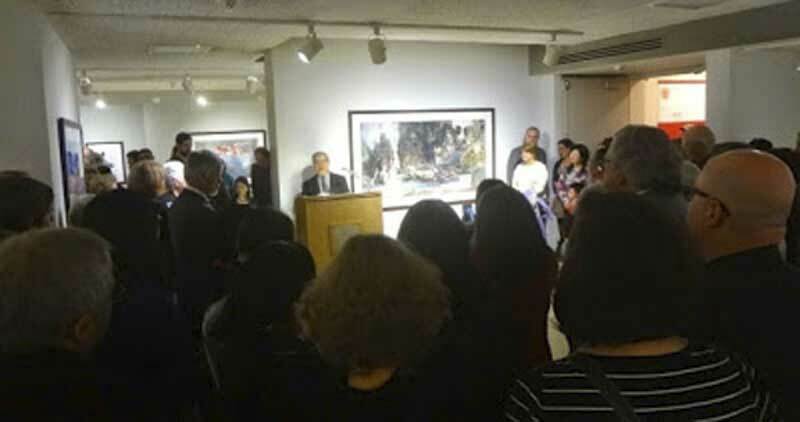 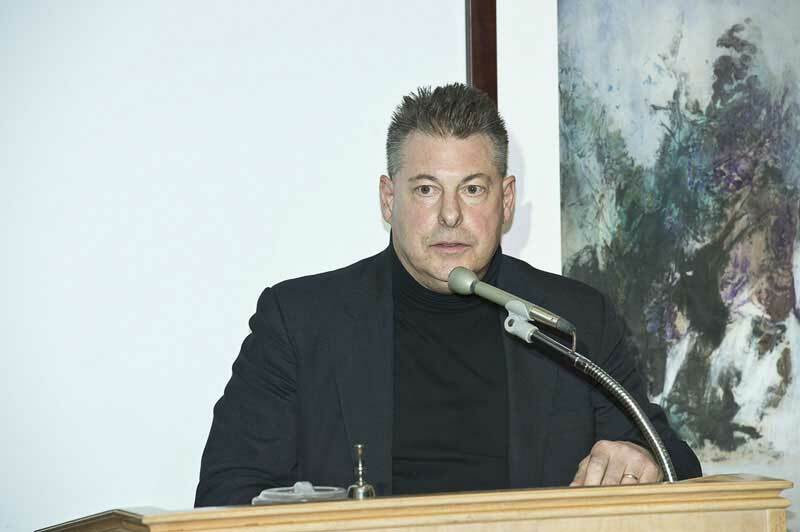 He spoke on the topic: "The Roles of Asian Art as Bridge Between East and West." 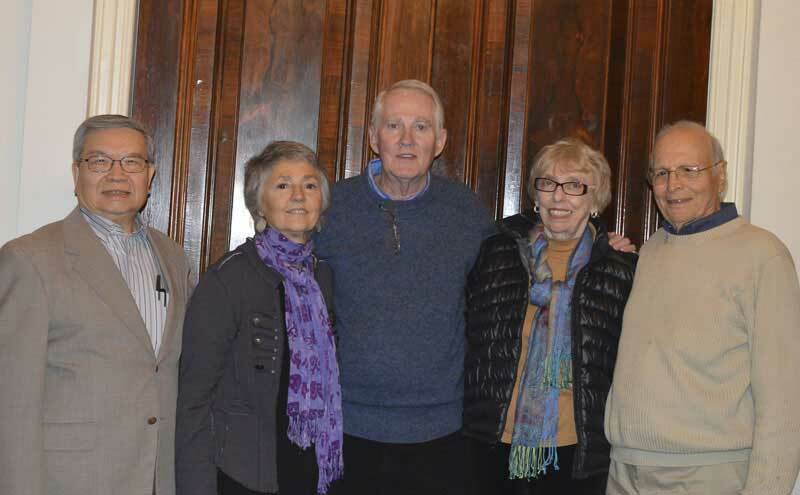 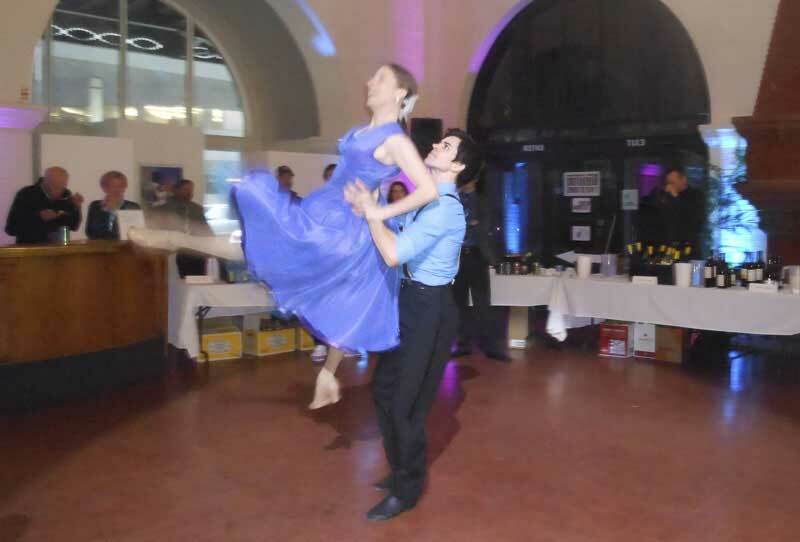 On April 28, the Minnesota Ballet held its biannual fundraiser "Wine and Chee's" at the Duluth Depot Great Hall. 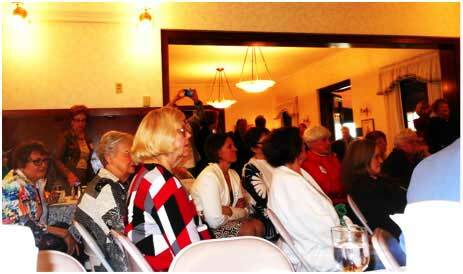 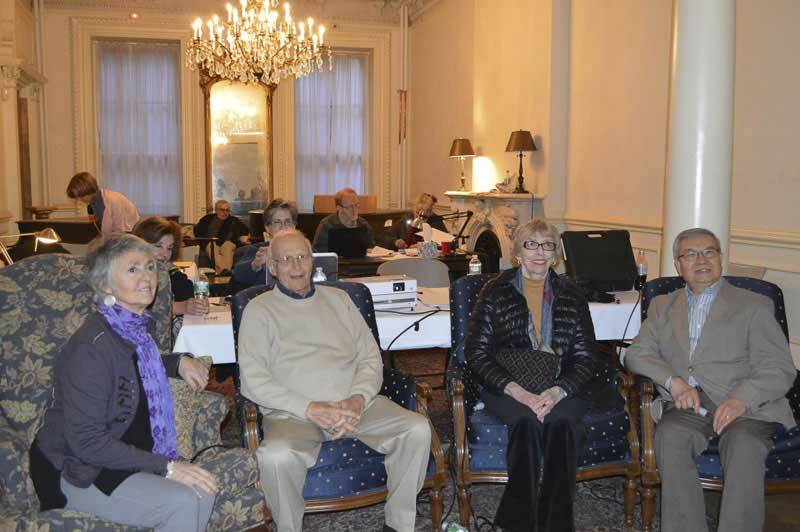 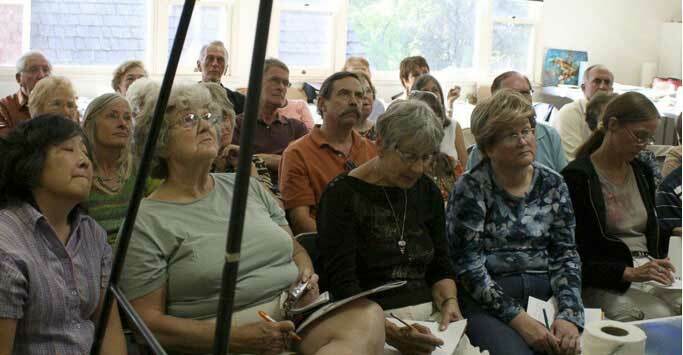 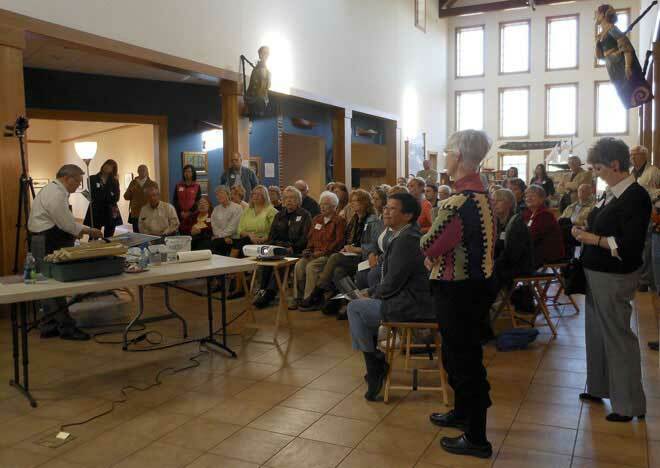 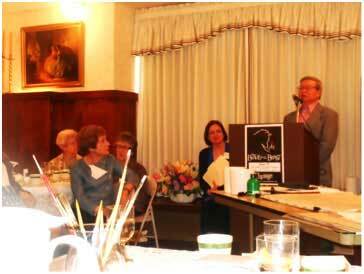 On April 22, Cheng-Khee gave a presentation at the Duluth Woman's Club. 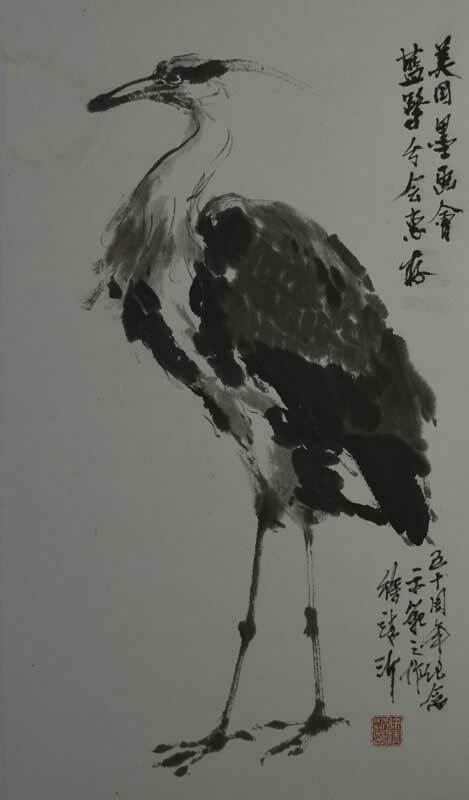 "The art of Chinese Painting with Demonstration." 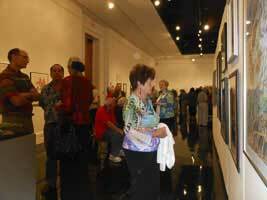 "The lives and works of the 34 artists represented here display a multitude of different approaches, philosophies and techniques. 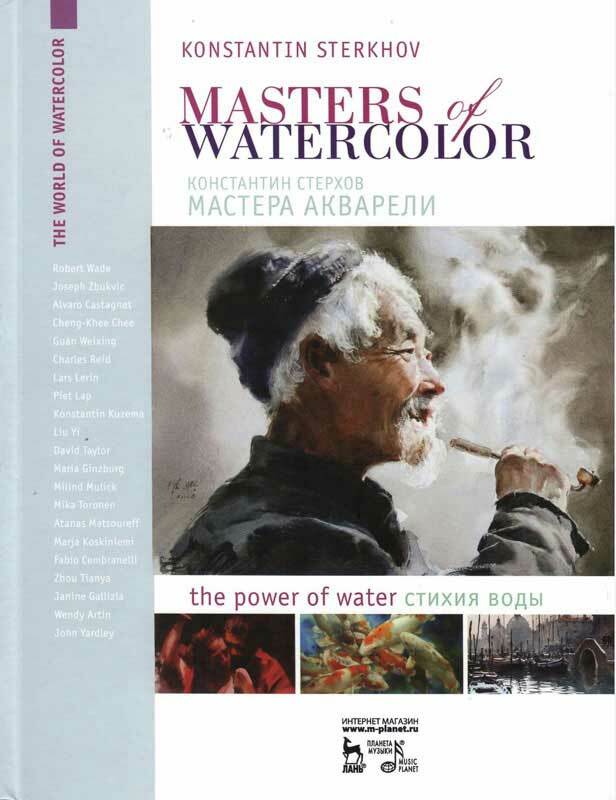 Each has a unique perspective and an innovative approach; artists such as Ann Smith, Cheng-Khee Chee, John Salminen and many more share their secrets here." 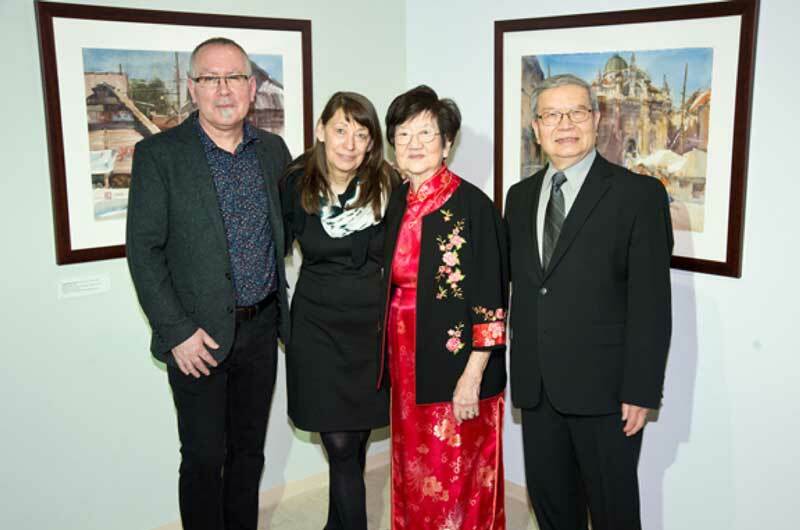 The Tweed Museum Director Ken Bloom and his staff worked very hard with dedication, enthusiasm and efficiency as a harmonious team to make it the best possible show! 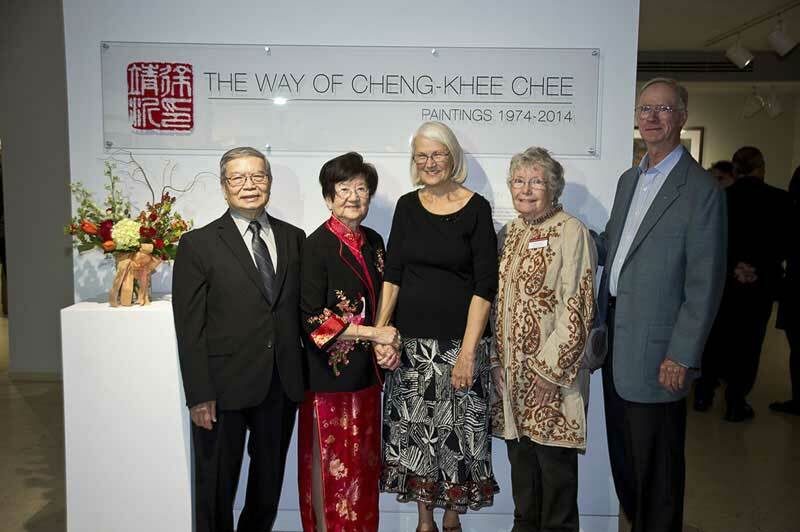 And indeed, in every way, it is the best of all Cheng-Khee's shows! 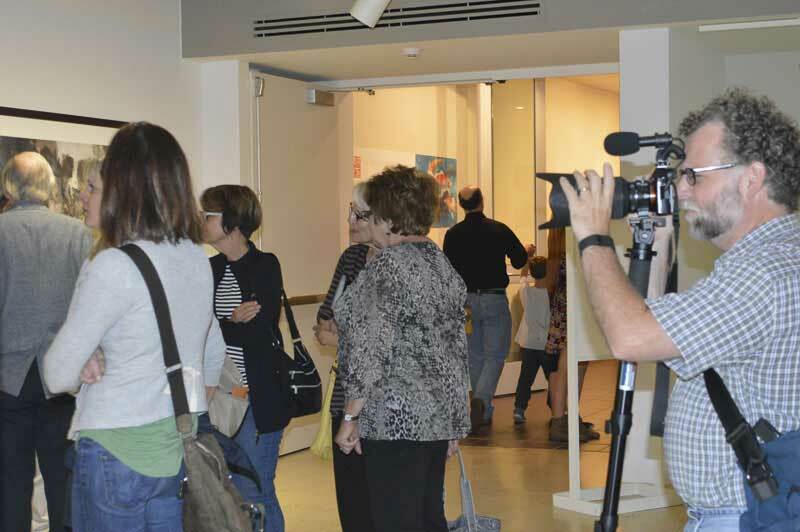 The Duluth community also enthusiastically supported the show and the news media provided generous coverage of the event. 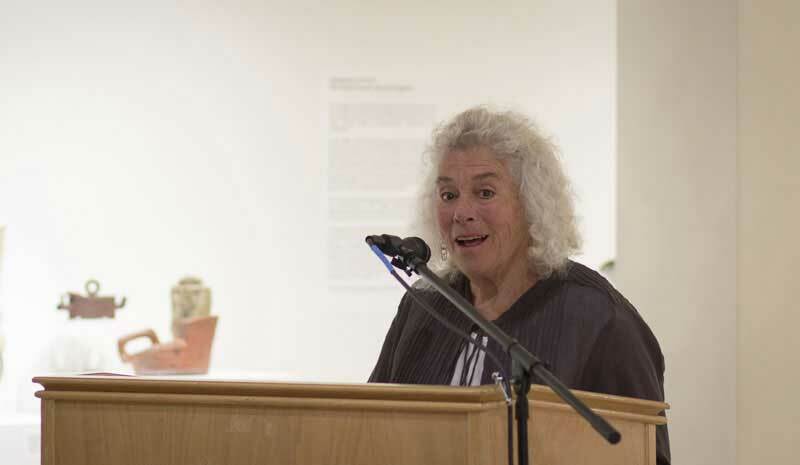 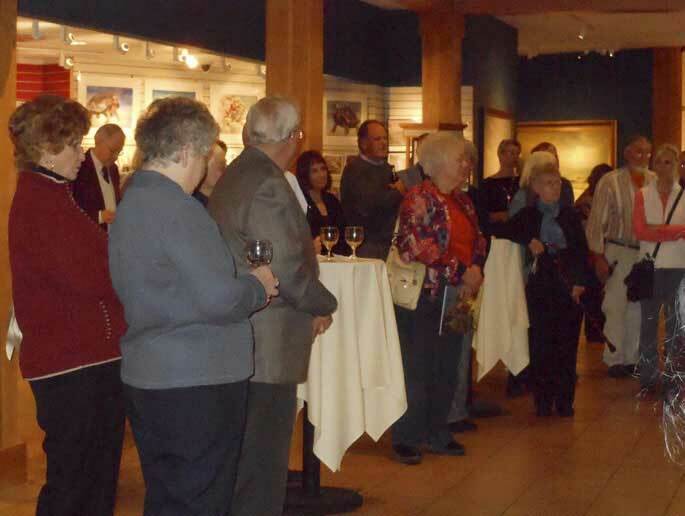 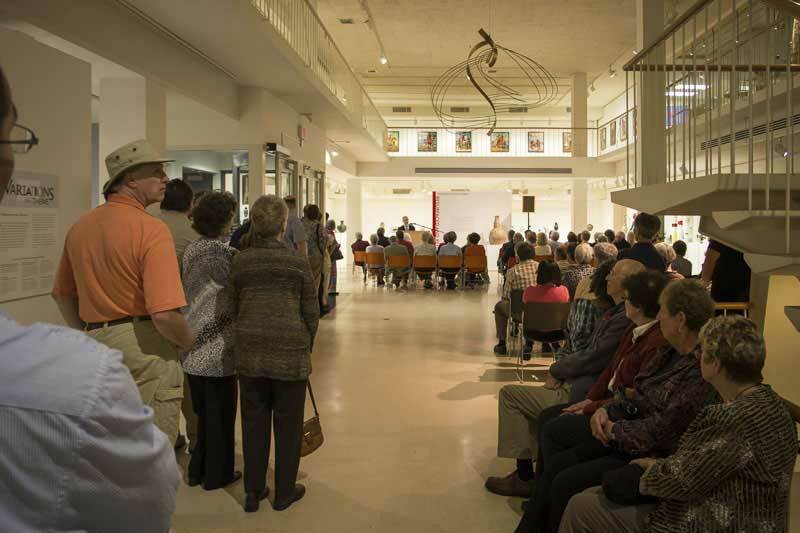 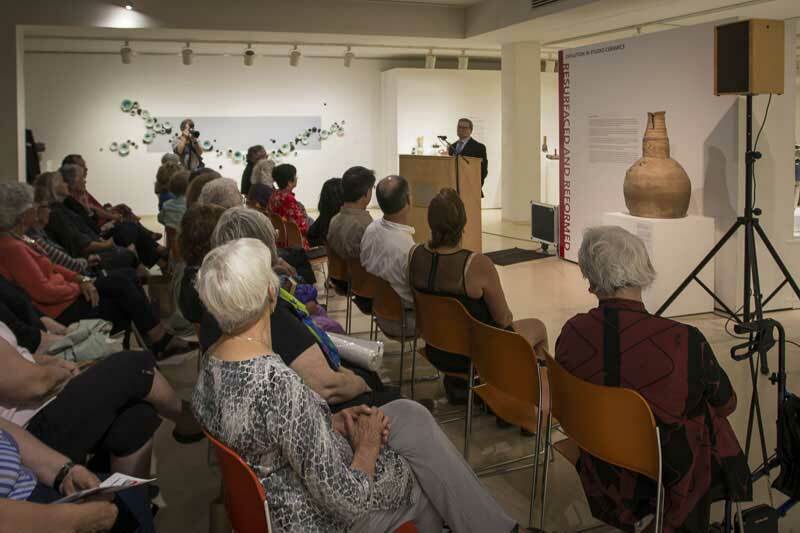 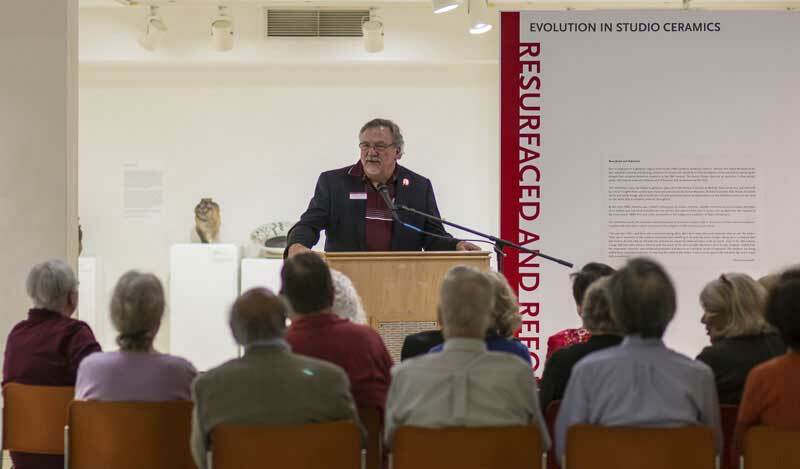 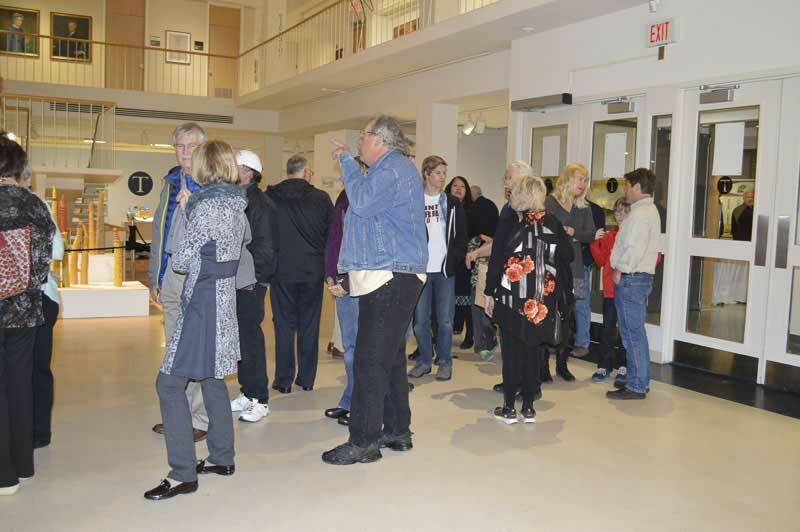 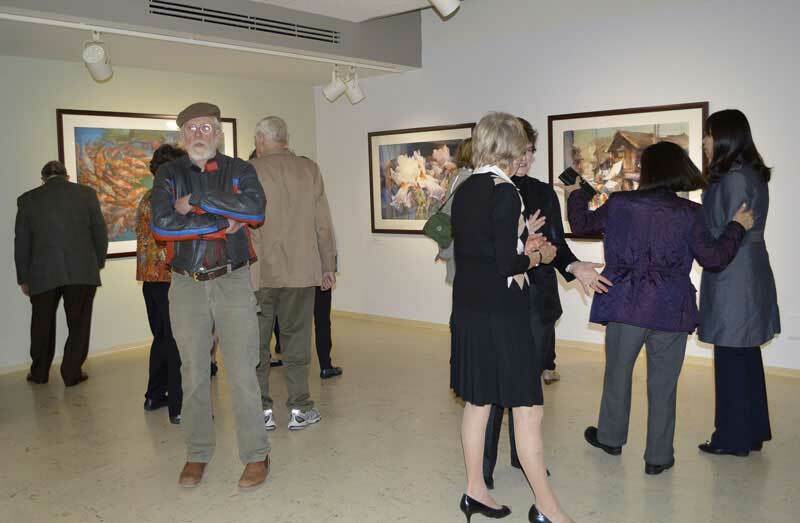 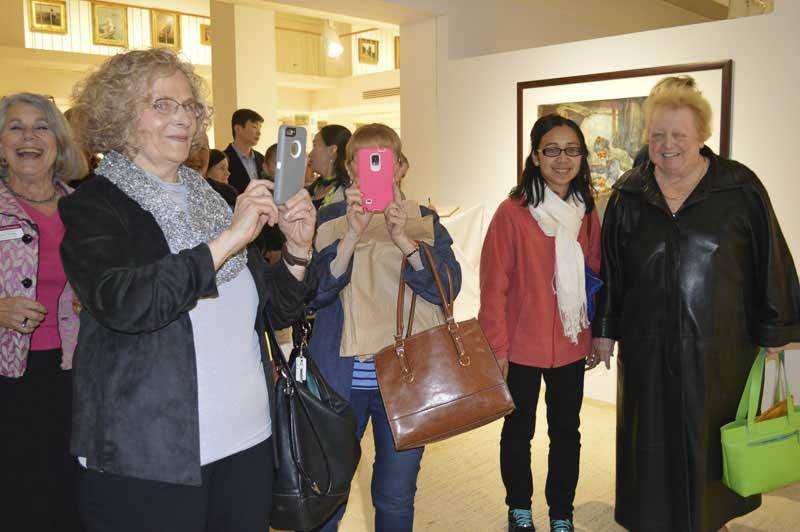 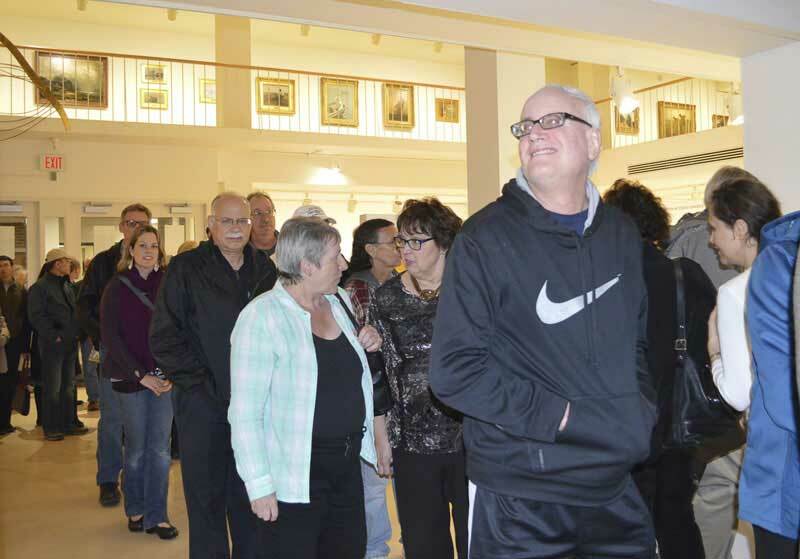 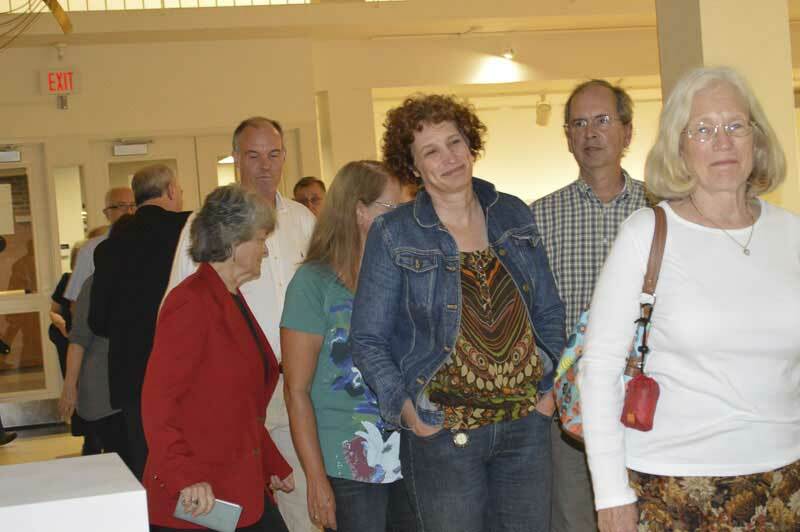 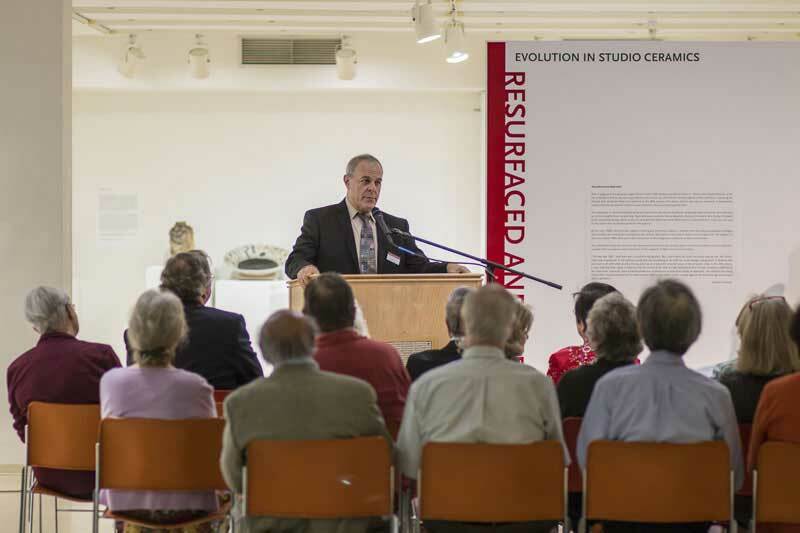 The Tweed Museum Newsletter reported: "Over 700 people attended the opening reception." 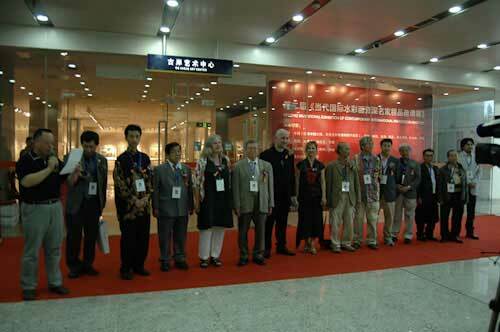 The guest book signatures showed visitors from 41 states and 15 foreign countries during the 4-month exhibition period. 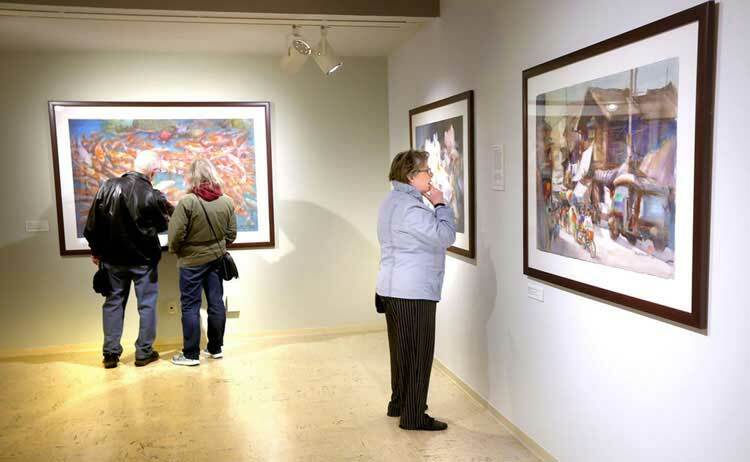 Minneapolis Star Tribune listed the exhibition among "10 attractions you shouldn't miss at Minnesota museums this season." 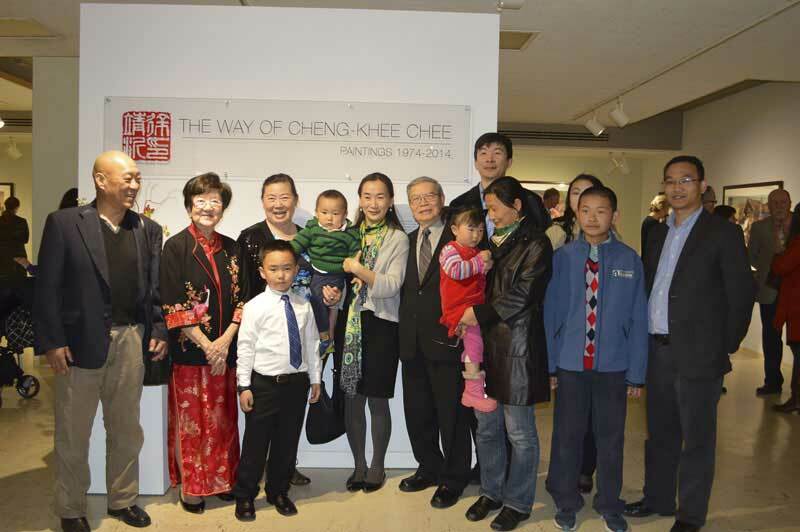 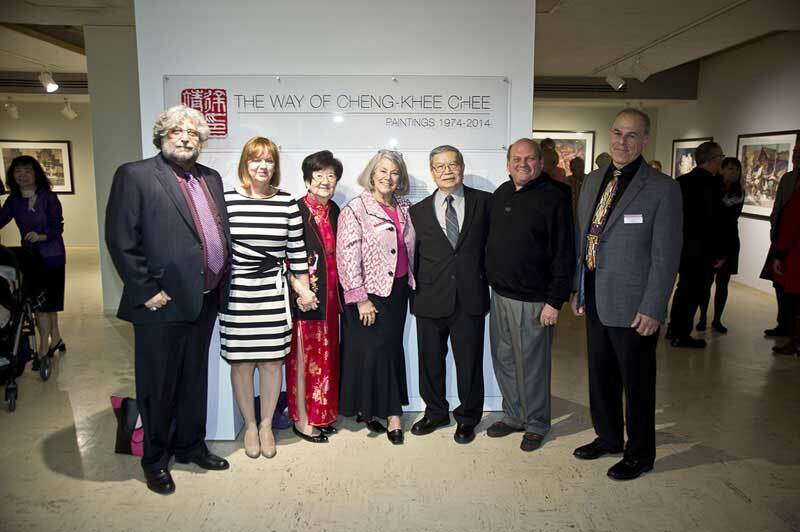 In his Blog http://pioneerproductions.blogspot.com/2015/05/local-art-seen-massive-reception-for.html Ed Newman reported "Thursday evening was the opening reception for Cheng-Khee Chee's retrospective, The Way of Cheng-Khee Chee, a retrospective of a half century of work. I can't recall a more crowded Tweed, though their major events these past few years have had comparable crowds turning out for the fanfare. 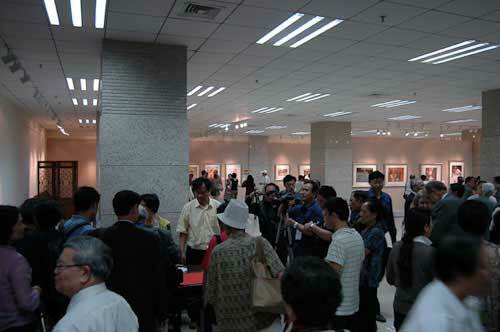 And its no wonder that we saw such a turnout. 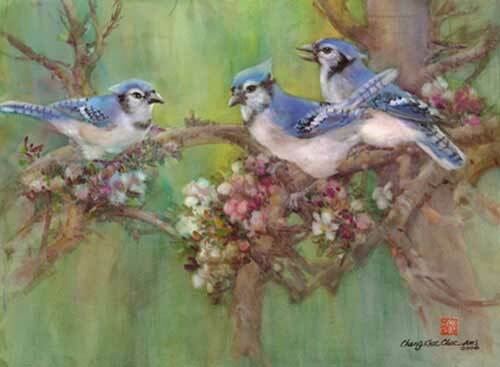 That his achievements are too numerous to count plays a small part, but his modest disposition and gentle spirit contribute greatly toward making him someone desirable to honor." 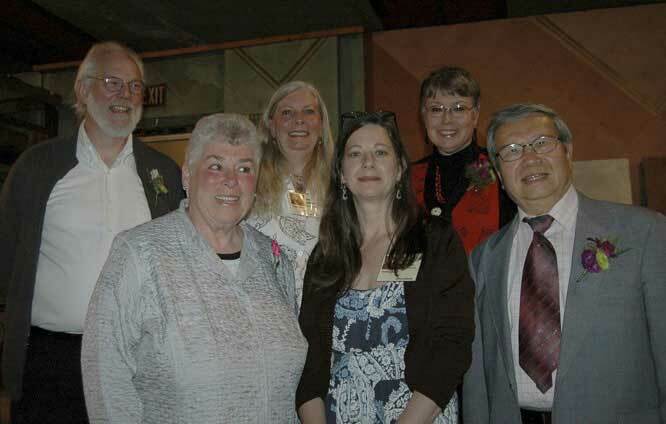 The Duluth News Tribune printed the following "Photo of the Day for May 15, 2015" by Bob King. 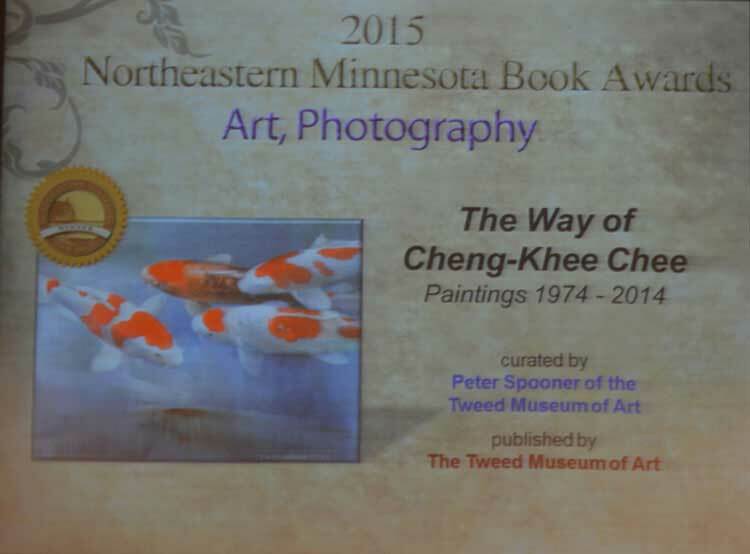 The Exhibition Catalog received the 2015 Northeastern Minnesota Book Award in the Art & Photography category. 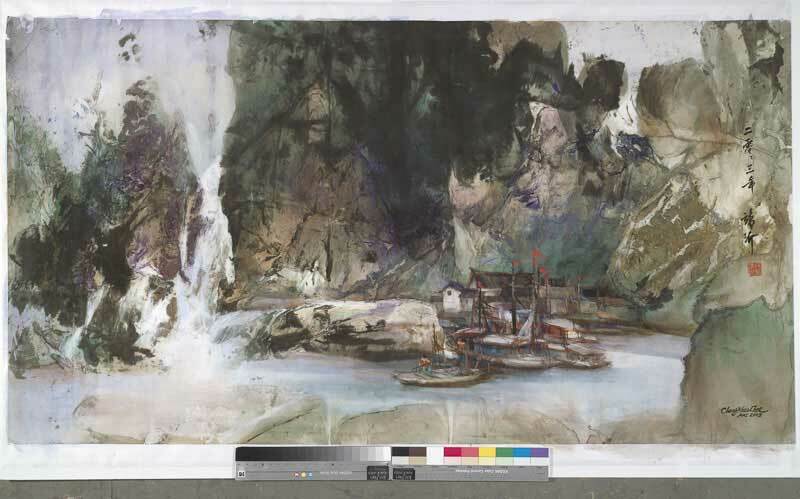 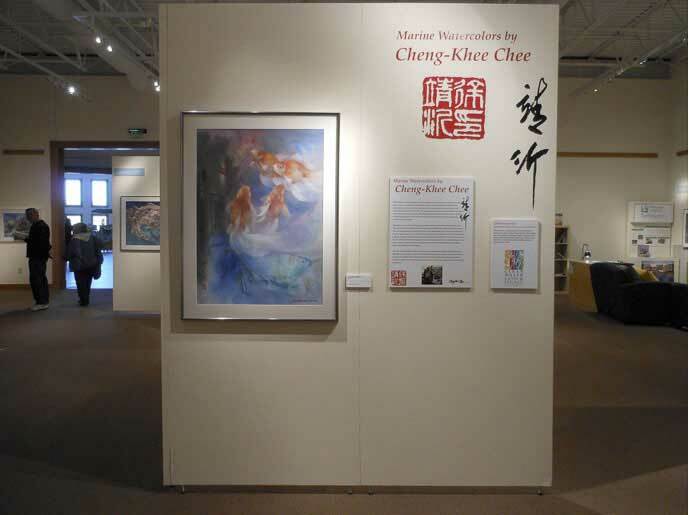 This full-color, 72-page book features reproductions of 39 of the artist's most important works, essays by curator Peter Spooner and artist scholar Ann Klefstad who address the subject of Cheng-Khee Chee's artistic development, as well as how Chinese and Western styles and spirituality have influenced the artist's paintings. 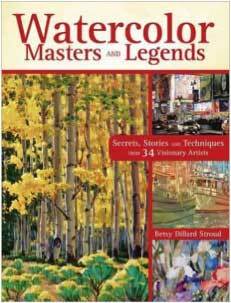 Also, there is a section that illustrates in detail the artist's unique technical innovations. 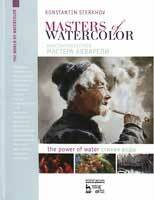 (Available at the Museum Store http://www.d.umn.edu/tma/store/store.html). 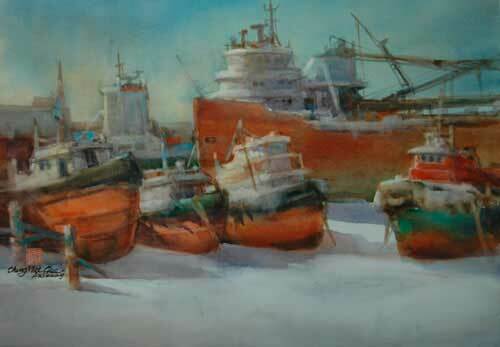 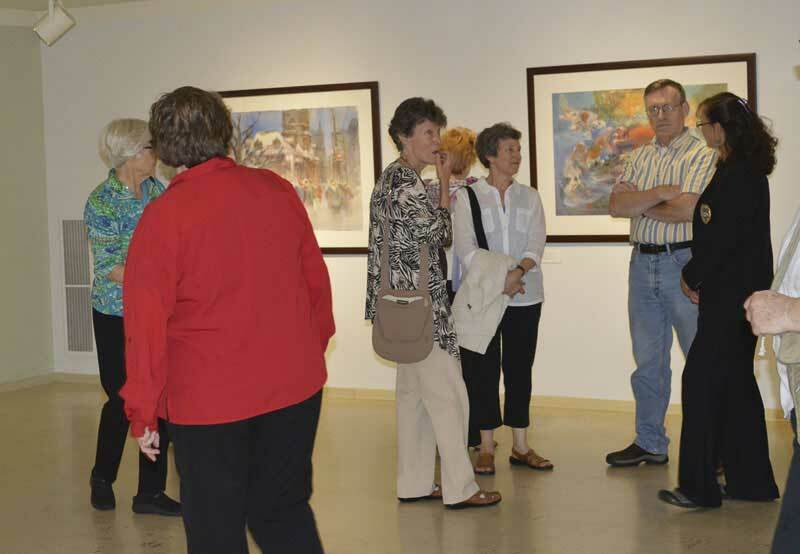 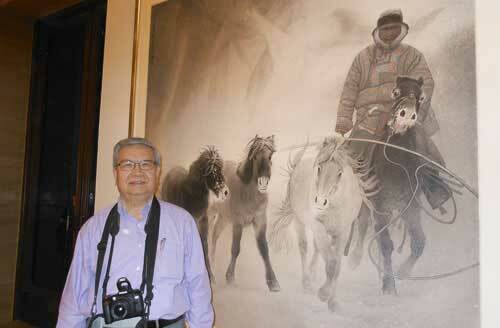 Duluth Chinese Watercolorist Exhibition Opens. 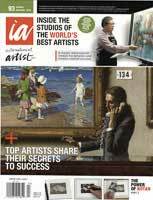 Article by Elaine Dunn, China Insight.info, May 2015 (p.8). 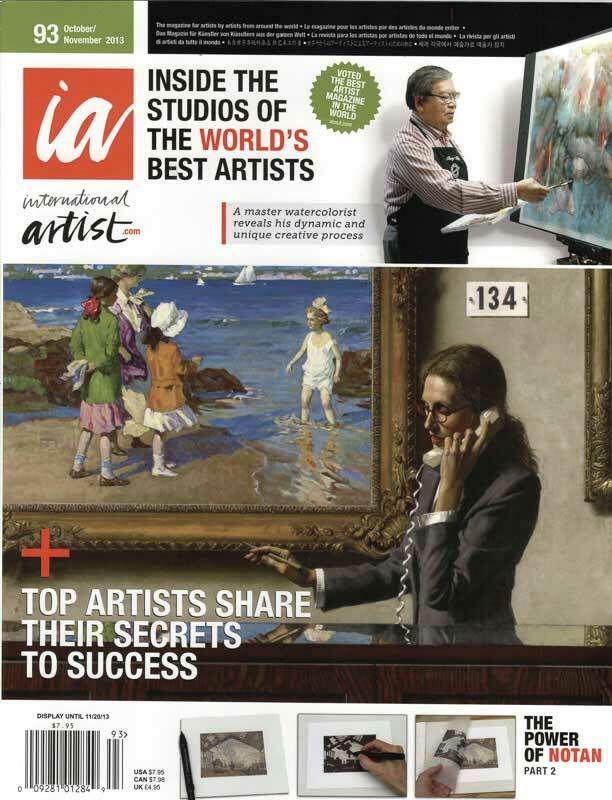 Cheng-Khee authored the article "A Glimpse of the Asian Aesthetic", to be published in the "Ask the Experts Column" in the March issue of The Artist's Magazine. 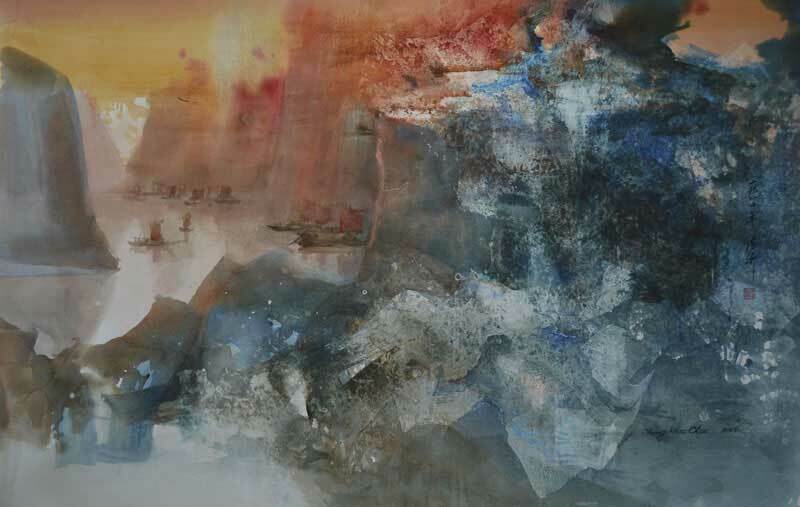 He also authored the article "Happy Accidents, Achieve intriguing Textural Effects by Letting Watercolor have Its Own Way on a Gel-Covered Surface" to be published in the "Brush Up Column" in the May issue of The Artist's Magazine. 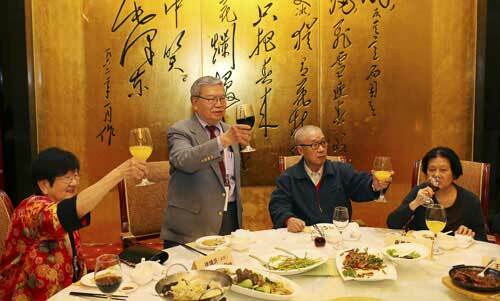 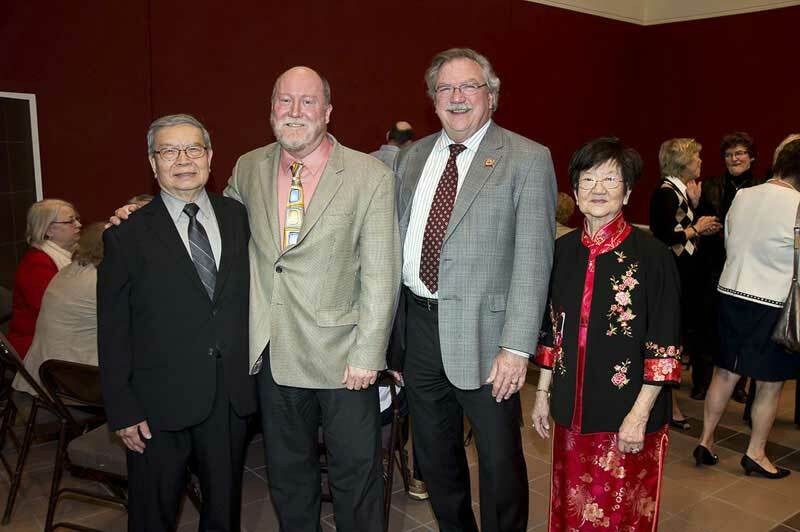 2014 being the 100th anniversary of the first students from China at the University of Minnesota. 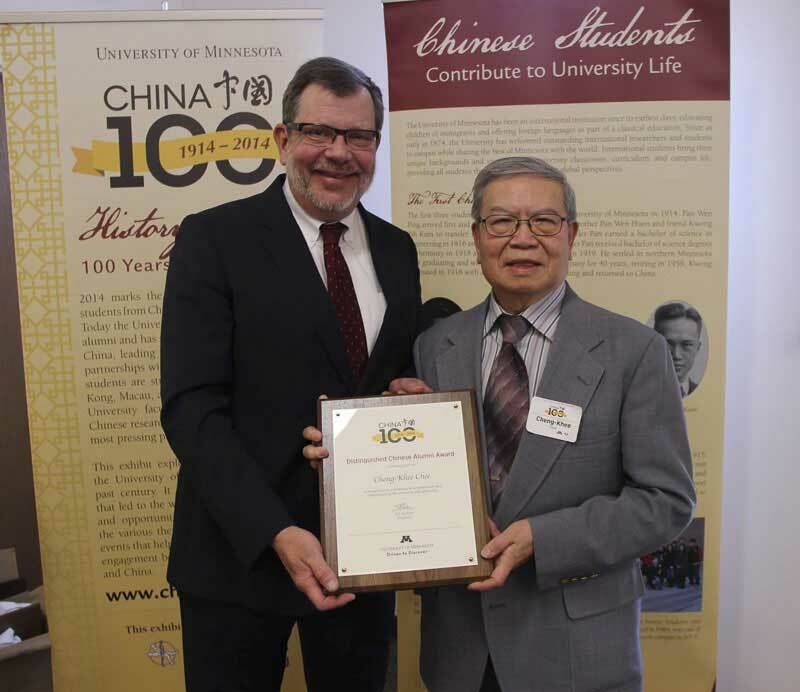 The University recognized this milestone with the China 100 Distinguished Chinese Alumni Award, which was presented by the University President Eric Kaler on October 16. 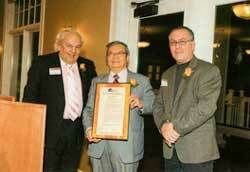 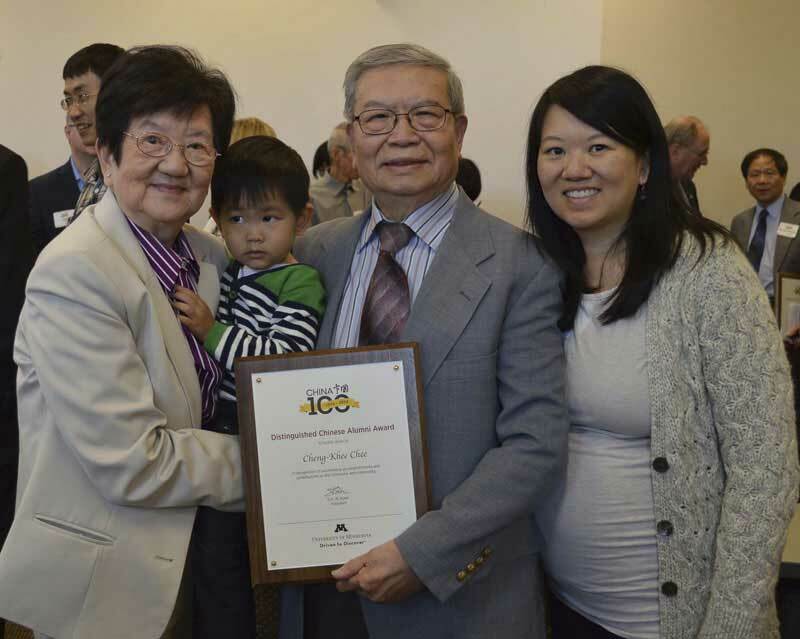 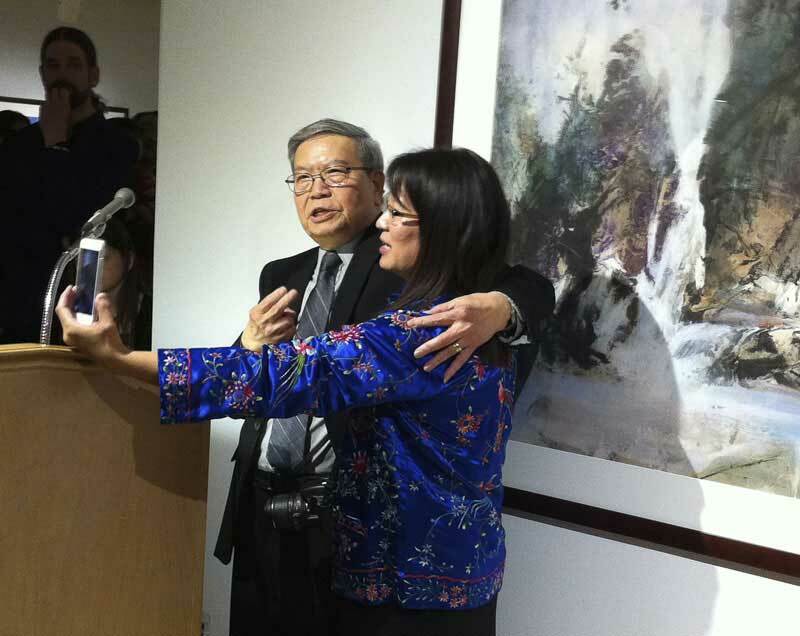 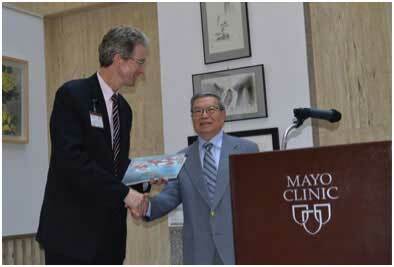 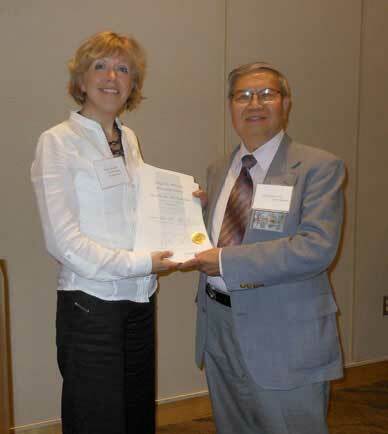 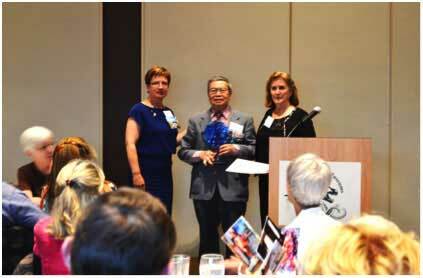 Cheng-Khee was among the honored alumni to receive the award. 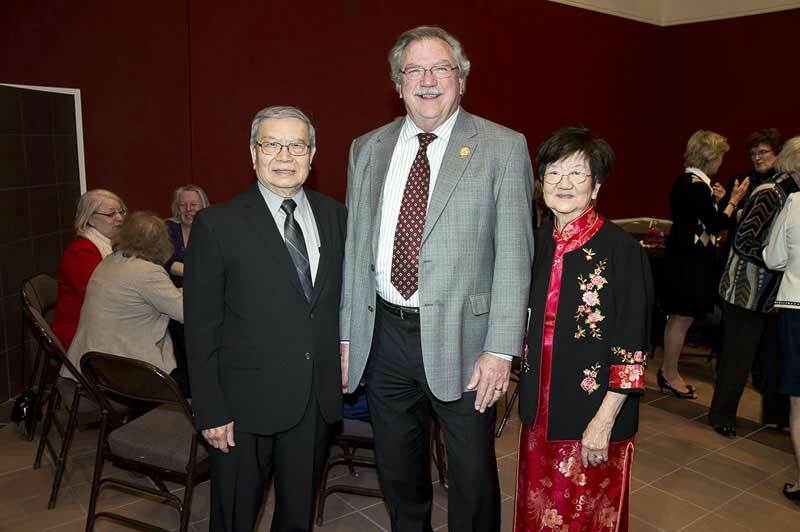 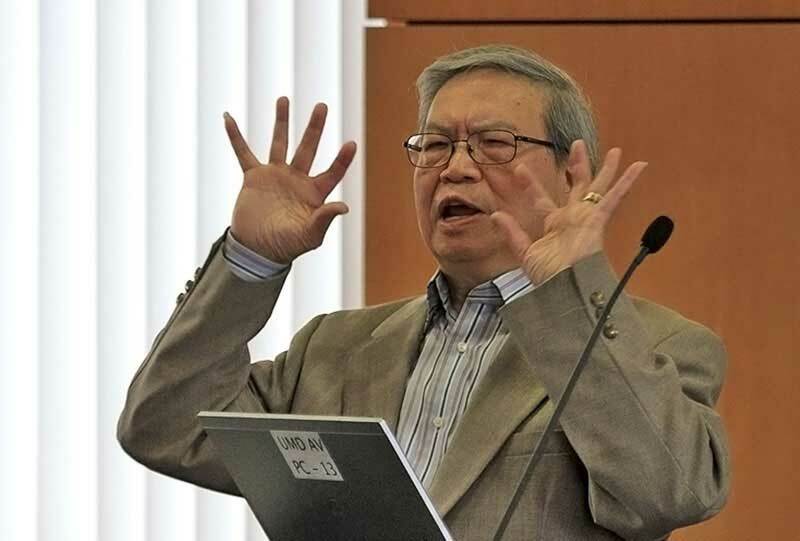 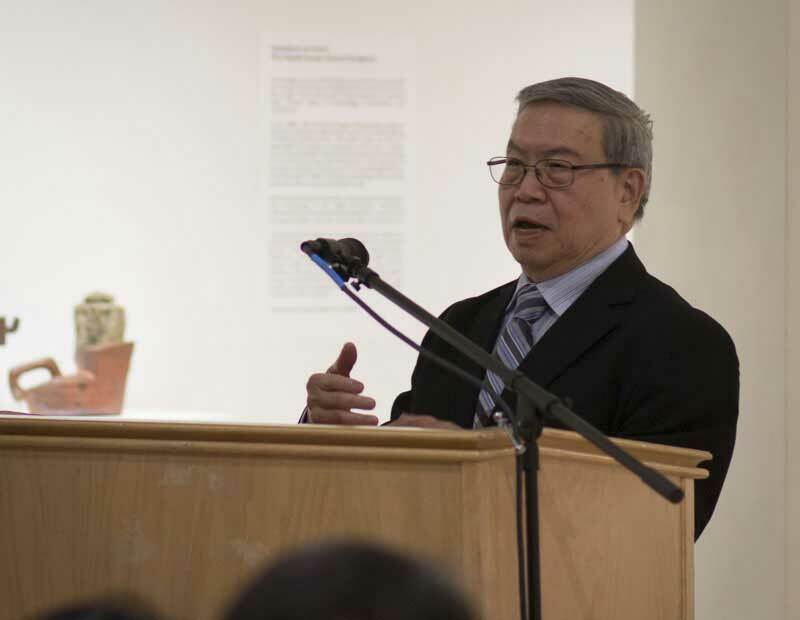 Cheng-Khee was keynote speaker for the Confucius Institute at the University of Minnesota, Duluth in conjunction with the China 100 Celebration. 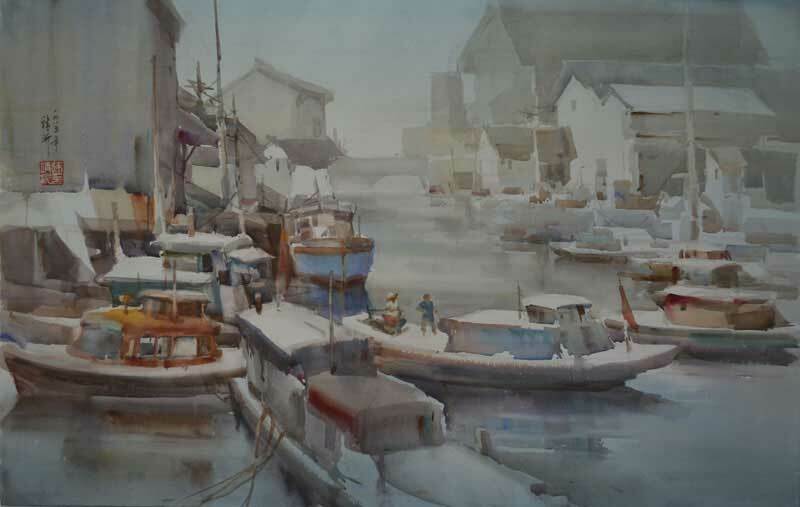 Cheng-Khee served as Jury of Selection Member for the 2014 American Watercolor Society's International Exhibition, and Juror of Selection and Awards for the 2014 Exhibition of the Western Federation of Watercolor Societies. 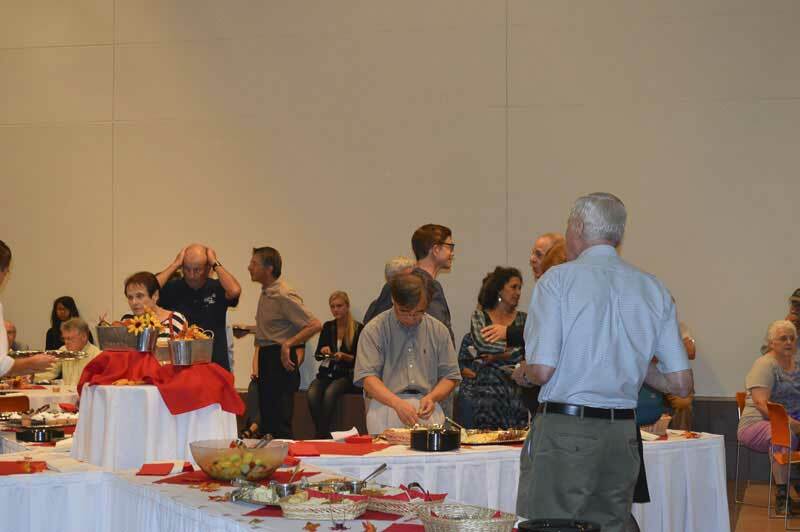 Guests sampled fine wines and micro-brewed beers, and enjoyed savory hors d'oeuvres from some of the Northland's finest restaurants. 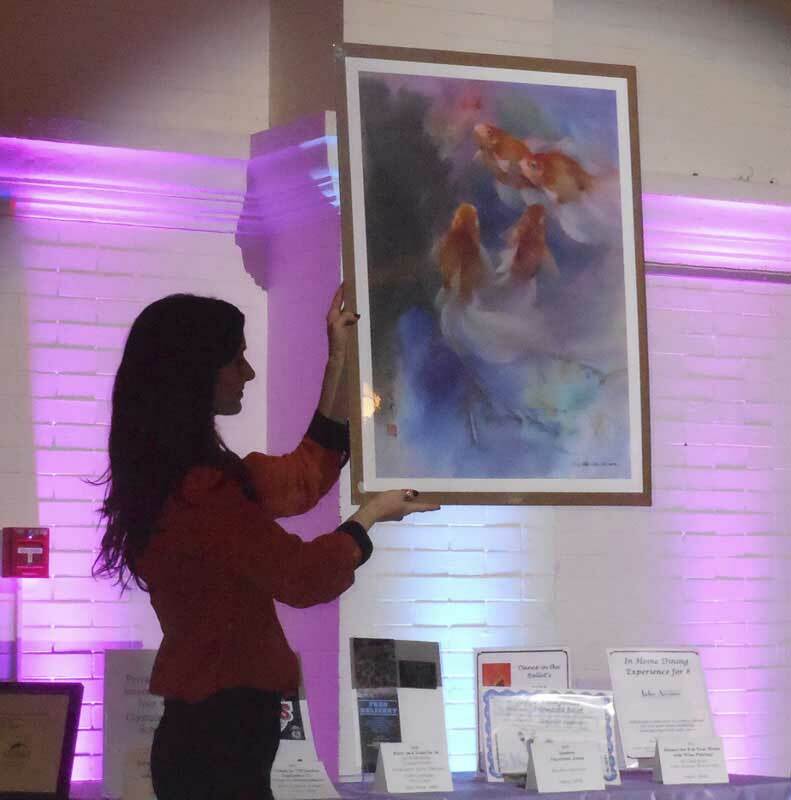 In the silent and live auctions, guests bid on great opportunities and merchandise, plus giclée prints by Cheng-Khee Chee, who was on hand for signing. 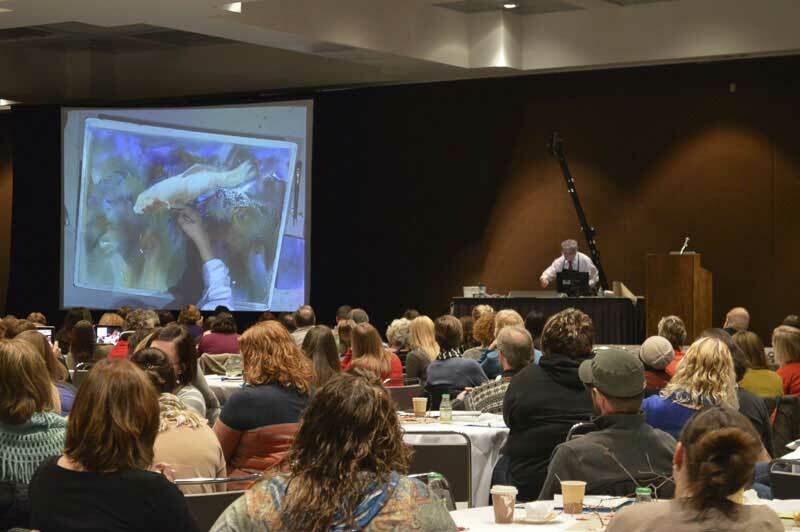 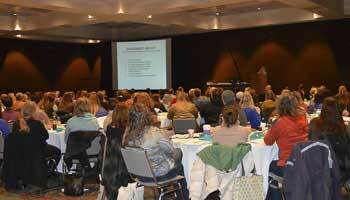 Cheng-Khee was keynote speaker for the Art Educators of Minnesota Conference on November 8 at the Duluth Entertainment and Convention Center. 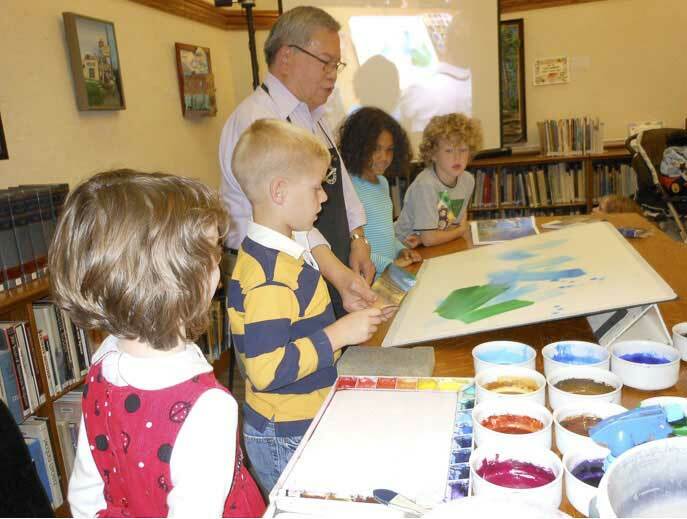 His topic was Environment and Art, along with a painting demonstration to illustrate how the multicultural environments have influenced his art. 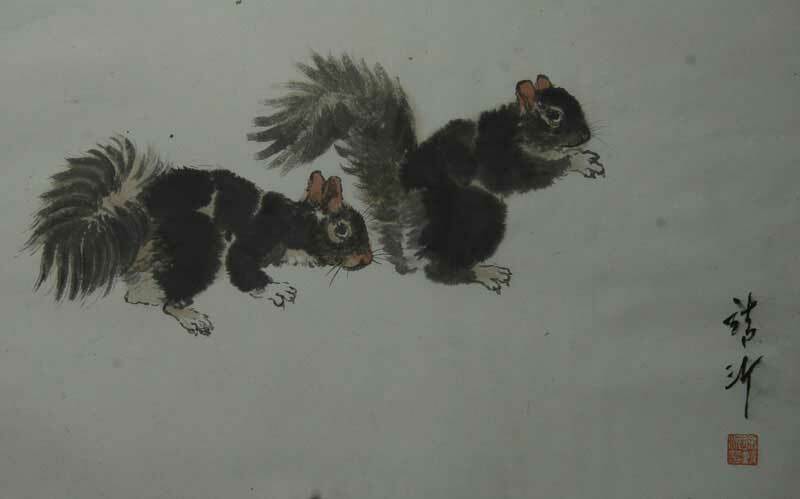 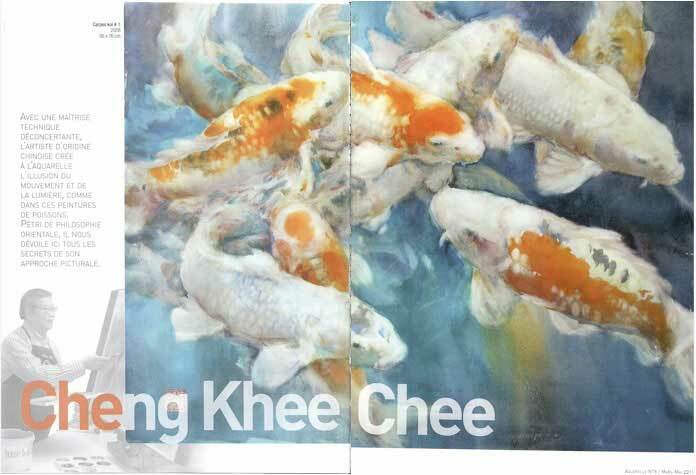 The Russian publication Masters of Watercolor compiled by Konstantin Sterkhov features Cheng-Khee and his paintings p. 64 - 73; the text is in both Russian and English. 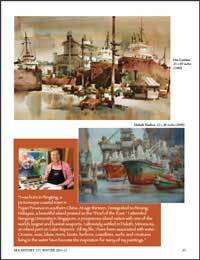 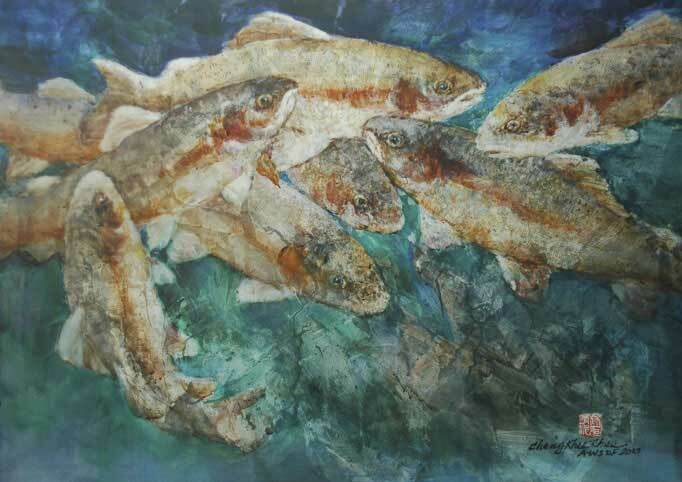 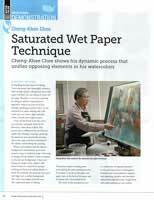 The International Artist Magazine features his article The Saturated Wet Paper Technique in its Oct/Nov 2013 issue, p.100-107. 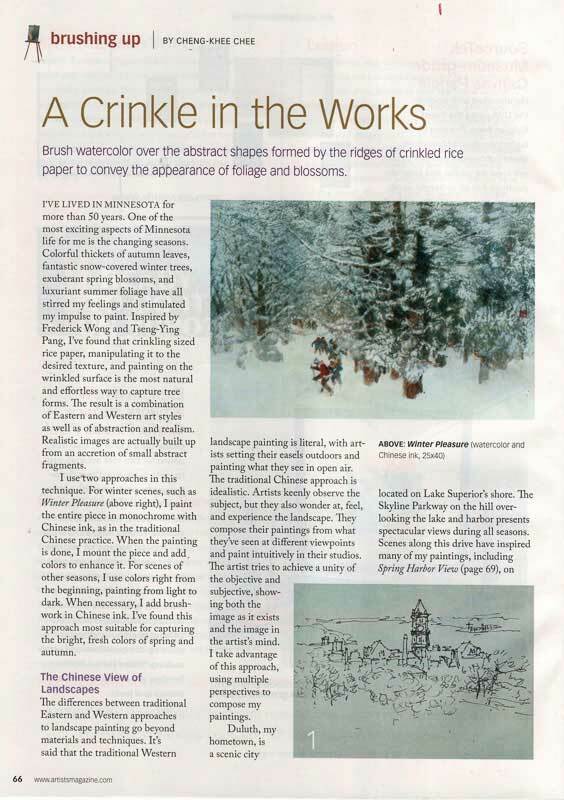 The Artist's Magazine Brushing Up Column features his article A Crinkle in the Works, p. 66-69. 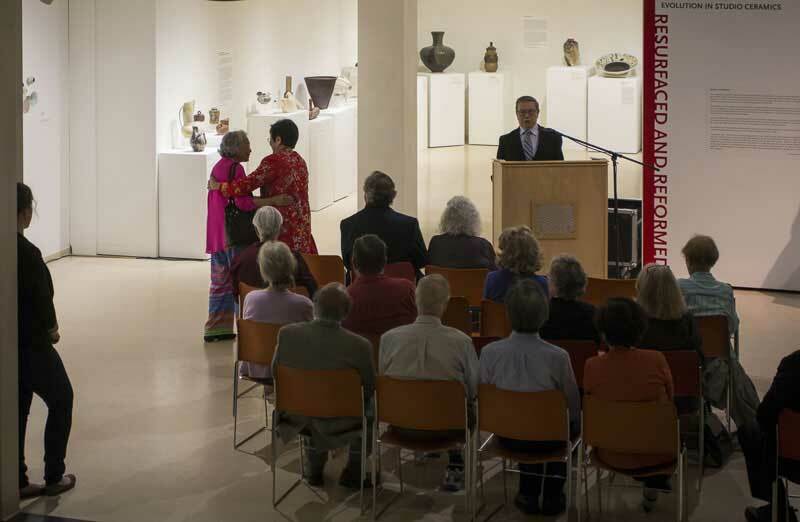 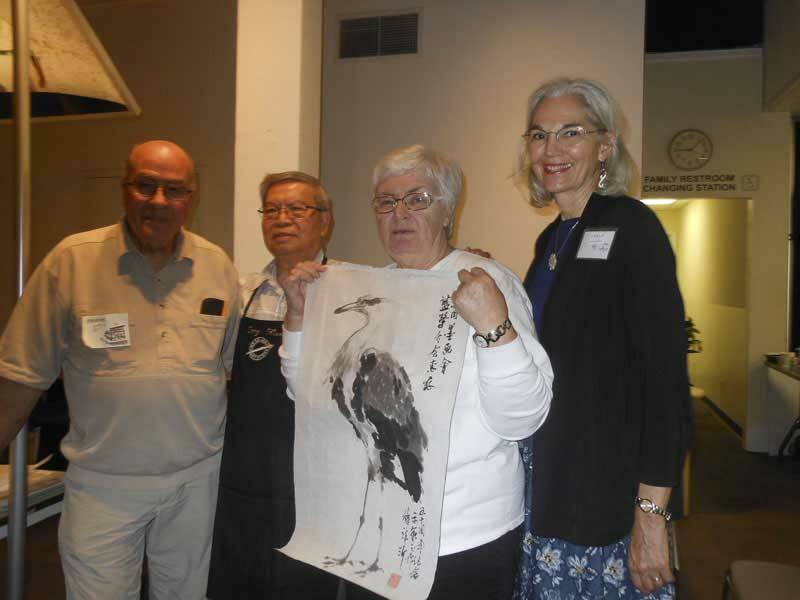 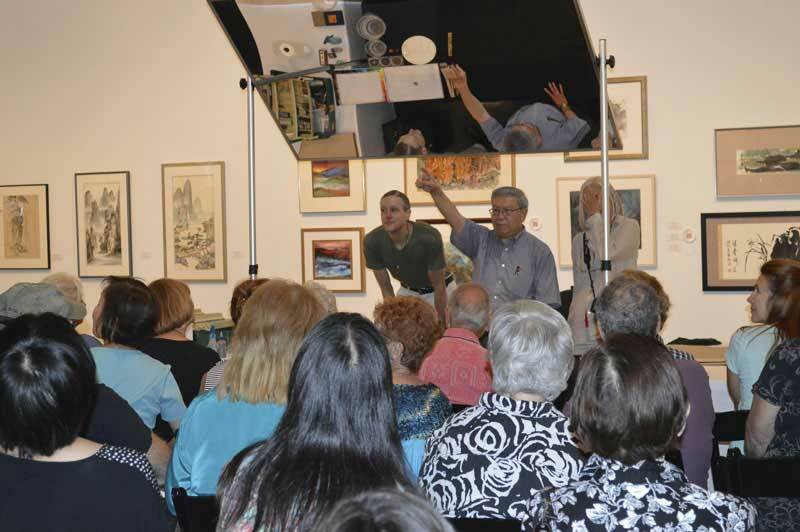 The Sumi-e Society of America celebrated its Golden Jubilee 50th Anniversary in September at the Portsmouth Art and Cultural Center in Portsmouth, Virginia. 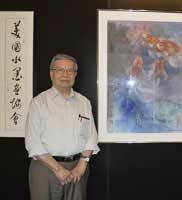 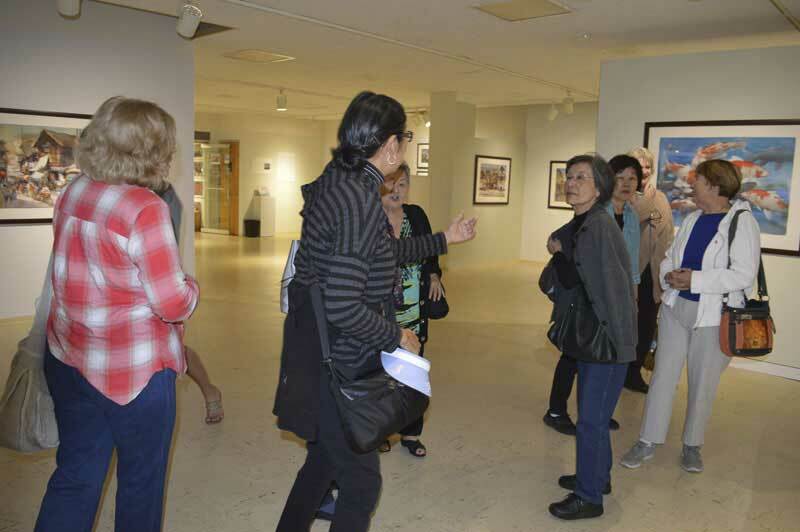 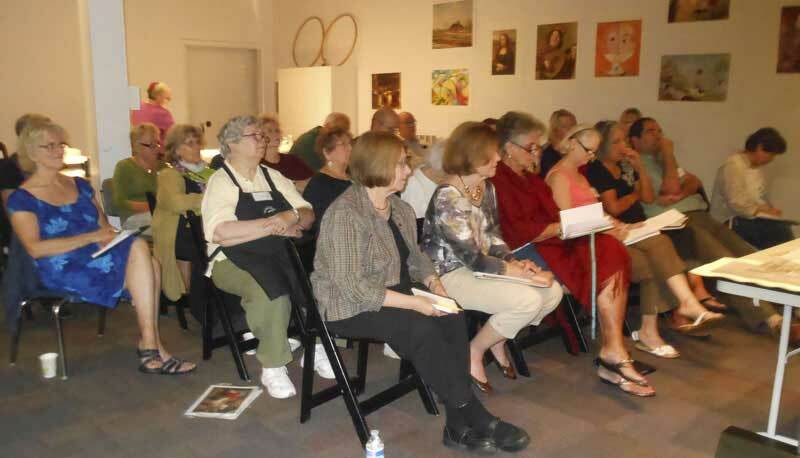 Cheng-Khee served as its exhibition juror, workshop instructor, and gave a public lecture and painting demonstration. 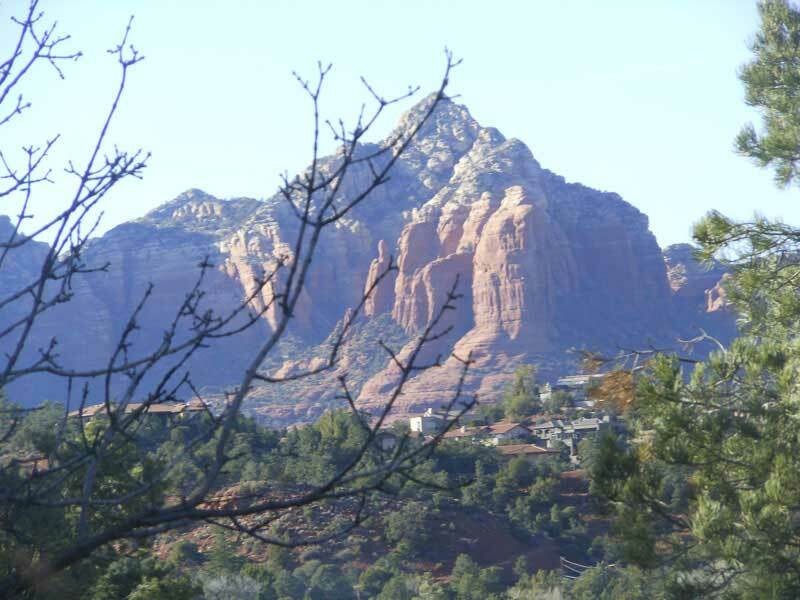 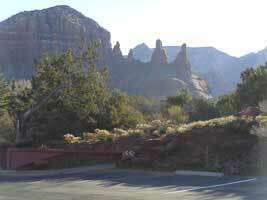 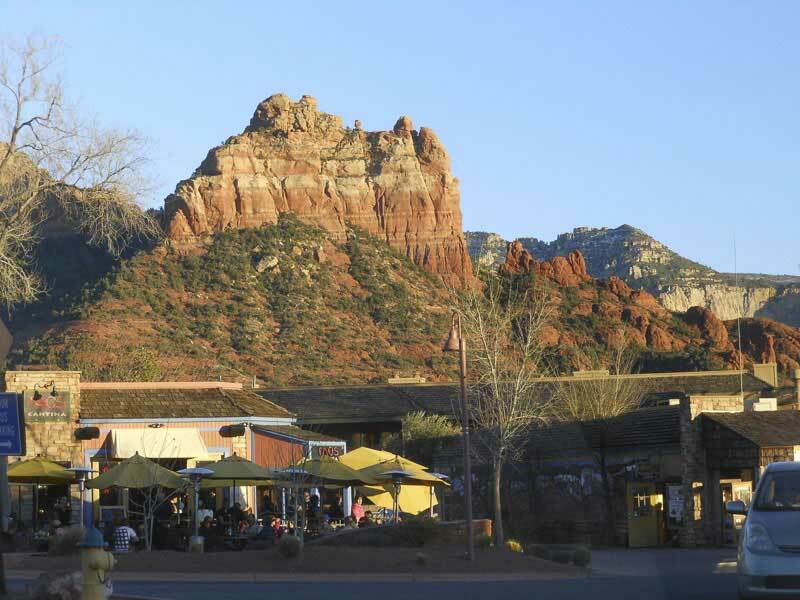 In March Sing-Bee and Cheng-Khee spent one week in Sedona, doing a workshop for the Northern Arizona Watercolor Society and enjoyed the spectacular views of the area. 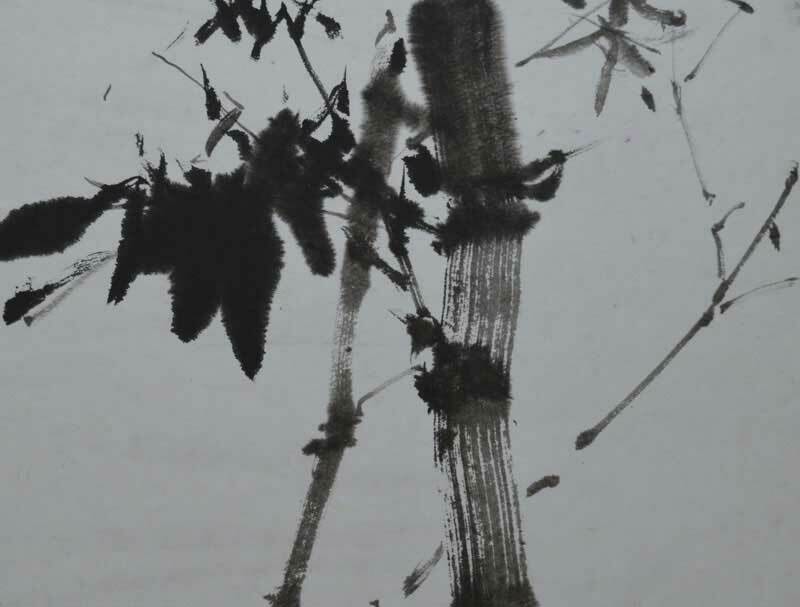 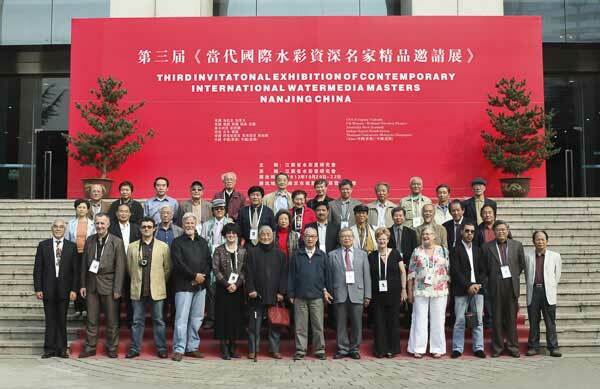 For the third time, Cheng-Khee helped the Jiangsu Watercolor Research Institute organize the Invitational Exhibition of International Contemporary Watermedia Masters. 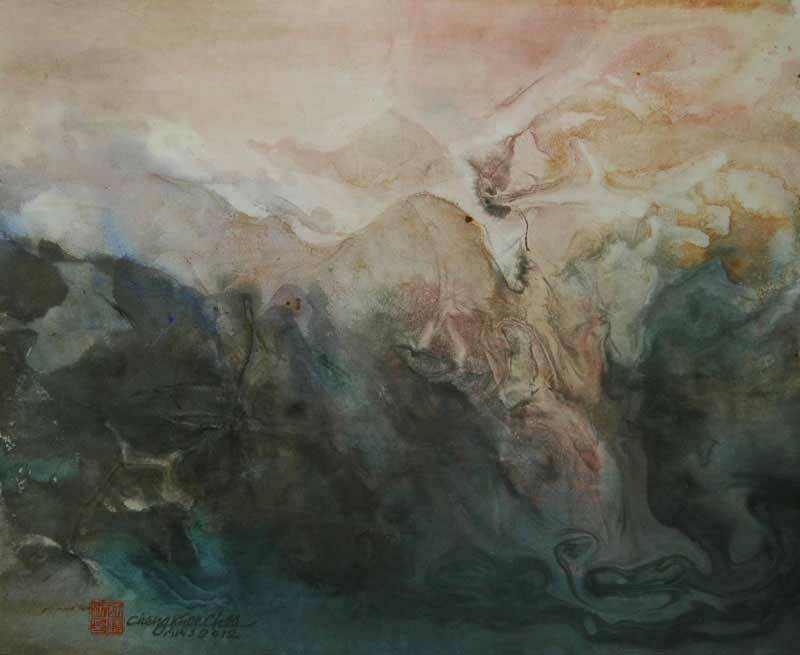 He was curator of watercolors of Europe and the Americas and also served as translator for featured articles and interpreter for the watermedia Forum. 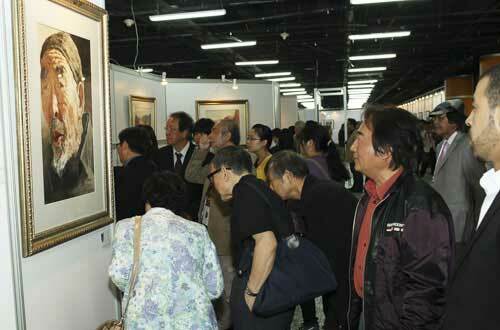 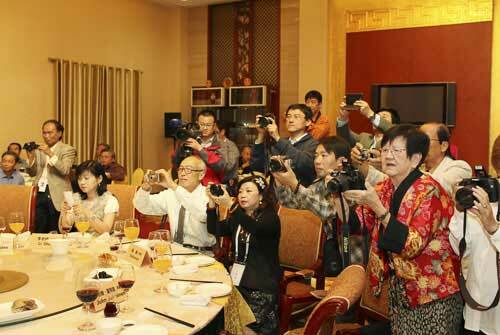 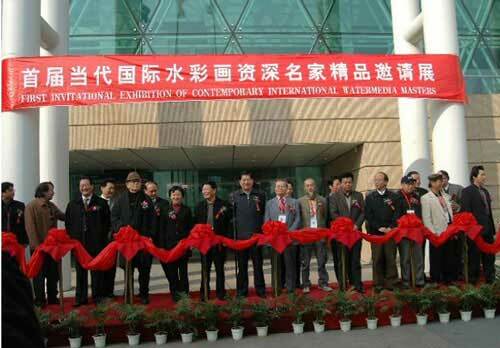 The Exhibition was held at the Nanjing Construction Planning Exhibition Hall, October 20 – 26. 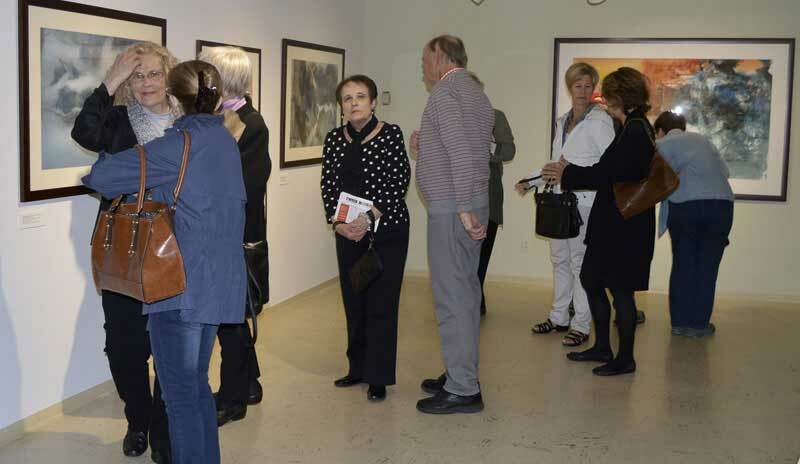 94 artists of 20 countries presented 94 pieces of work with a great variety of styles and subjects that gave the audience food of soul and enjoyment! 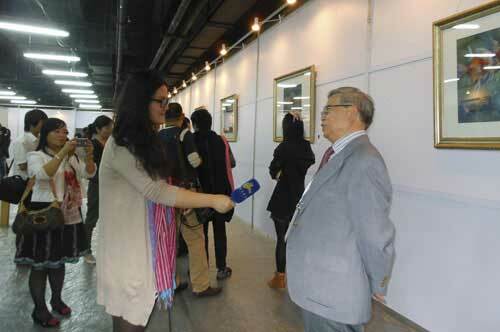 It also attracted unprecedented national attention! 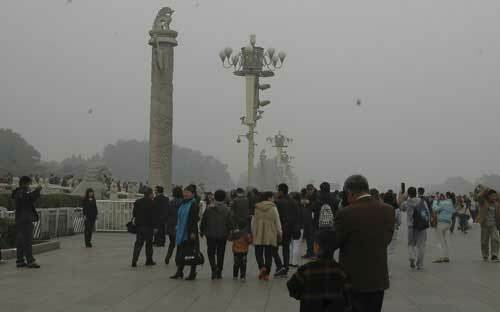 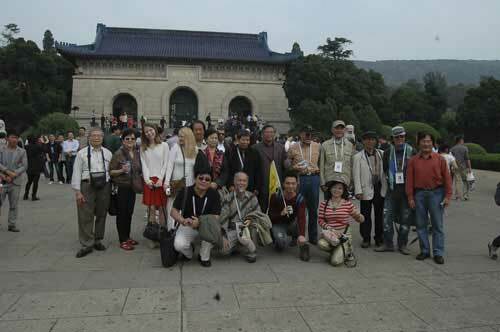 After attending the opening celebration and forum, Cheng-Khee and Sing-Bee spent one week in Beijing, visiting museums and exciting sights of the city. 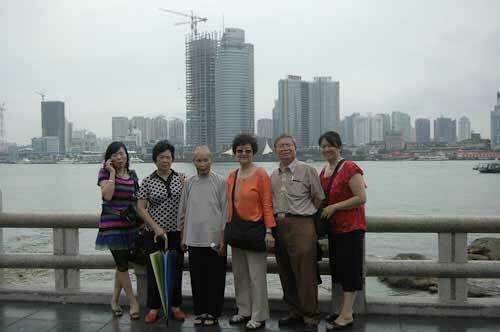 They made a side trip to Tianjin to visit the Tianjin Art Academy and the sights. 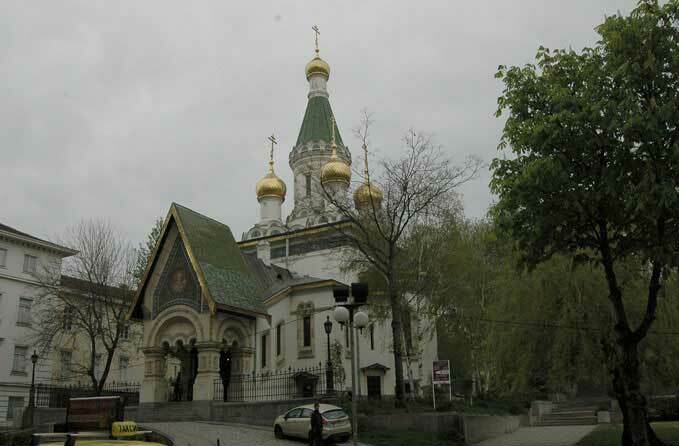 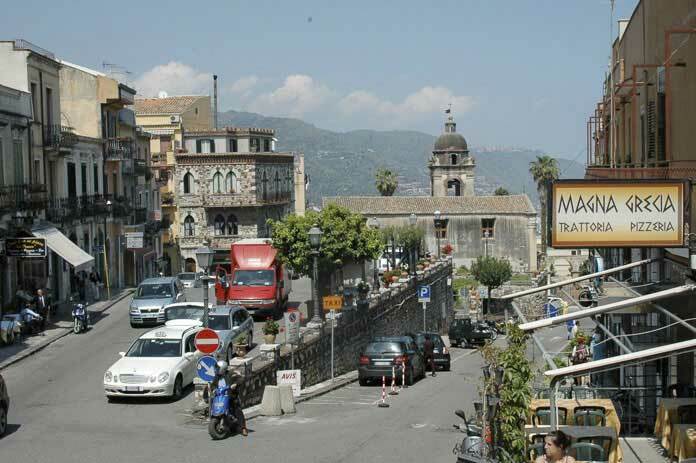 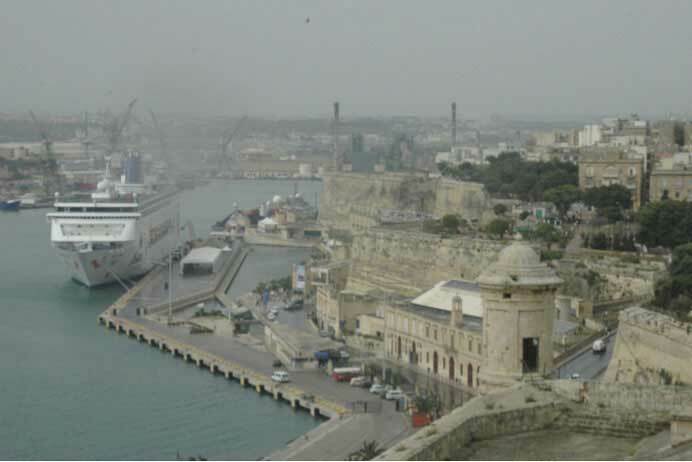 Both cities have changed a great deal since their last visit almost 20 years ago. 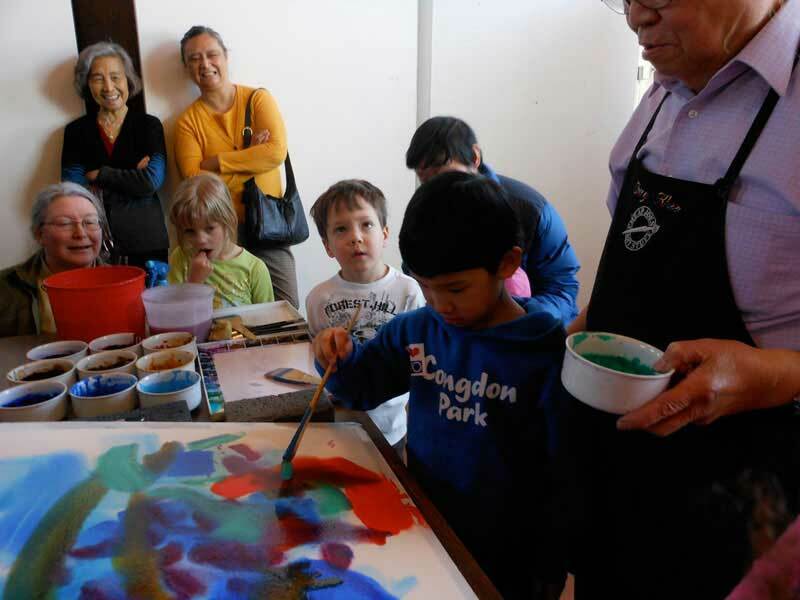 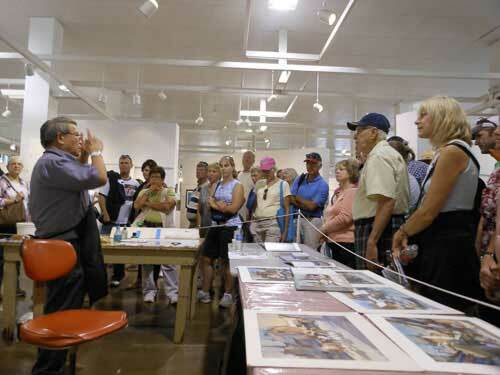 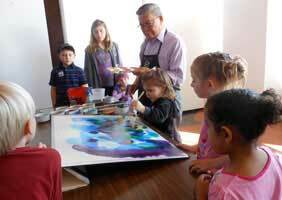 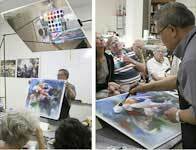 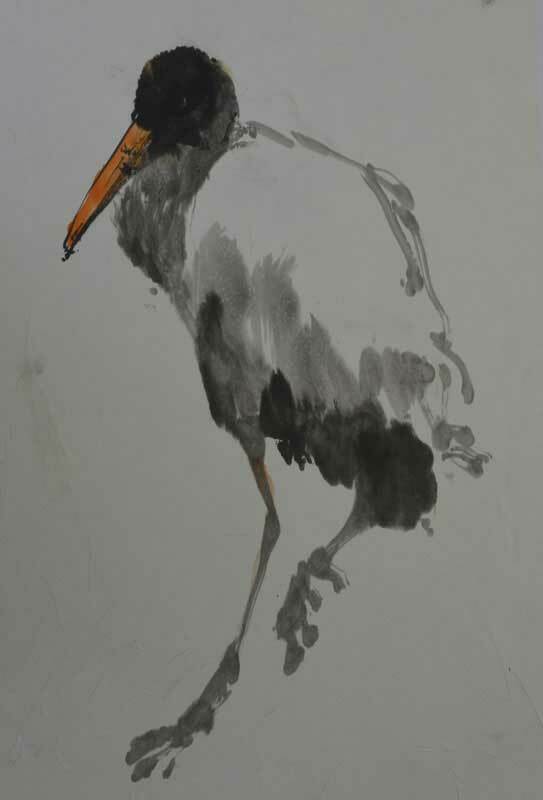 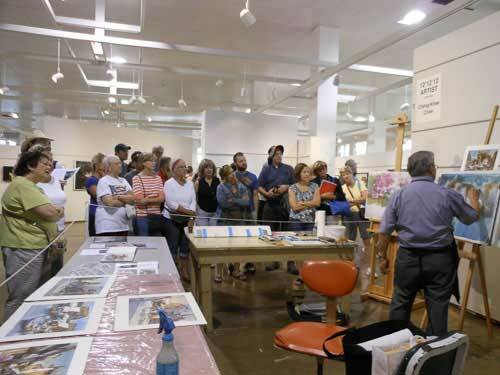 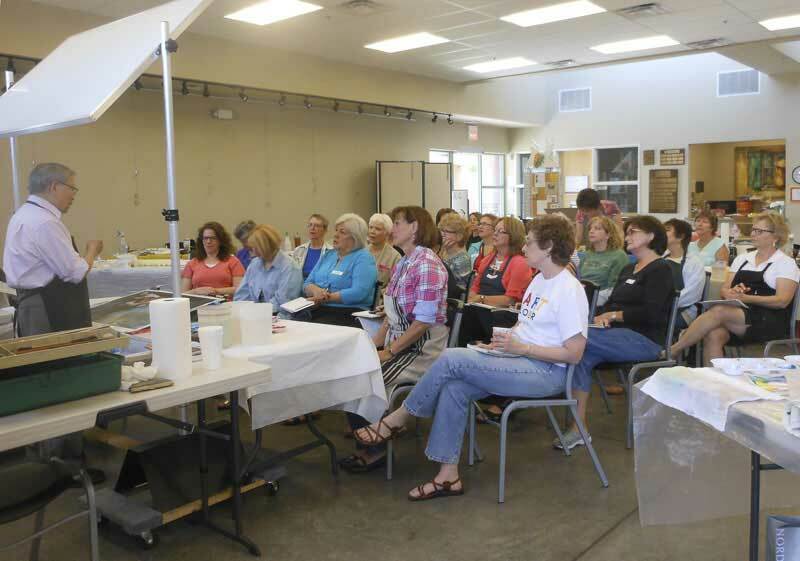 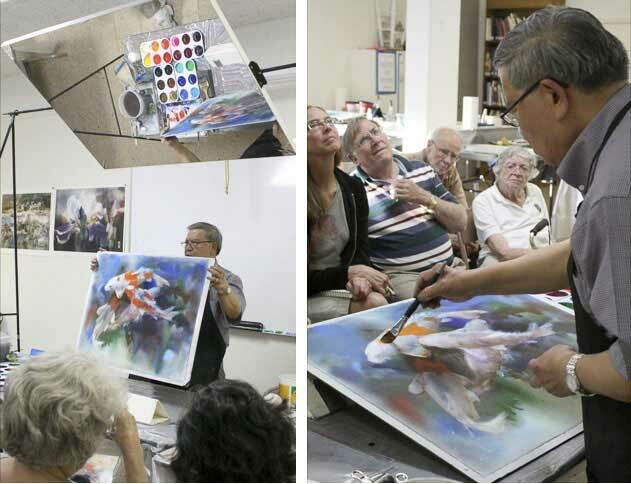 Cheng-Khee served as 2012 Minnesota State Fair One-Day Artist in Residence on August 26 from 9:00am to 9:00pm. 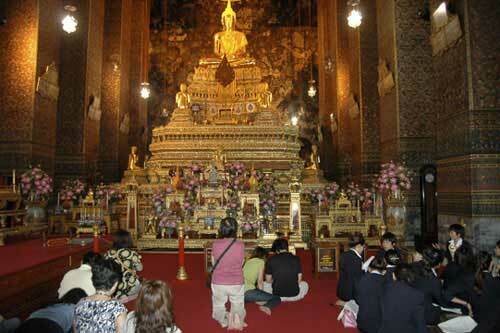 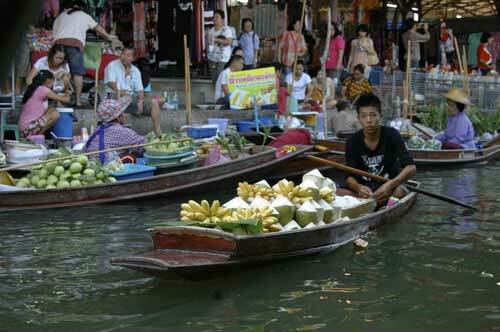 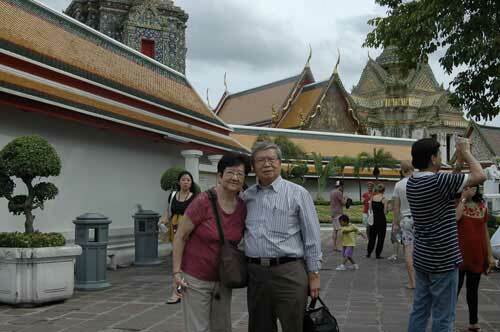 Cheng-Khee and Sing-Bee spent the whole month of July in Southeast Asia: Malaysia, Thailand and Singapore. 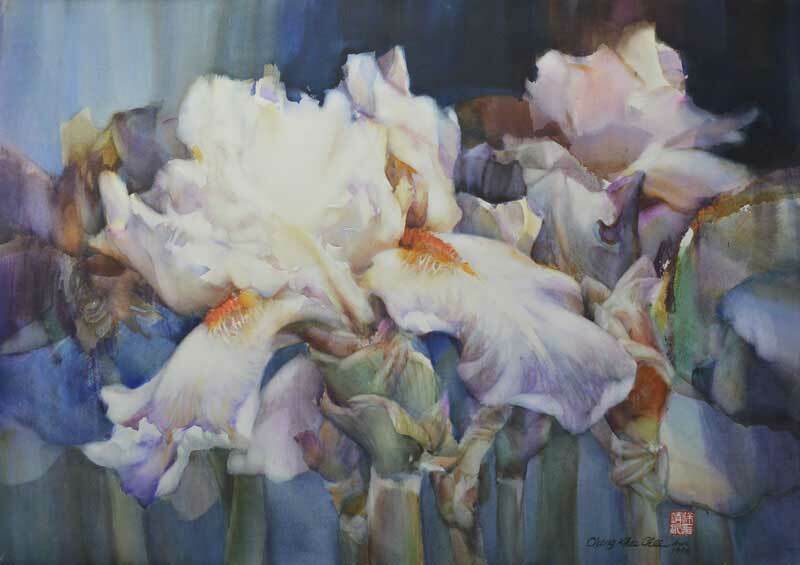 This is a great chance to sample wines, nibble on hors d'oeuvres provided by some of the area's finest restaurants and bid on all sorts of items featuring giclée prints by noted watercolorist Cheng-Khee Chee, who will be on hand for signing. 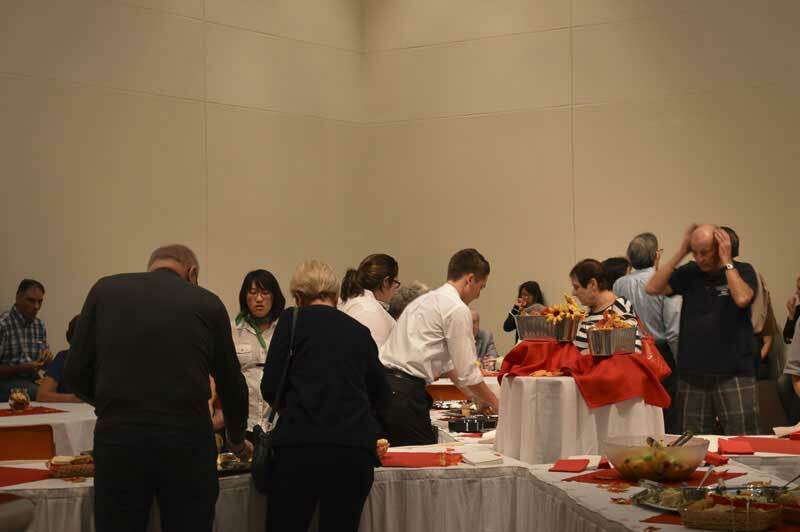 Proceeds benefit the Minnesota Ballet. 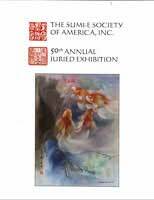 $30 in advance/$35 at the door. 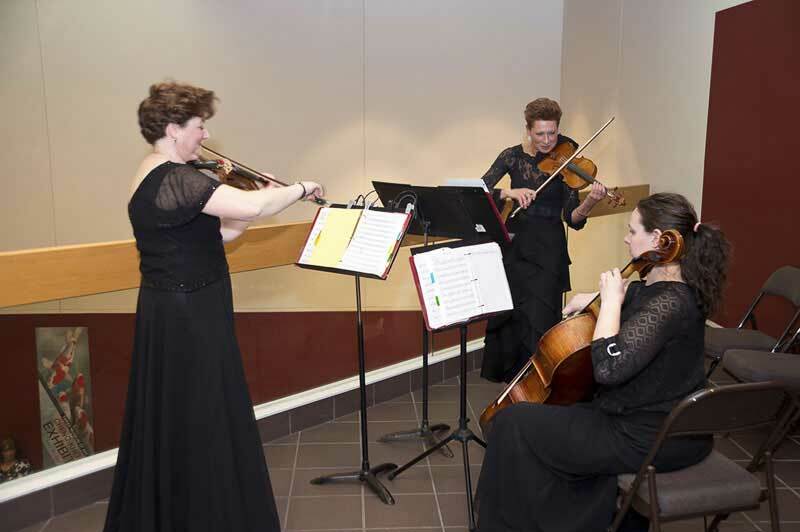 The Duluth Superior Symphony Orchestra and Duluth Children's Museum held a pre-Old Turtle Concert Family Day Activities Event for children and their parents at the Great Hall of the historic Union Depot in Duluth. 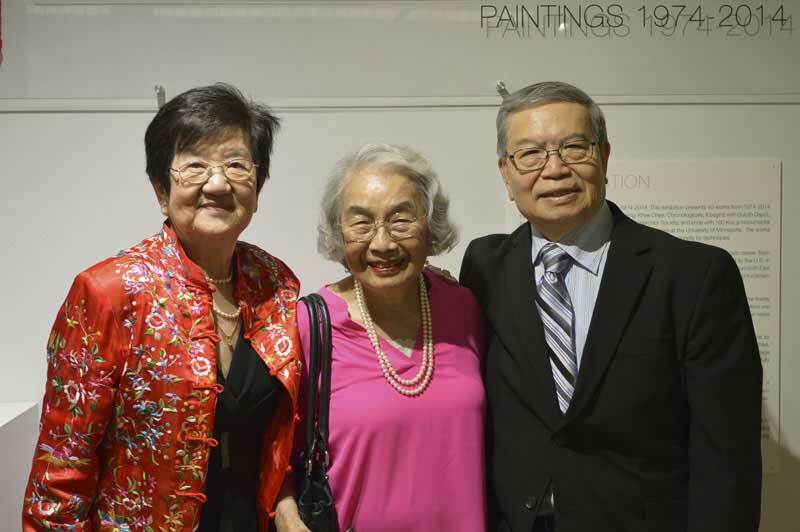 The event included hand on art and craft projects, Old Turtle book reading, and Cheng-Khee Chee signing books, and painting with children. The Old Turtle Concert will be held on Saturday March 31 at the Duluth Entertainment and Convention Center. 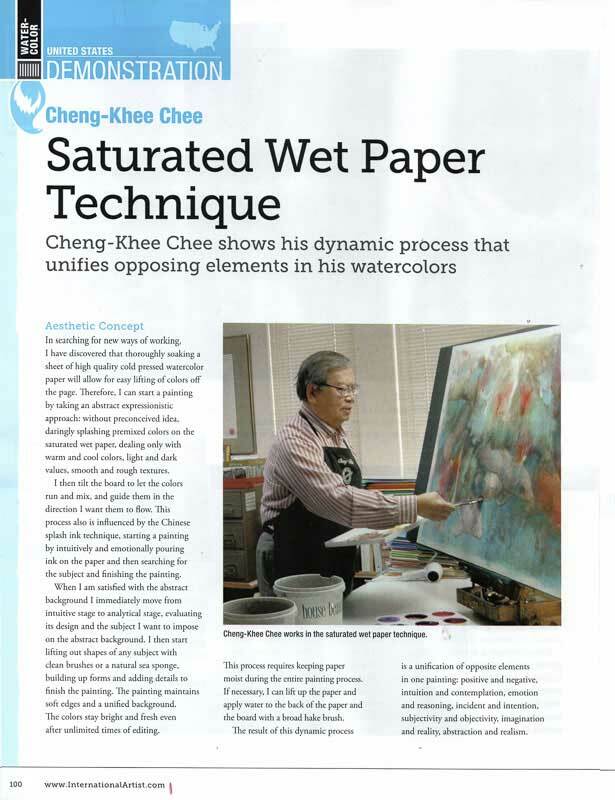 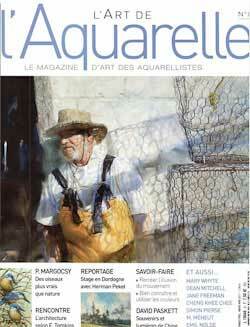 Cheng-Khee was featured in L'Art de L'Aquarelle, a French Watercolor Magazine The Art of Watercolor issue No. 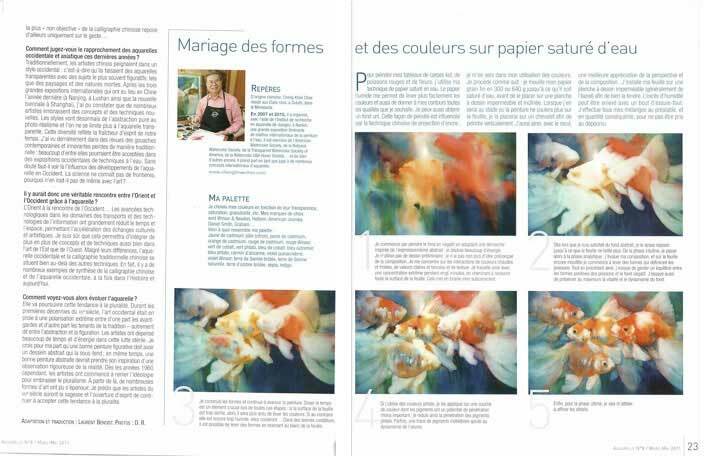 8, March-May, 2011, Page 18-23 and Page 84-85. 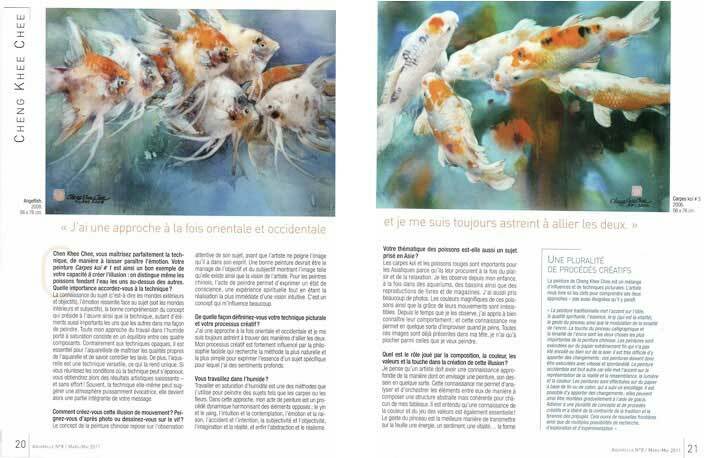 Six pages of the article deal with his saturated wet process for capturing the movement of koi and other fish. 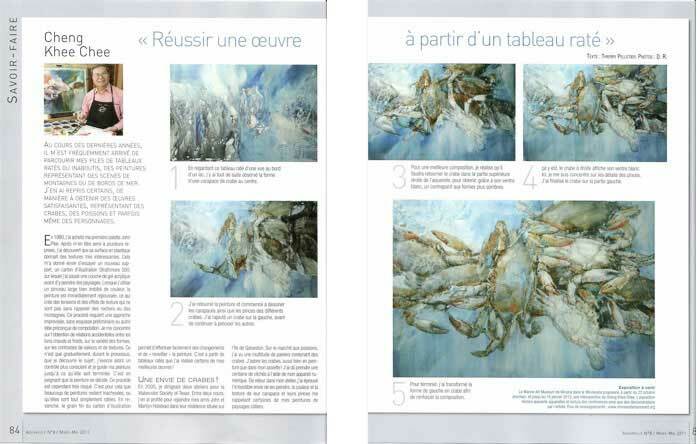 The other two pages deal with the method of turning failed paintings into successful ones. 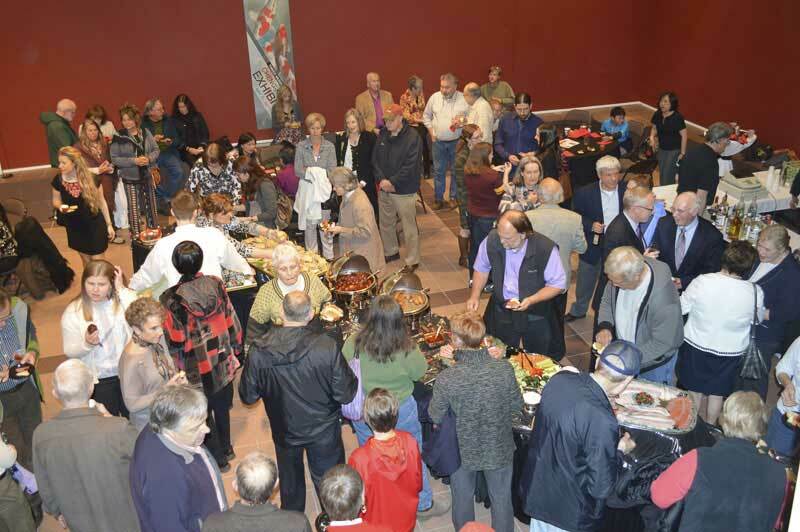 The Duluth-Superior Symphony and Minnesota Ballet are returning the joint performance of Old Turtle to the 2011/2012 Season. 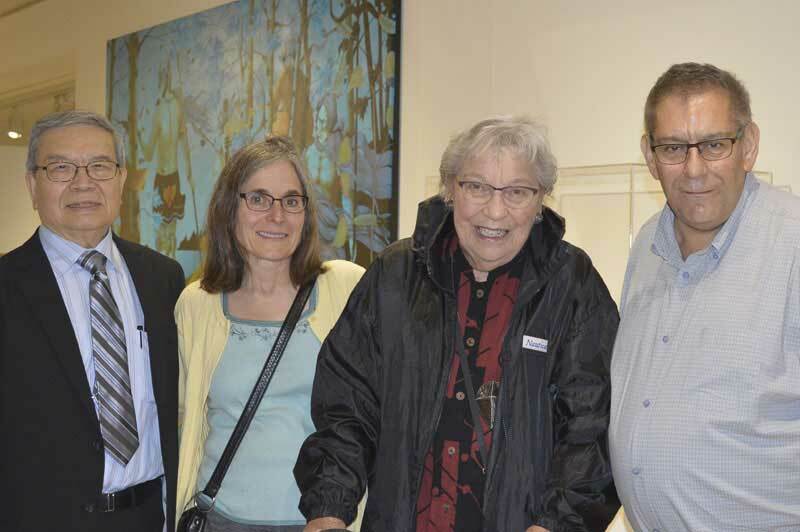 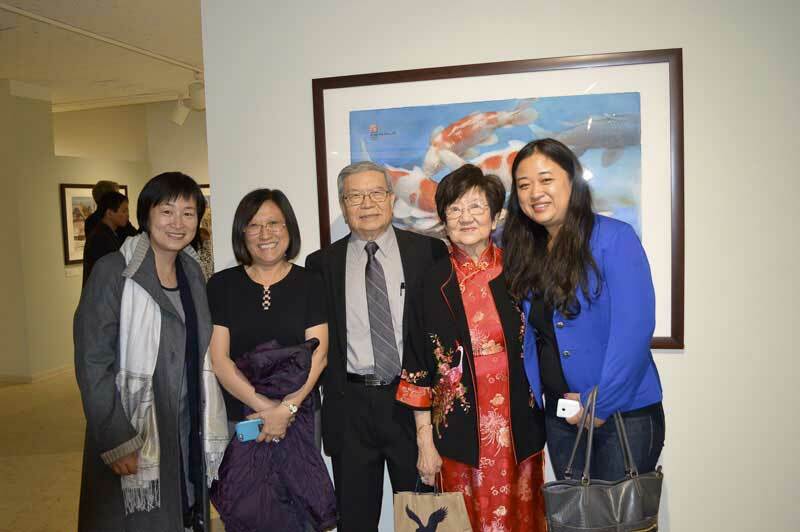 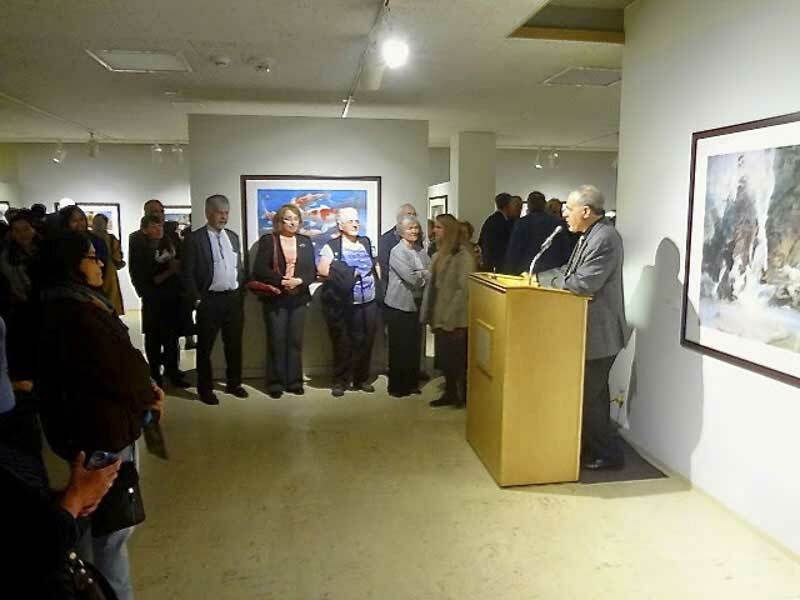 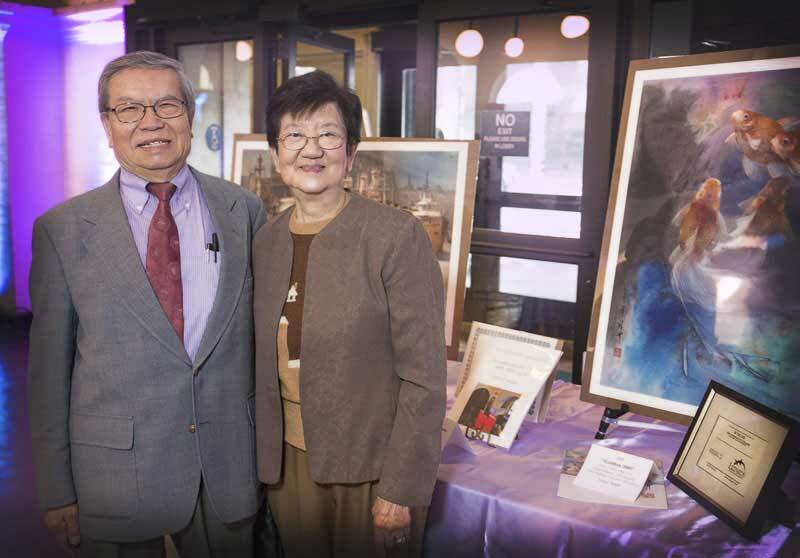 In conjunction with this special program The Return of Old Turtle, the original illustrations and studies by Cheng-Khee were exhibited at the North Shore Bank of Commerce in Downtown, Duluth from April 7 through June 24. 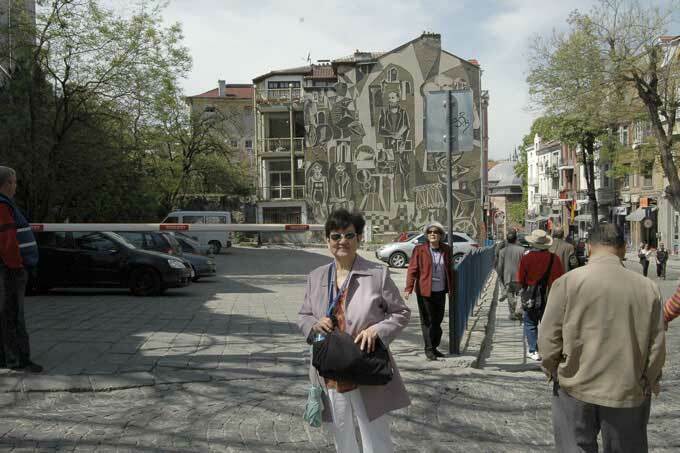 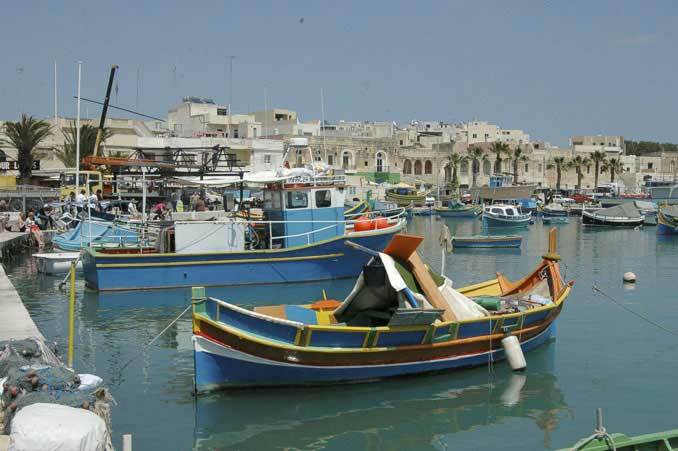 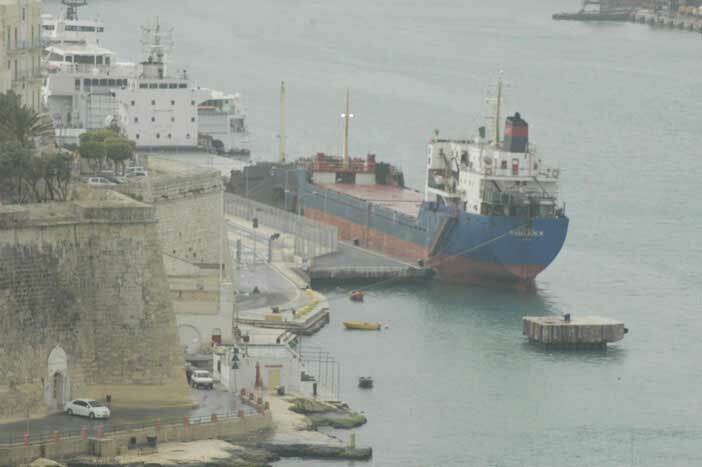 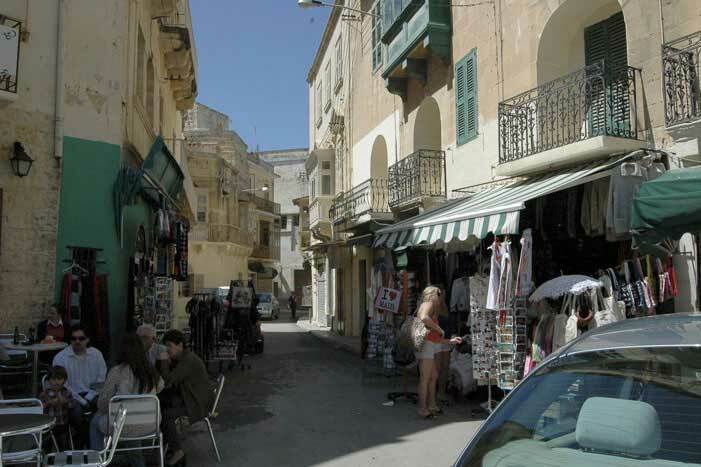 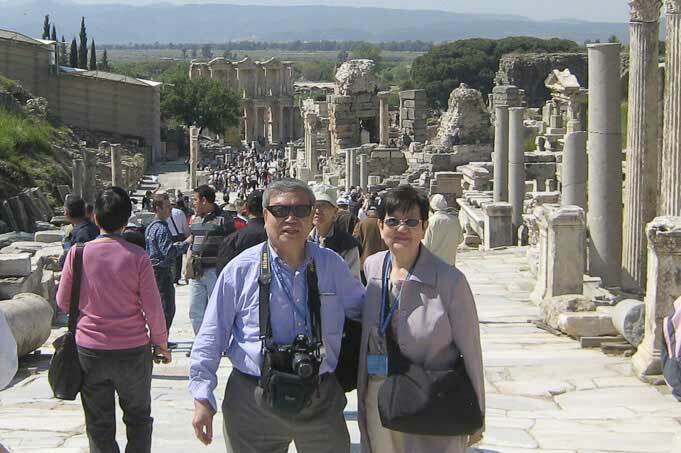 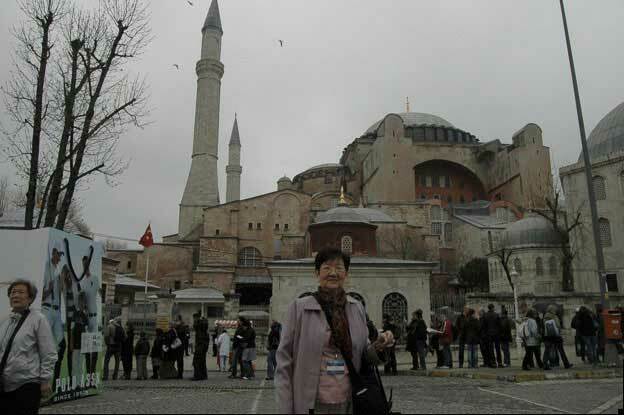 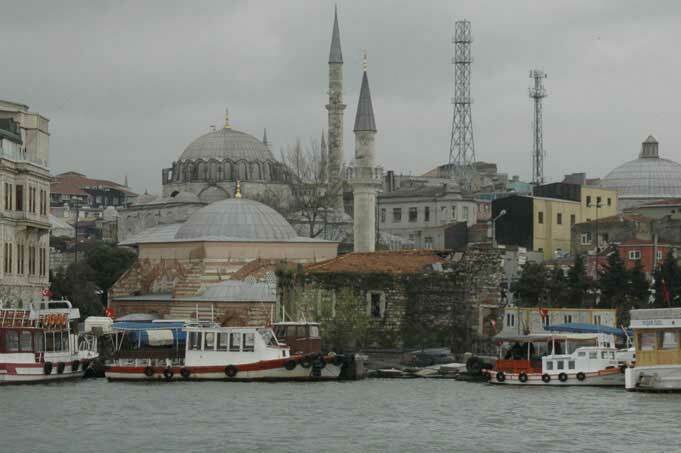 April 18 - May 3, 2011 Cheng-Khee and Sing-Bee joined the Cultural Tour of Turkey, Bulgaria, Sicily and Malta. 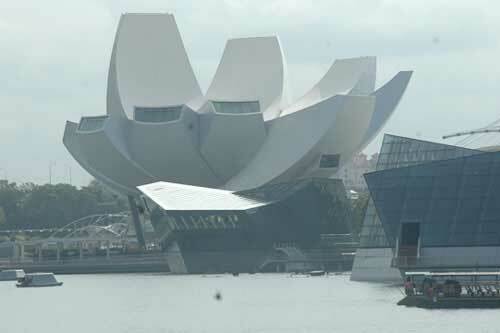 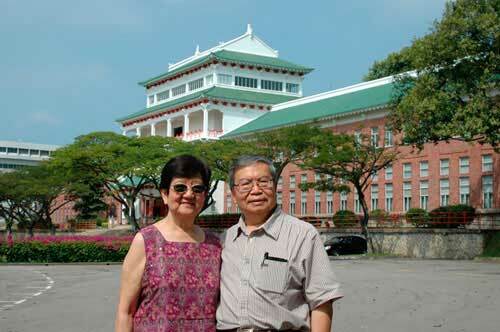 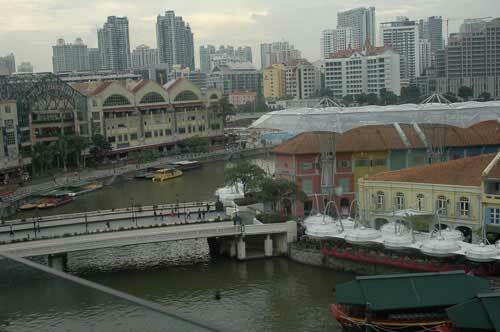 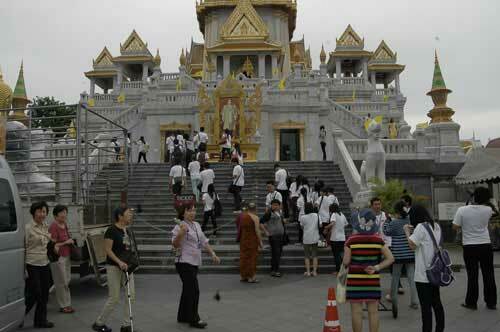 The Education and Research Foundation of Nanyang University Alumni Association organized the tour. 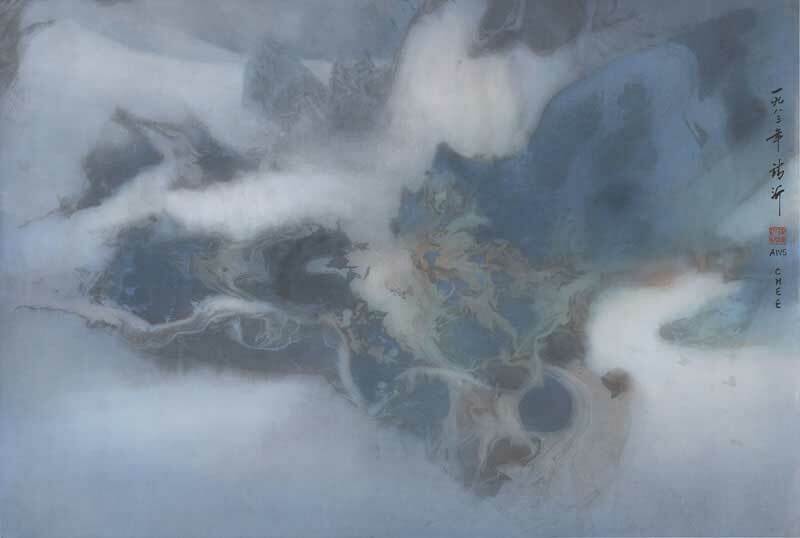 Cheng-Khee was honored with the George Morrison artist Award in recognition of his international contributions to the art of watermedia painting, blending East and West within the essence of Tao and over a lifetime of teaching. 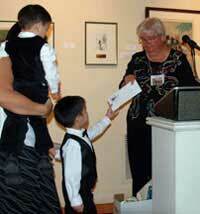 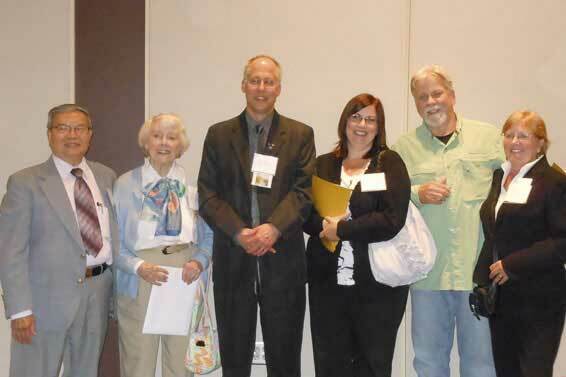 The award was presented at the Lyric Center for the Arts in Virginia, MN on June 3, 2011. 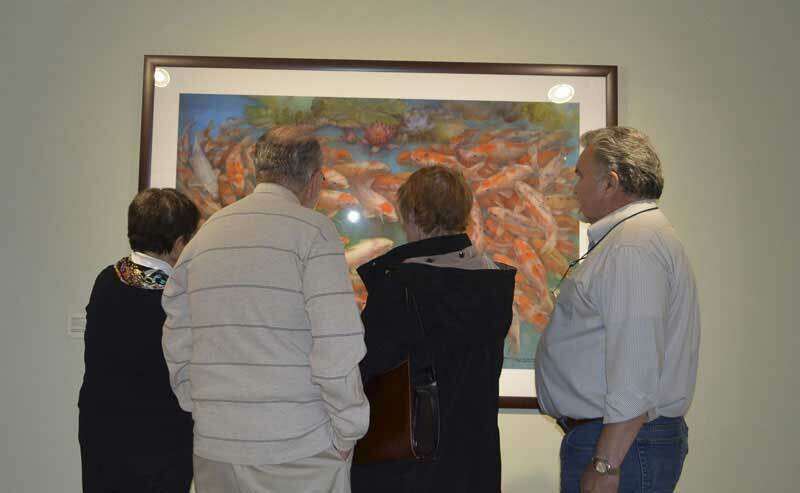 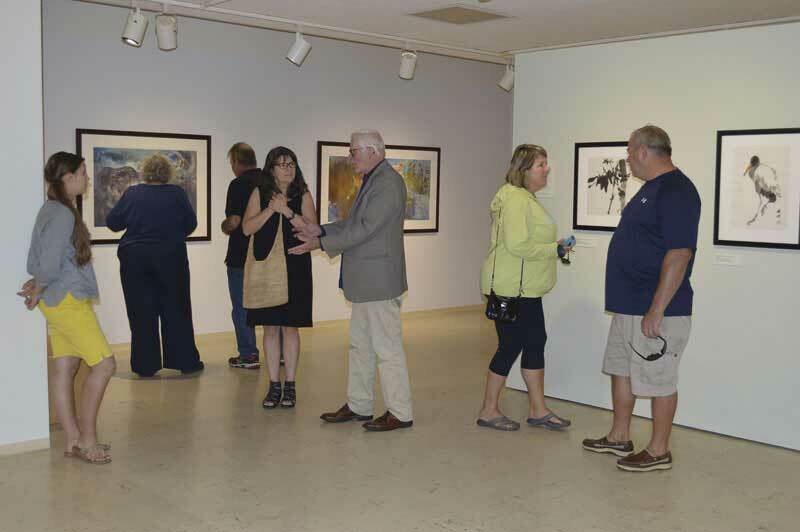 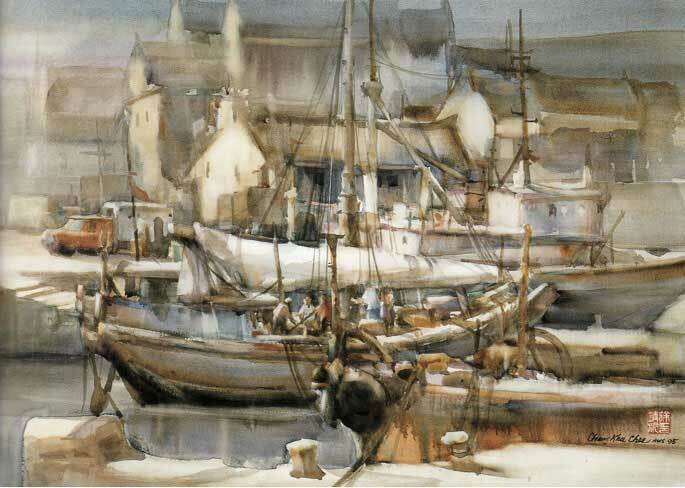 The Transparent watercolor Society of America held its 35th Annual Juried Exhibition at the Kenosha Public Museum in Kenosha, Wisconsin, May 7-July 31. 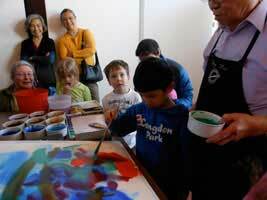 June 18 was the day for Annual Celebration of Watercolor. 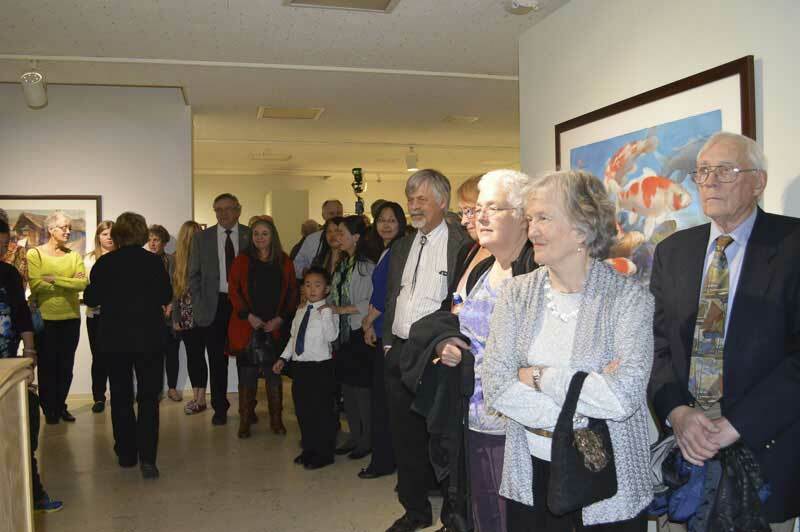 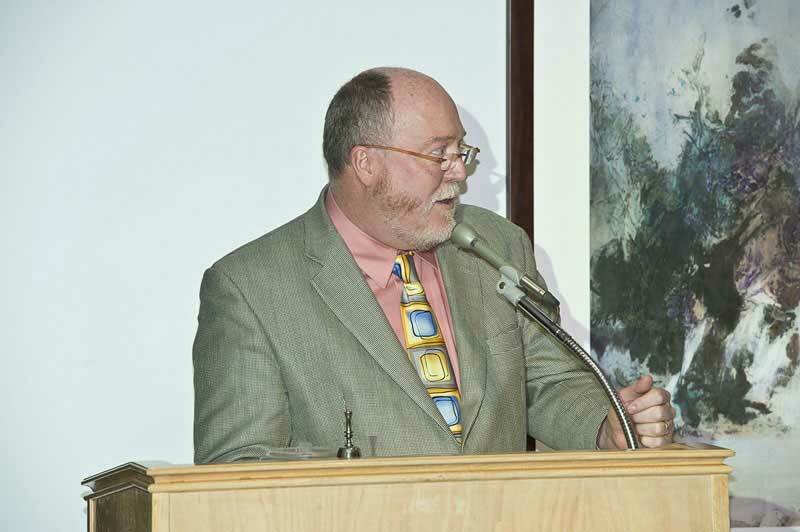 It included painting demonstration by Eric Weigardt, reception, and awards dinner. 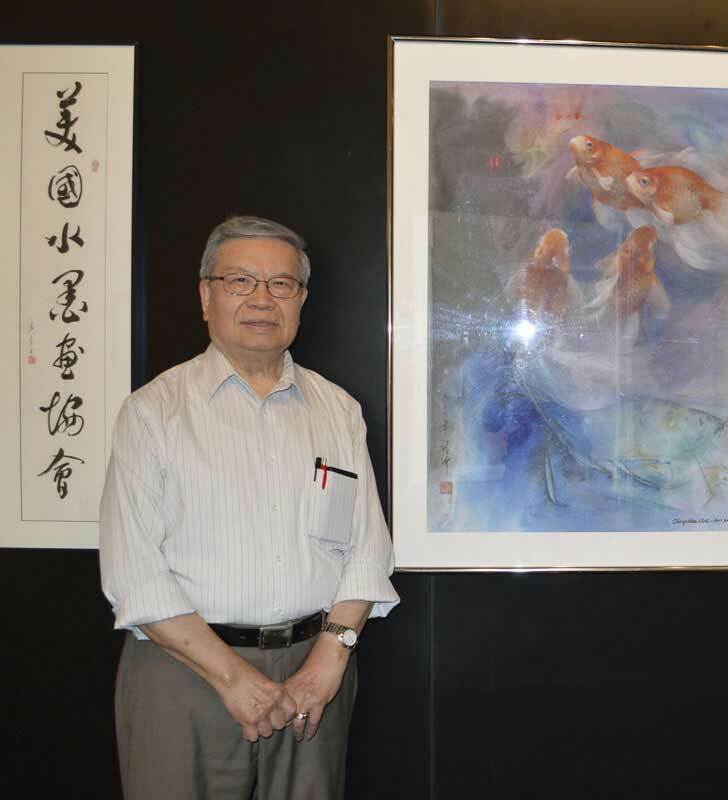 Cheng-Khee served as Juror of Selection and Awards for the 2011 Annual RMNW Exhibition, conducted a 3-day workshop and gave a public painting demonstration. 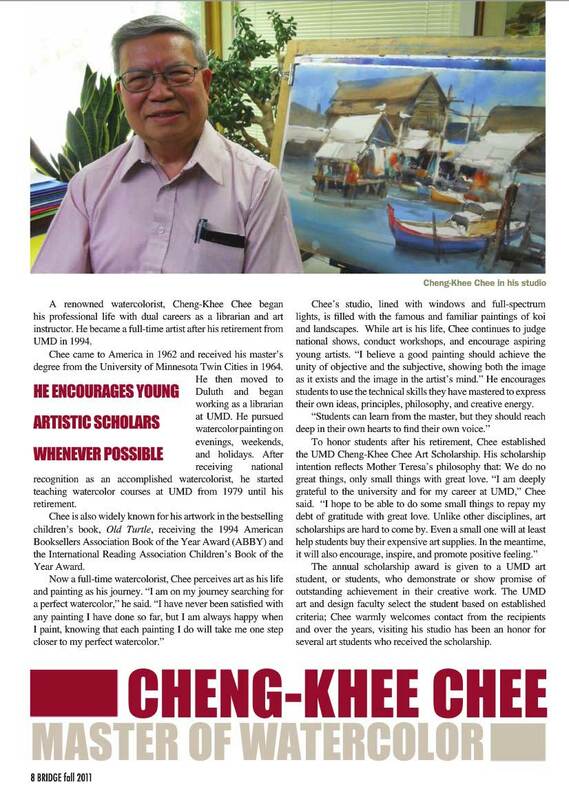 Cheng-Khee was profiled in the fall issue of the University of Minnesota, Duluth Bridge magazine. 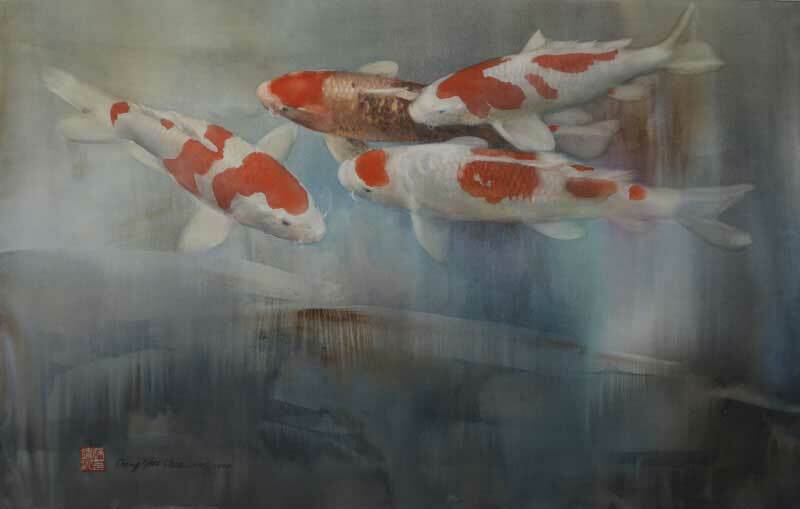 A Retrospective Marine Watercolors by Cheng-Khee Chee, featuring 40 paintings as well as the Old Turtle illustrations, is being held at the Minnesota Marine Art Museum www.minnesotamarineart.org in Winona, Minnesota, October 22, 2011 - January 15, 2012. 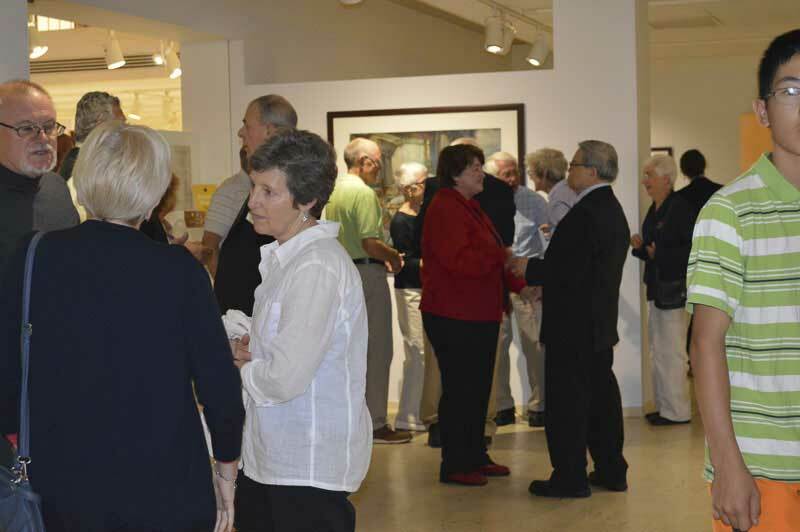 The show opening was held on Saturday, October 22 at 5:30pm. 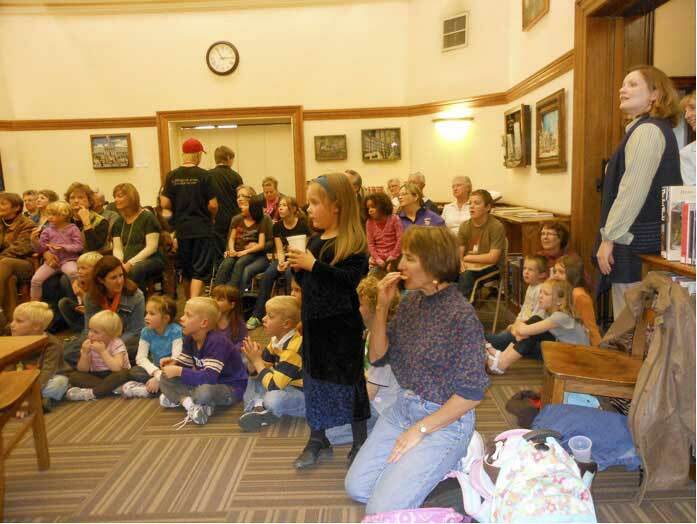 Cheng-Khee and the Old Turtle author Douglas Wood also teamed up to present a program at the Winona Public Library www.winona.lib.mn.us celebrating Old Turtle on Friday, October 21. 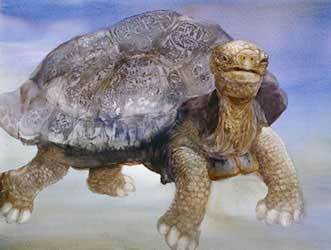 Doug read Old Turtle and played music. 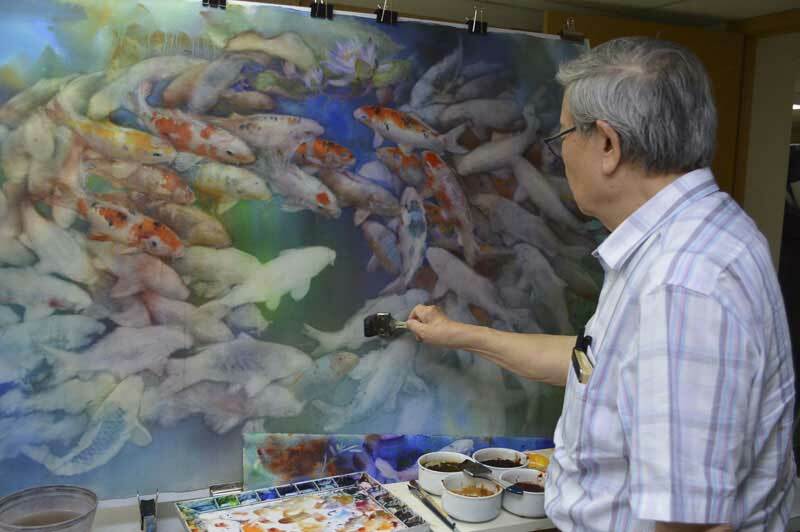 Cheng-Khee painted Fish in the Ocean with young budding artists. 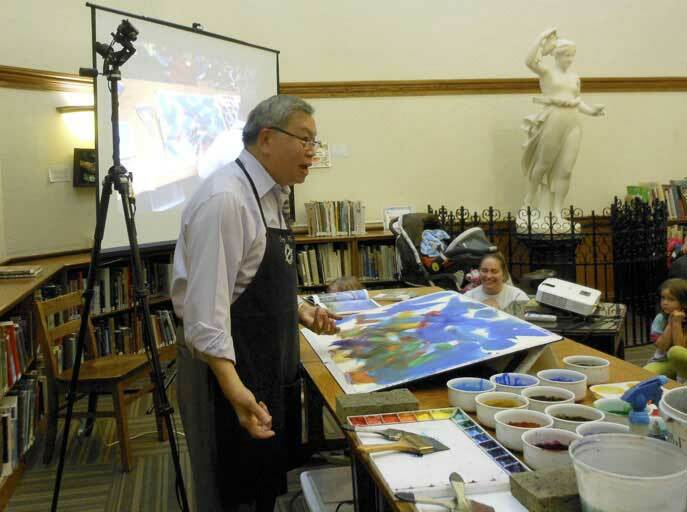 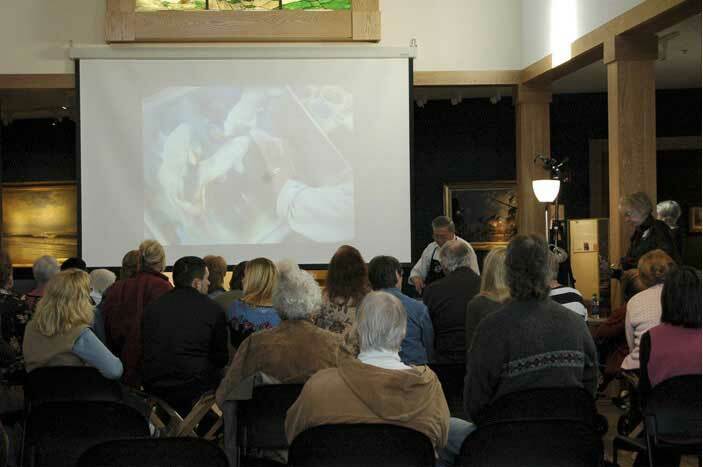 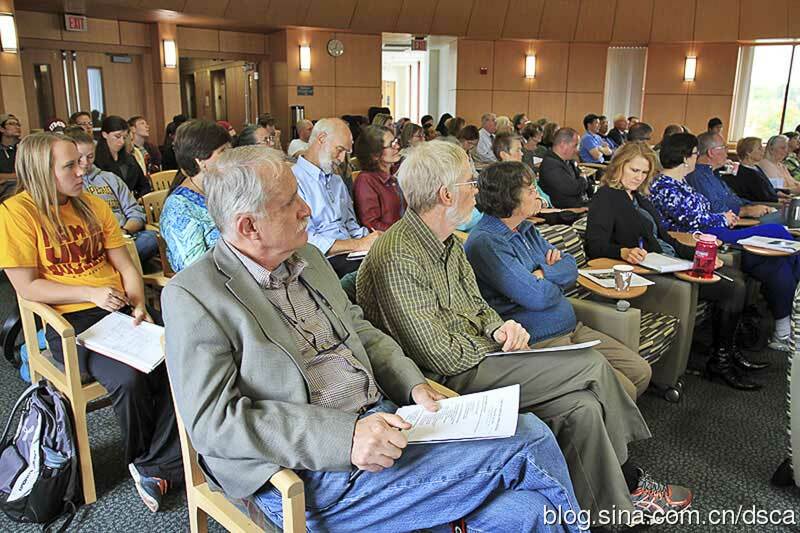 Cheng-Khee also gave a public lecture and demonstration in conjunction with the exhibition on Saturday, October 22 City of Winona. 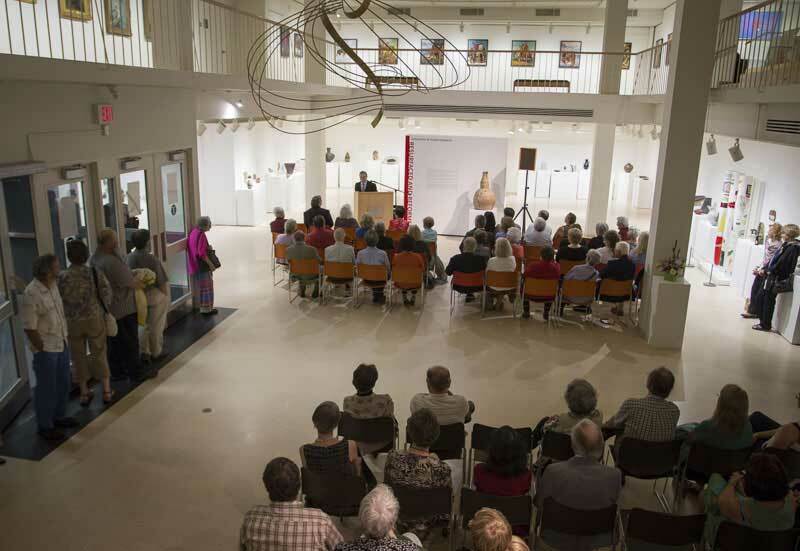 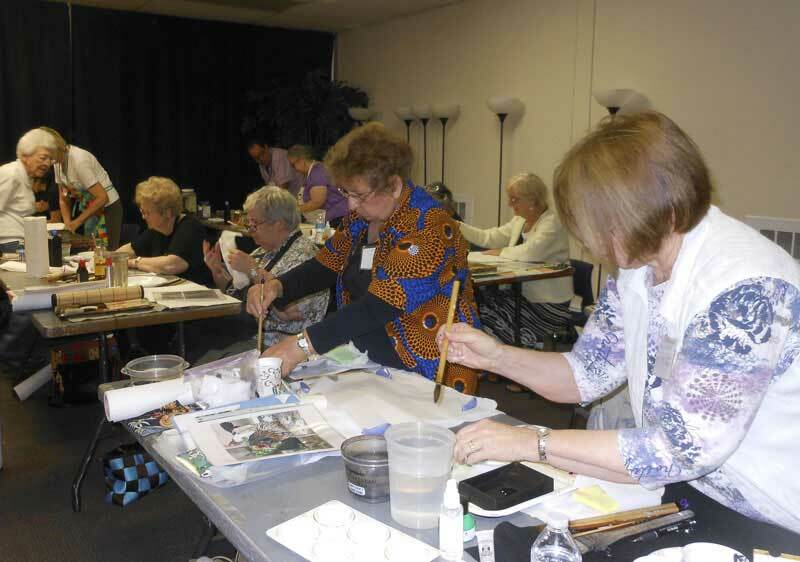 The Southeastern Minnesota Arts Council supported this activity through the Minnesota arts and cultural heritage fund. 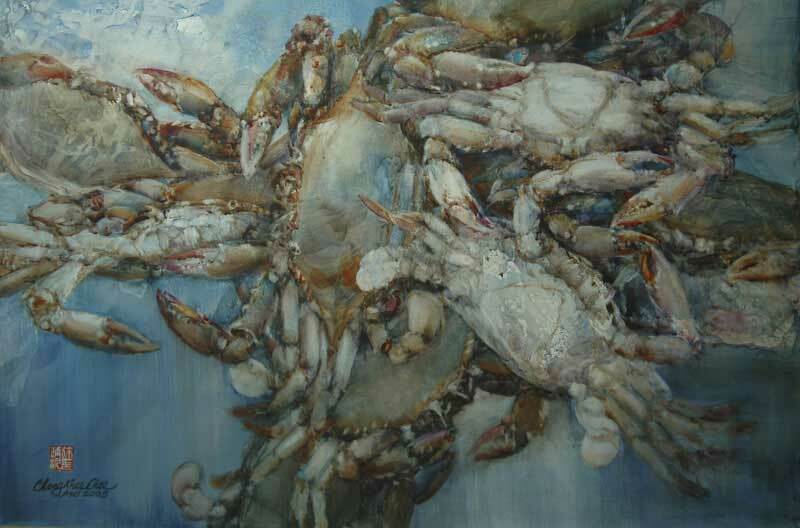 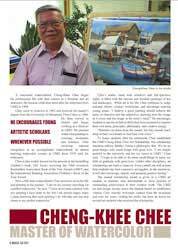 Cheng-Khee was featured in the Sea History Magazine Winter 2011-12 issue, page 34-37 in conjunction with his retrospective exhibition at the Minnesota Marine Art Museum, October 22, 2011 - January 15, 2012. 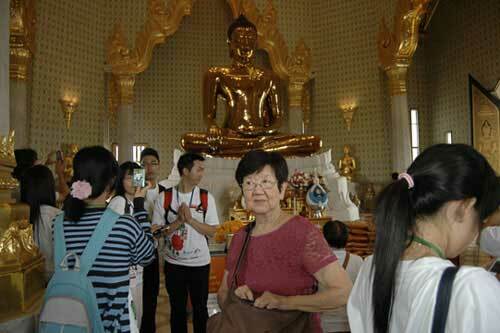 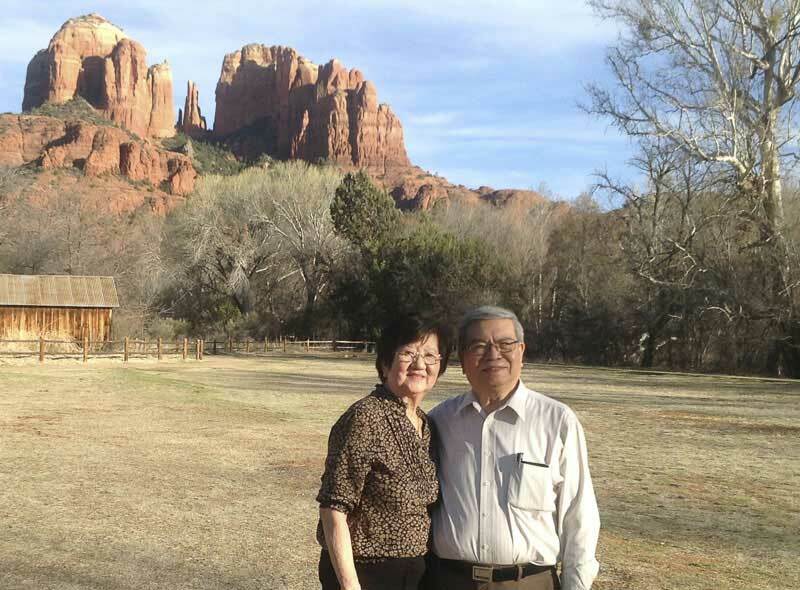 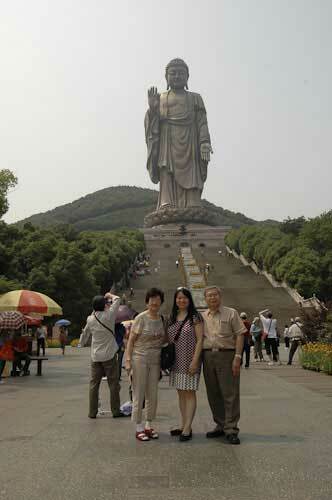 Cheng-Khee, Sing-Bee and their daughter Yen-Ying traveled in China between May and June for one month. 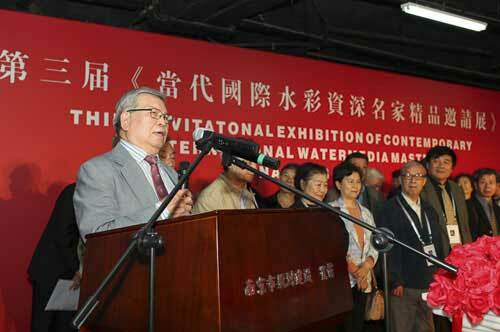 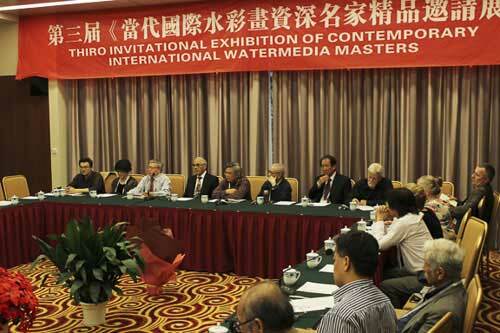 First, they went to Nanjing to attend the opening ceremony of the “Second Invitational Exhibition of Contemporary International Watermedia Masters” and the “Watermedia Forum”. 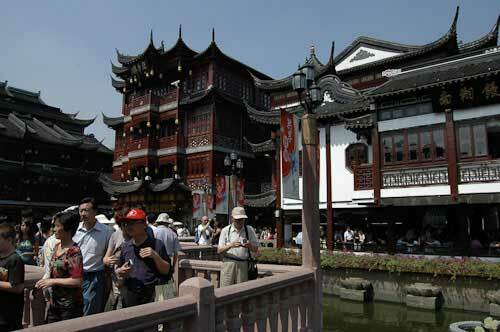 After the show opening, they continued to stay in Nanjing for one week to travel to surrounding cities of Yangzhou, Zhenjiang, and Wuxi. 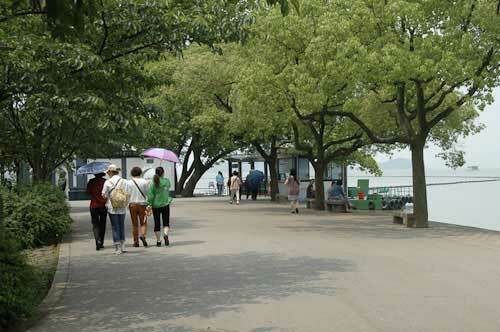 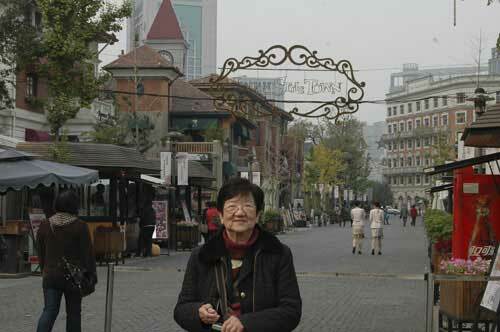 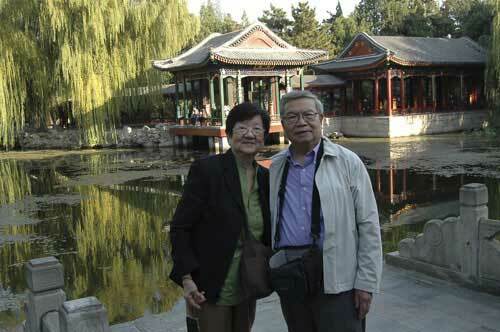 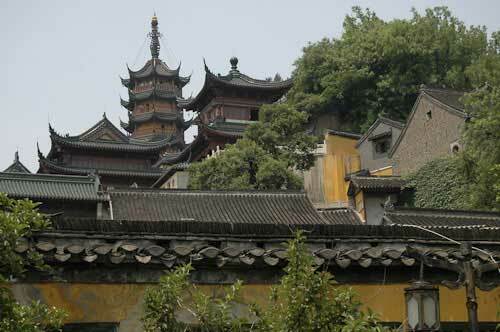 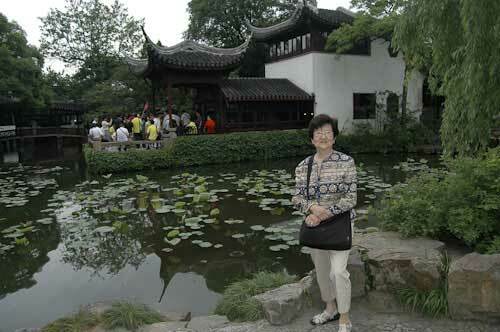 From Nanjing they traveled to Suzhou, famous for silk, beautiful gardens and ladies. 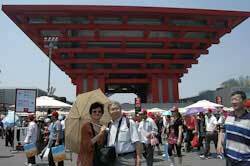 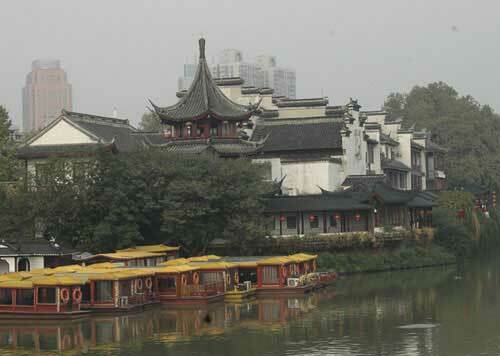 They shopped for some silk products, visited the Jiangsu Museum designed by I. M. Pei, enjoyed the spectacular gardens, and cruised the scenic canals. 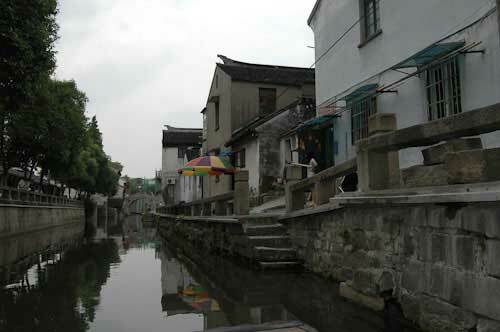 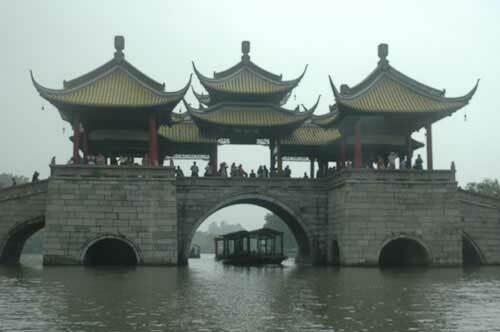 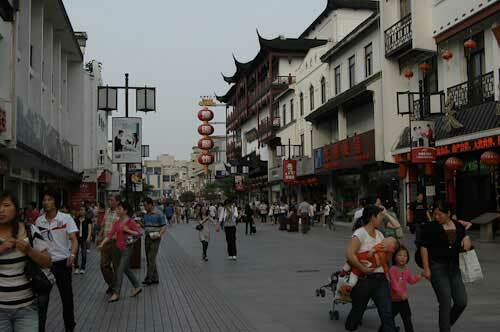 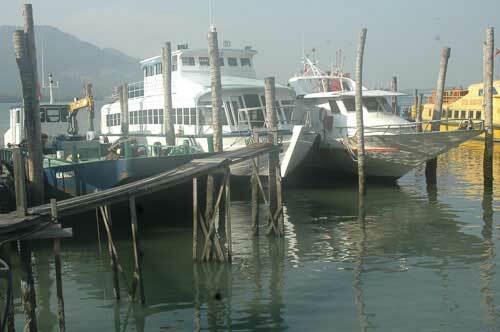 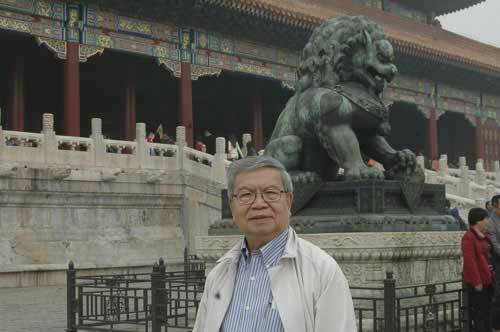 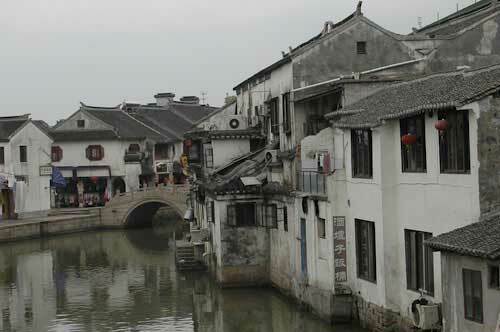 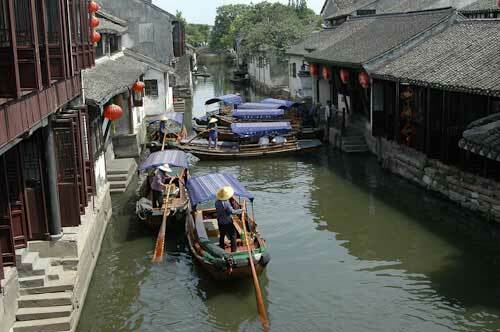 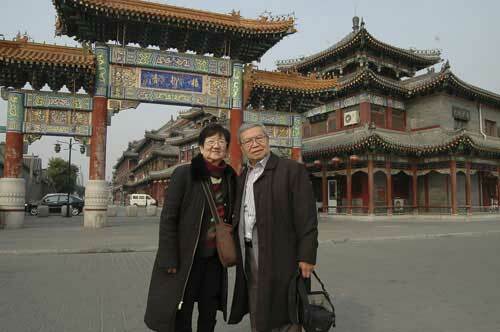 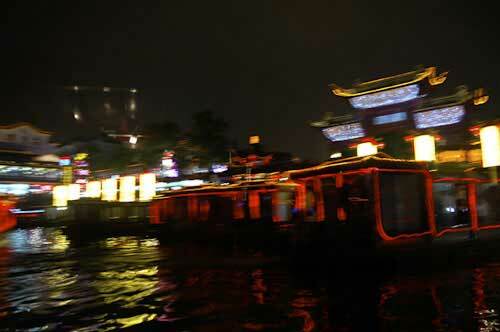 From Suzhou they traveled to the famous watertowns Tongli and Zhouzhuan, Cheng-Khee’s favorite destinations! 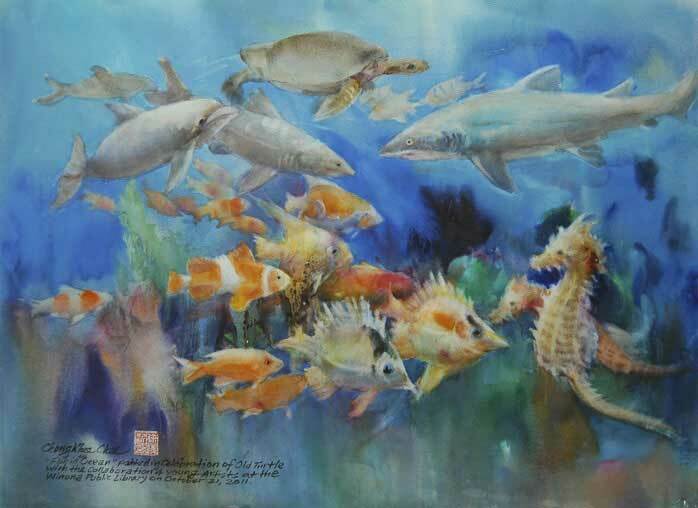 Every direction you turned, there was an exciting painting! 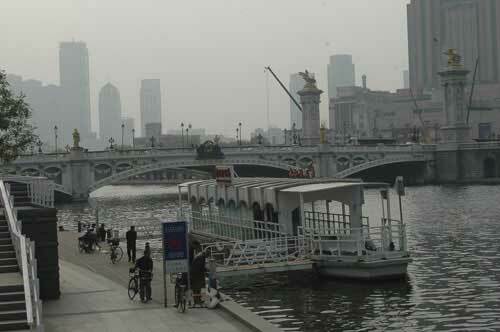 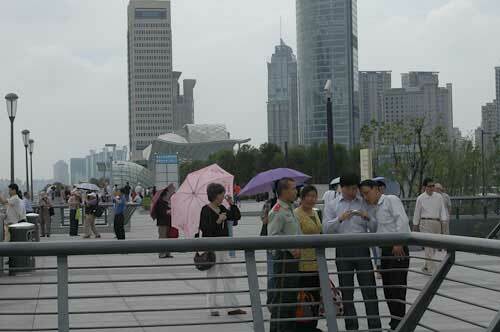 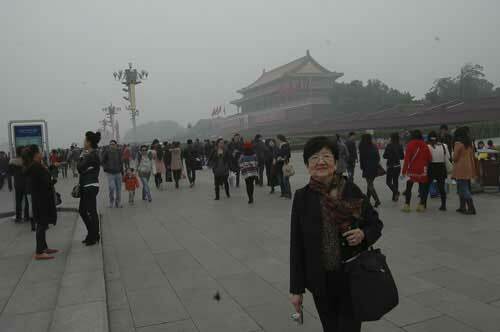 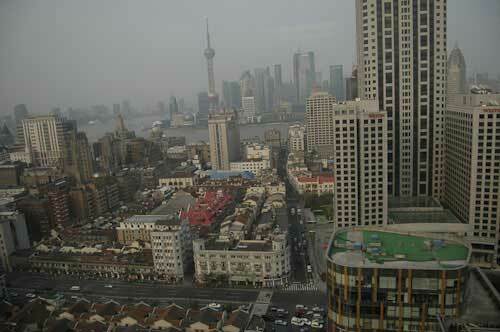 They returned to Shanghai for 5 days to visit the World Expo and exciting sights of the city. 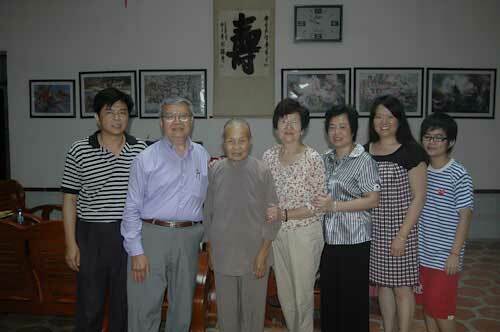 The Chees spent last week in Cheng-Khee’s birthplace Fengting in Fujian Province. 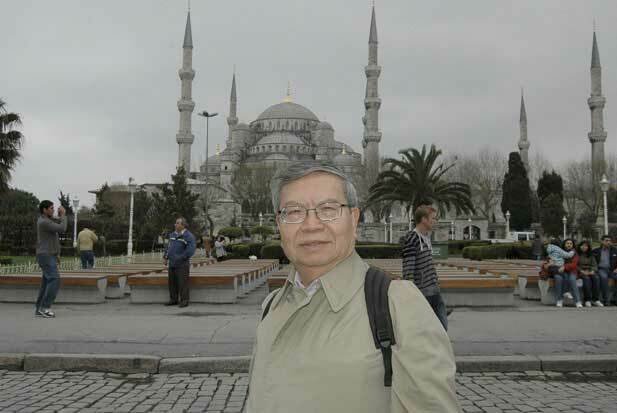 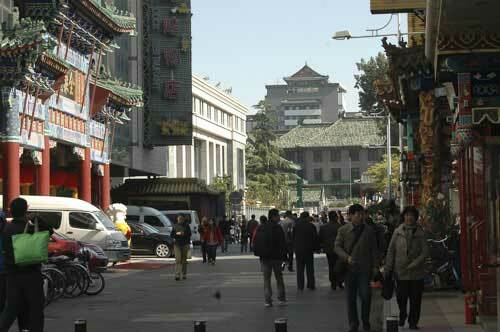 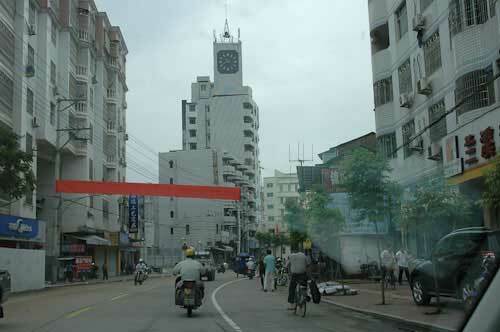 After 12 years, Cheng-Khee could hardly recognize his hometown, as it had transformed into a totally different new city, with 3 new freeways and the high-speed train connecting all major cities. There were new construction projects all over the city and surrounding towns! 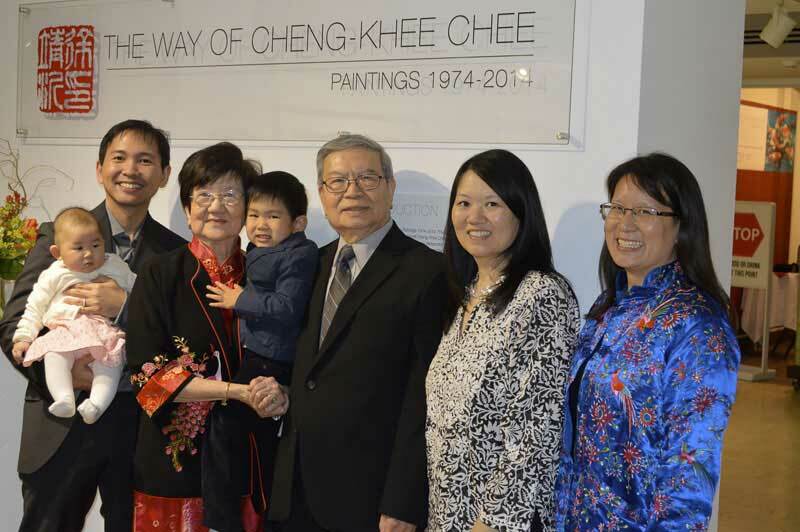 As for the Chee family, a whole new generation of great grand nephews and nieces were added since his last visit. 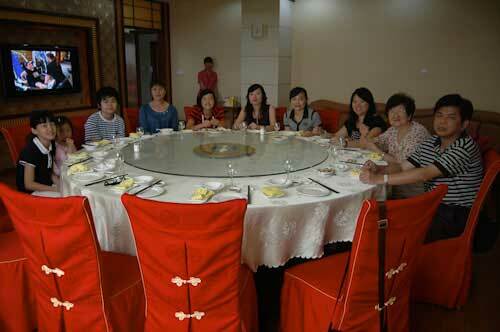 There was a big family gathering. 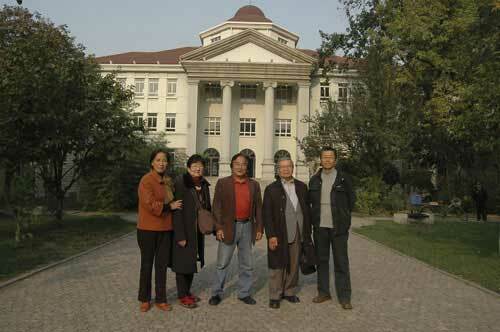 They also visited the birthplace of Sing-Bee’s parents in Jiangdou, and Province’s major cities of Fuzhou, Qiangzhou and Xiamen. 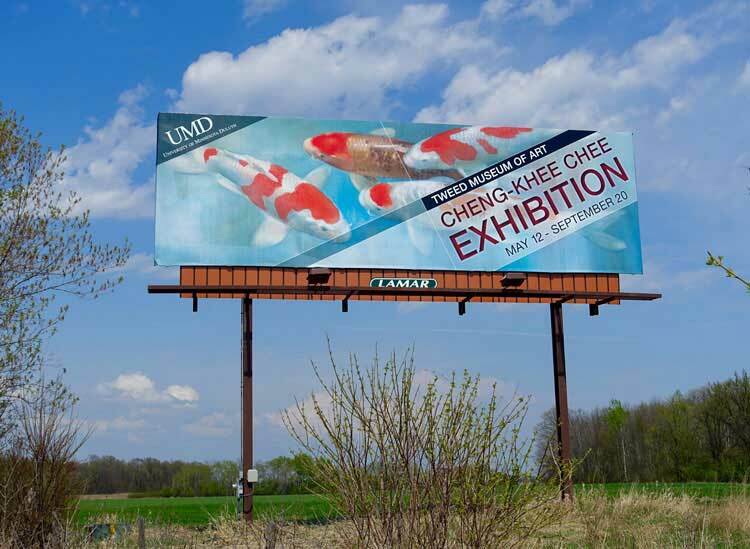 Cheng-Khee and Sing-Bee spent the month of February in Penang, Malaysia and Singapore to get away from the coldest month in Minnesota. 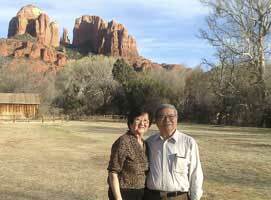 This was their first trip back after five years. 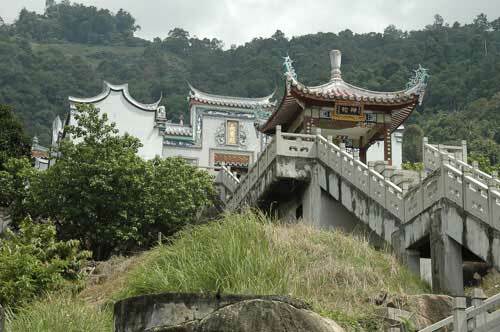 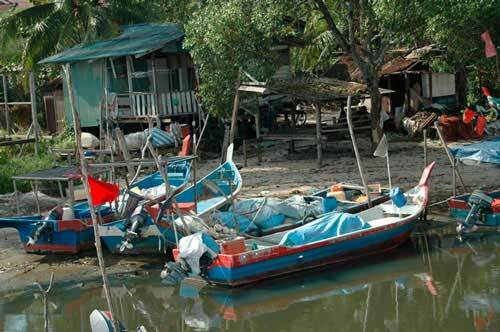 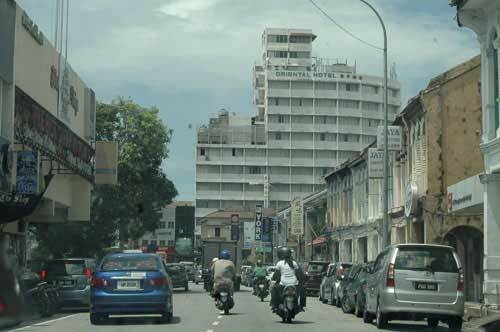 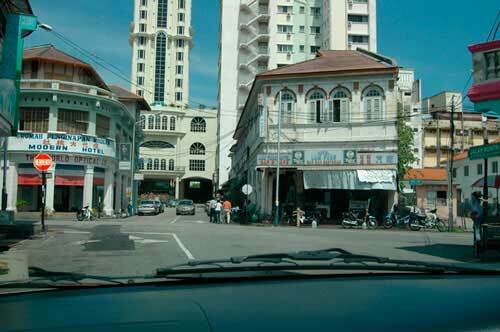 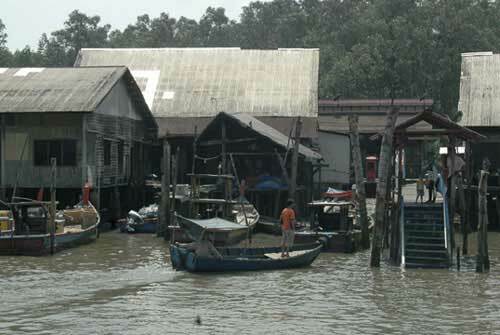 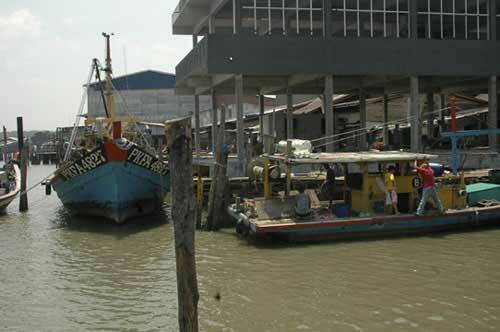 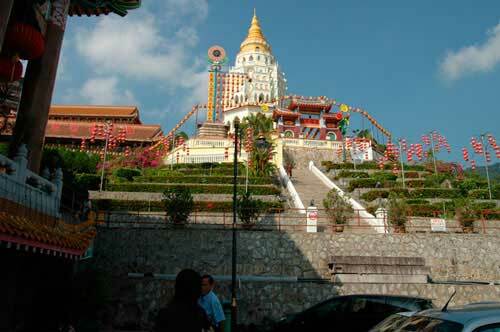 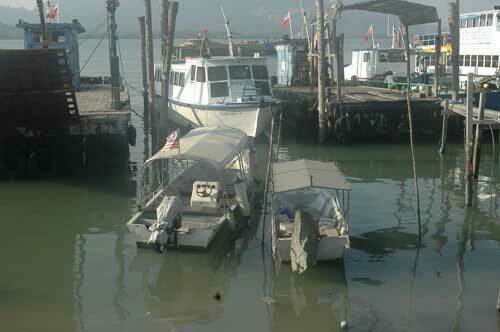 Besides visiting relatives and friends, Cheng-Khee went back to his favorite painting sites in Penang. 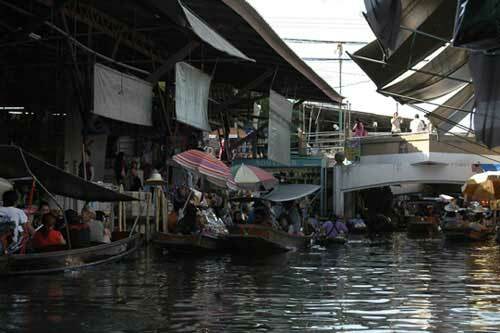 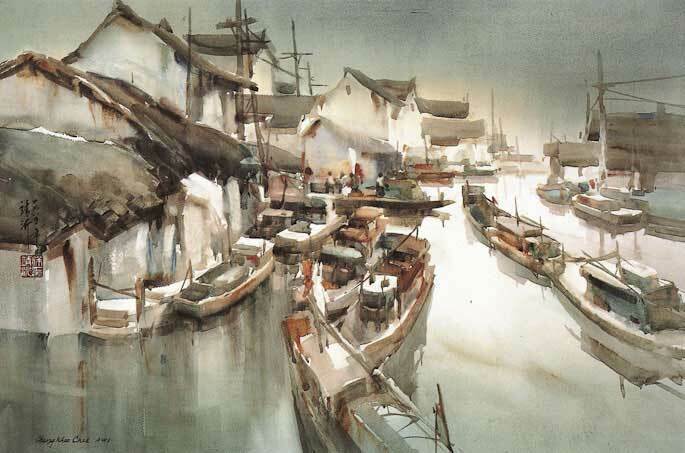 During his high school and college years he spent a great deal of time painting the fishing villages, the harbor, the old sections of town and colorful temples. 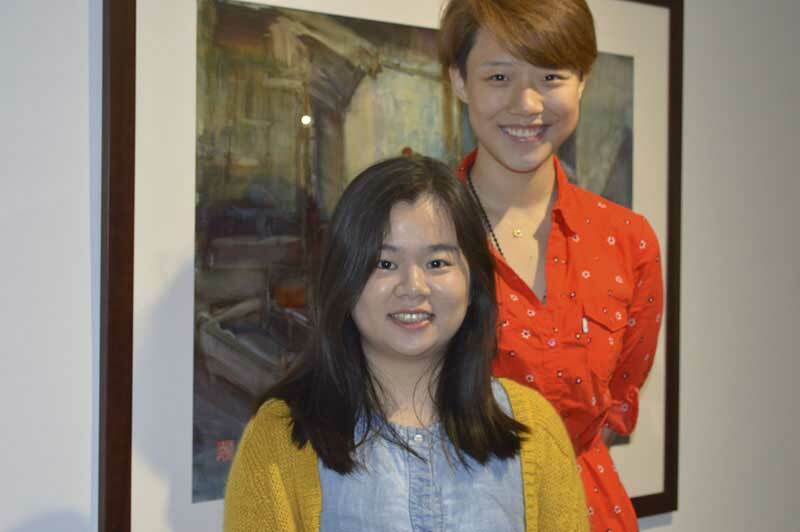 In Singapore Sing-Bee and Cheng-Khee visited their Alma Mater Nanyang Technological University where they spent four years in the same class. 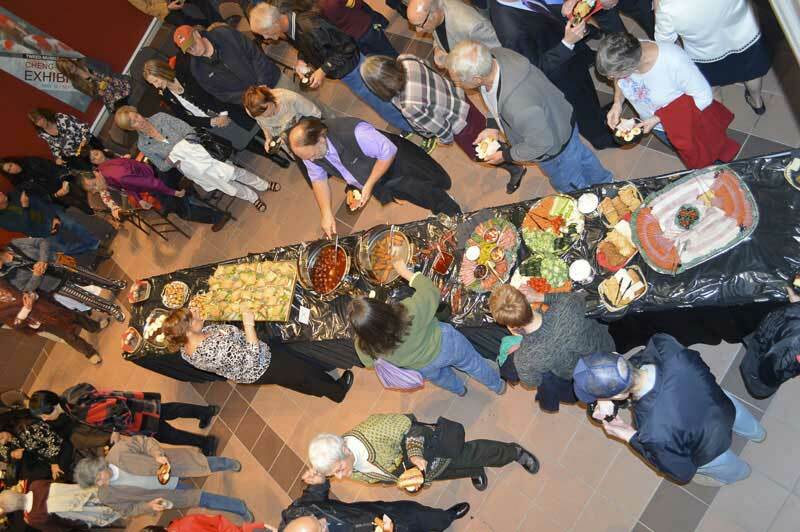 The Minnesota Ballet is holding a fund raising event “Wine and Chee’s” at the Duluth Depot Great Hall on Wednesday, April 21, 2010 at 5:30 – 8 p.m. 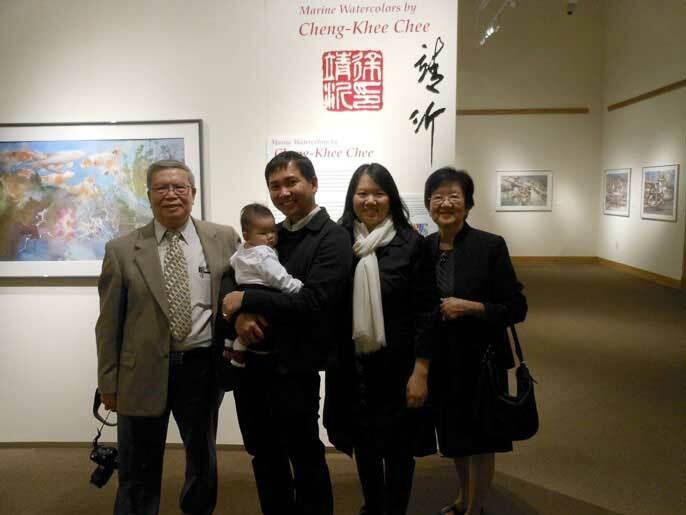 The event is sponsored by Keyport Liquor, CPL Imaging and Cheng-Khee and Sing-Bee Chee. 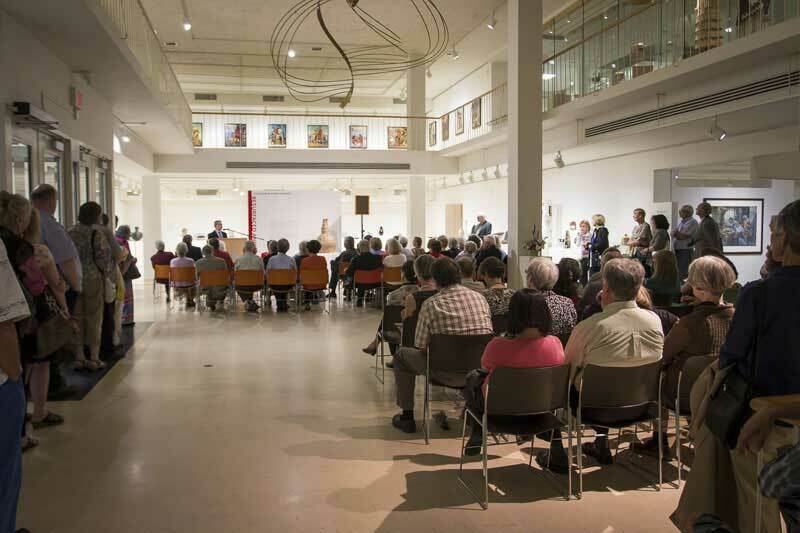 For details and tickets visit the Minnesota Ballet website: www.minnesotaballet.org/events/. 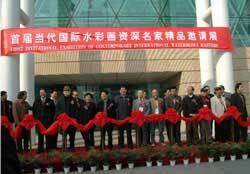 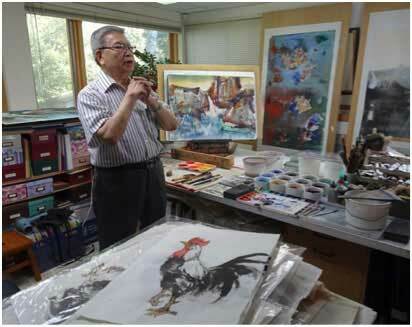 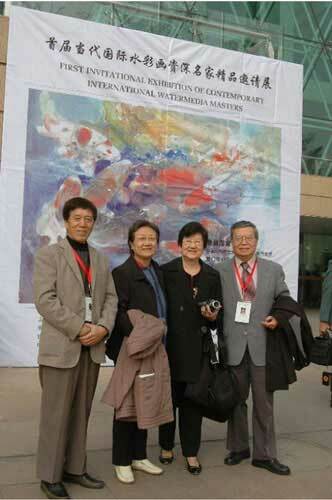 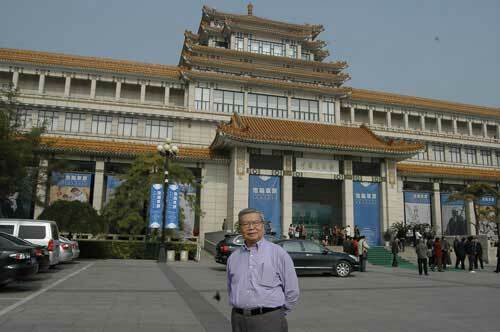 2007 First Exhibition BillboardWith the great success and enormous response to the 2007 first exhibition in China, the Jiangsu Watercolor Research Institute in Nanjing is again inviting 83 artists from19 countries to participate in this second exhibition. 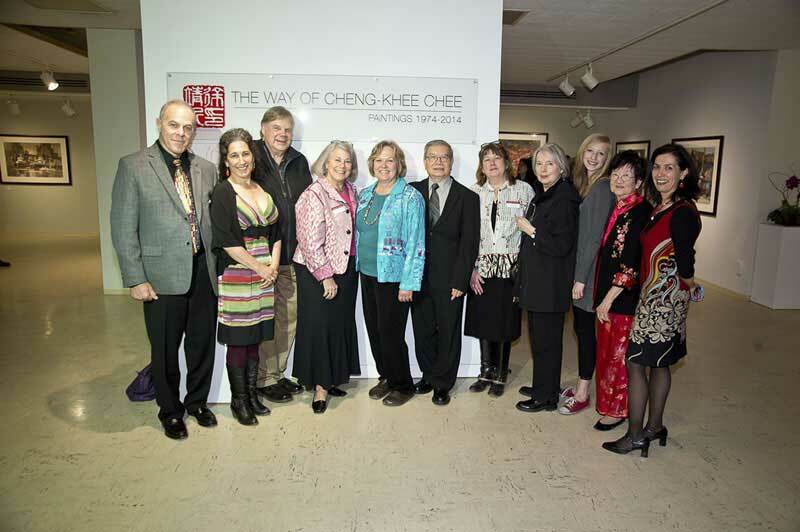 Cheng-Khee has been busy thepast few months coordinating 28 artists from the United States, Canada and South America. 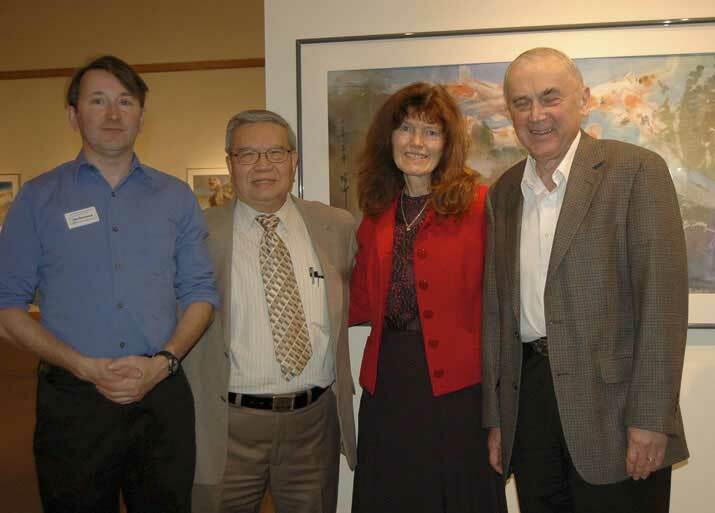 2007 First Exhibition Opening Ceremony For the origin of this exhibition check his essay “A Survey of Watermedia Painting in the Past 100 Years” on his website. 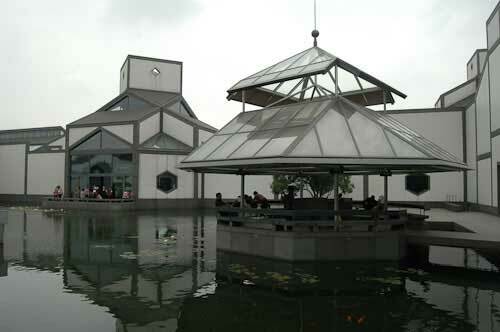 The opening is scheduled forFriday, May 28 at the exhibition hall of the magnificent ultramodern new Nanjing Library. 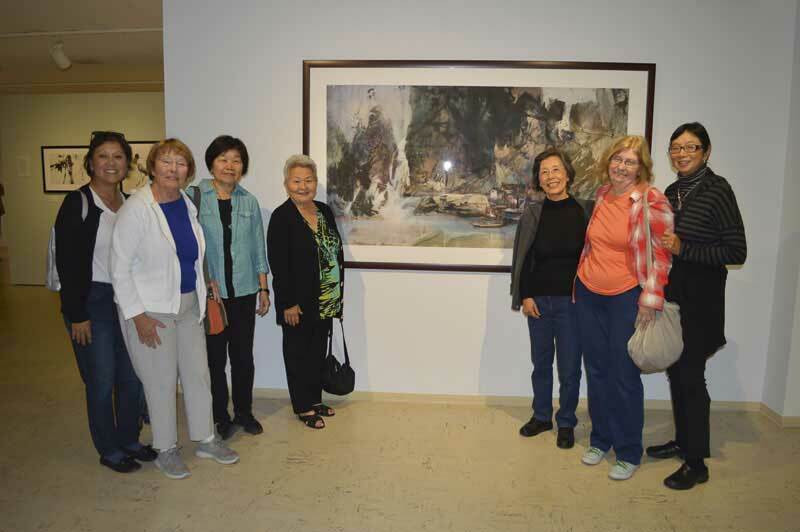 In May Cheng-Khee and Sing-Bee joined their Alma Mater Nanyang University Alumni Association’s Cultural Tour of Spain, Portugal, and Morocco. 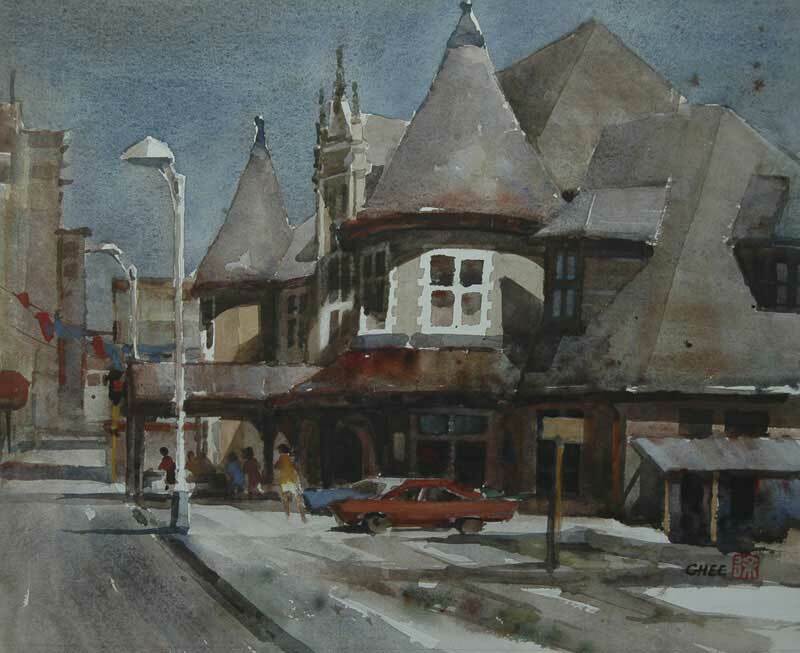 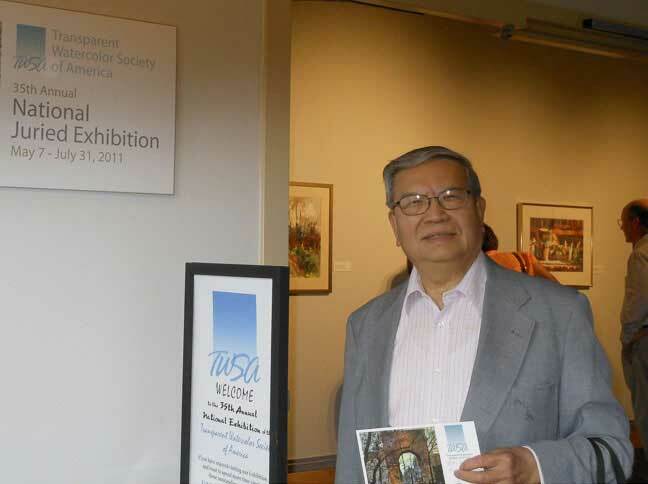 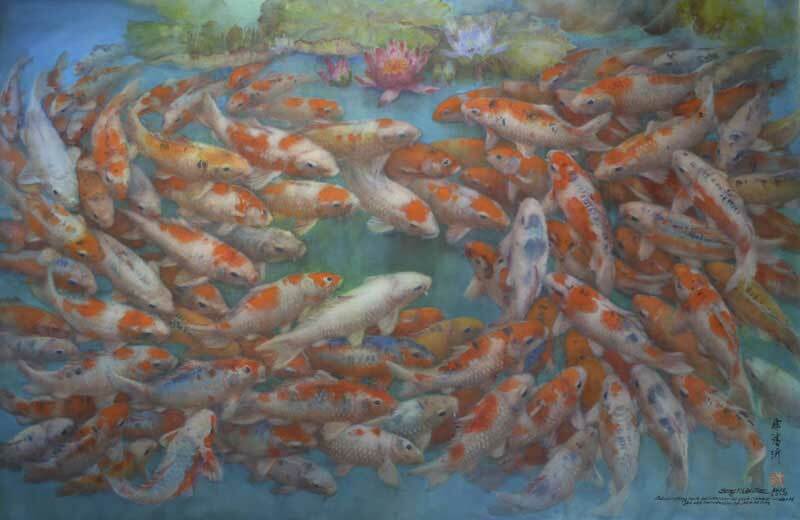 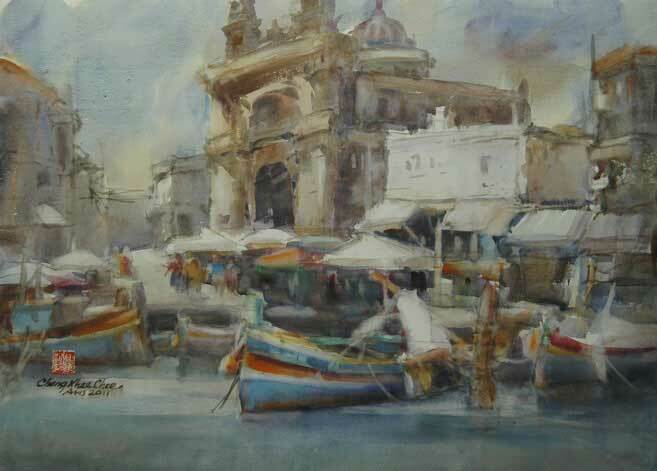 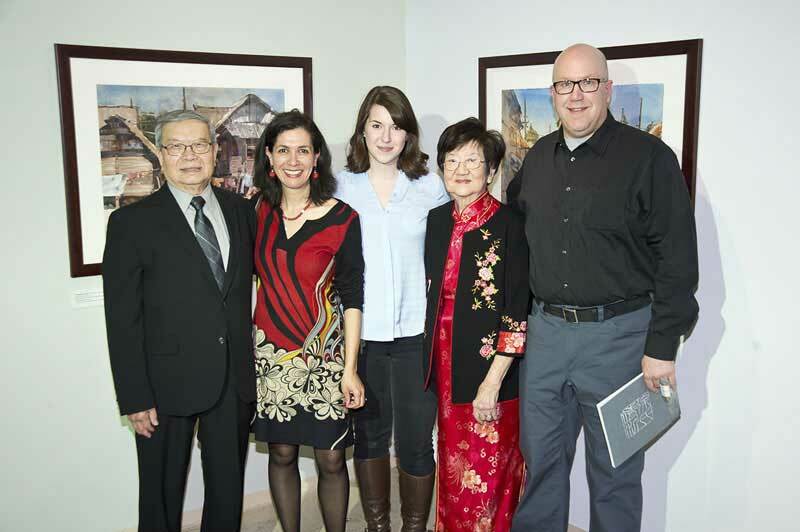 Cheng-Khee served as Juror of selection and awards for the Ohio Watercolor Society and Southwestern Watercolor Society 2009 annual exhibitions. 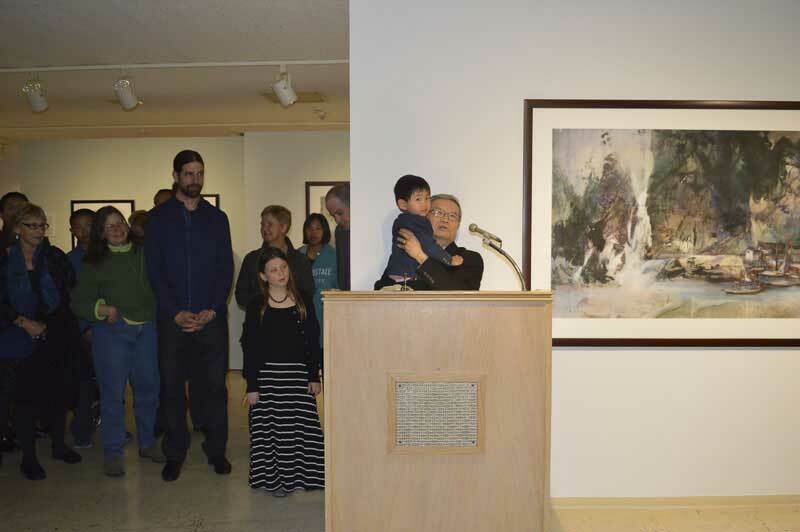 In October the University of Minnesota, Duluth School of Fine Arts honored Cheng-Khee with membership in the Society of Prometheans, recognizing his outstanding artistic accomplishments. 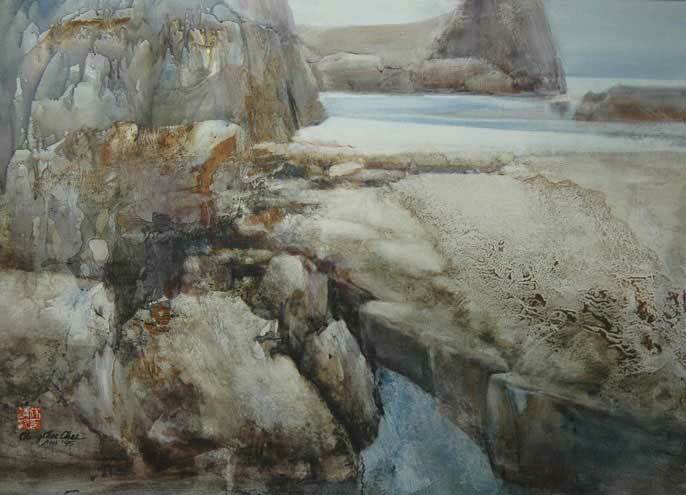 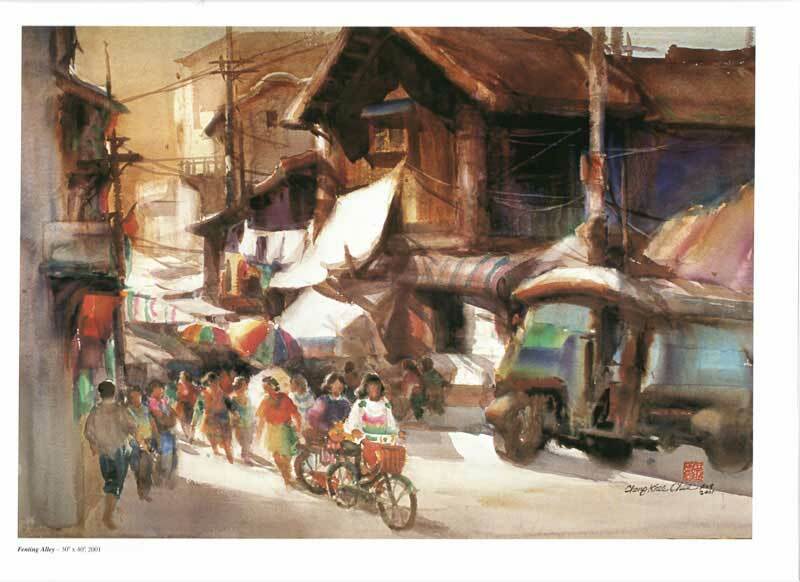 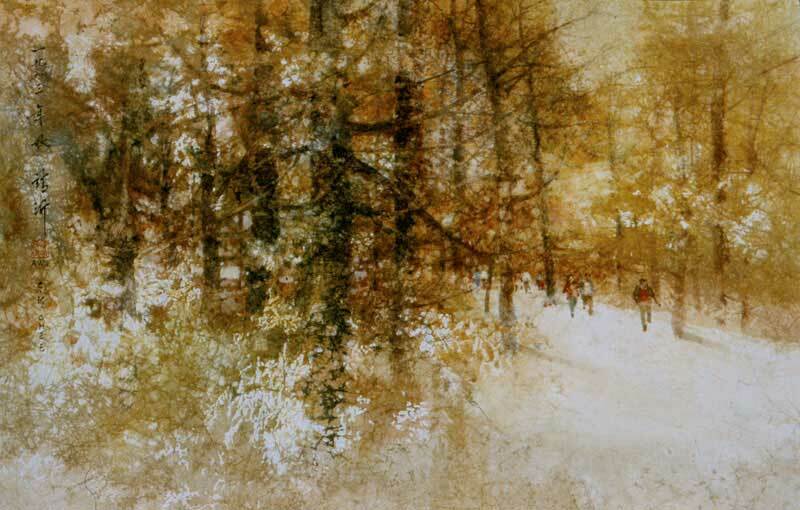 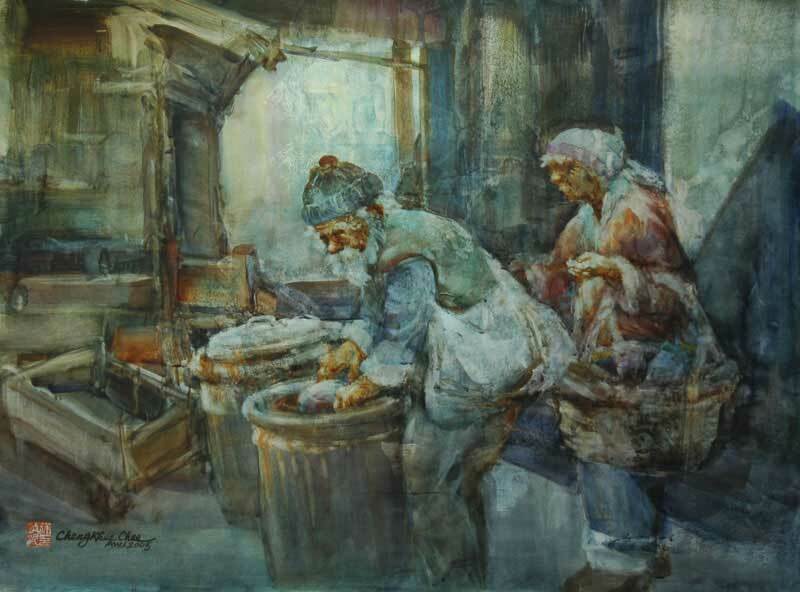 Cheng-Khee received Gold Award in Georgia Watercolor Society and 2nd Place Awards in the Transparent Watercolor Society of America and the Watercolor West 2009 Annual National Exhibition. 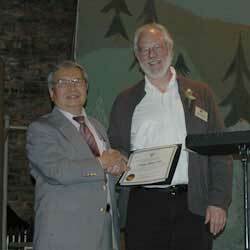 He also received 4 other awards.